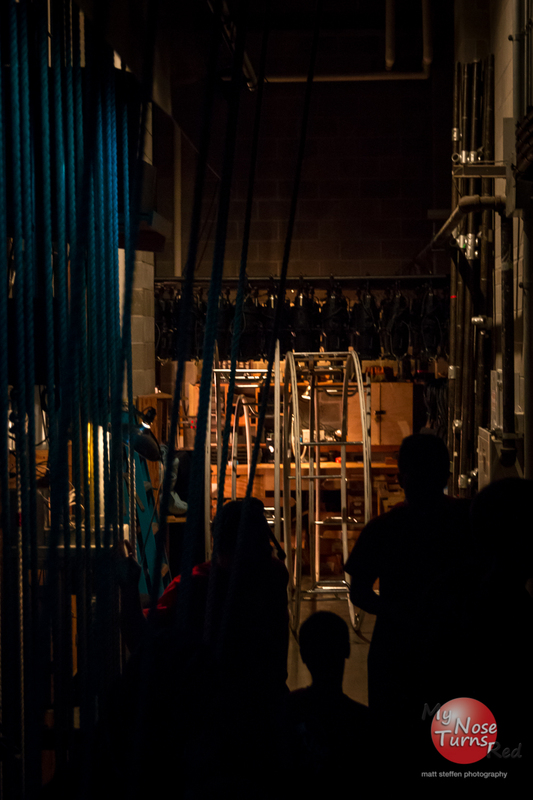 Thank you for a wonderful show this weekend. 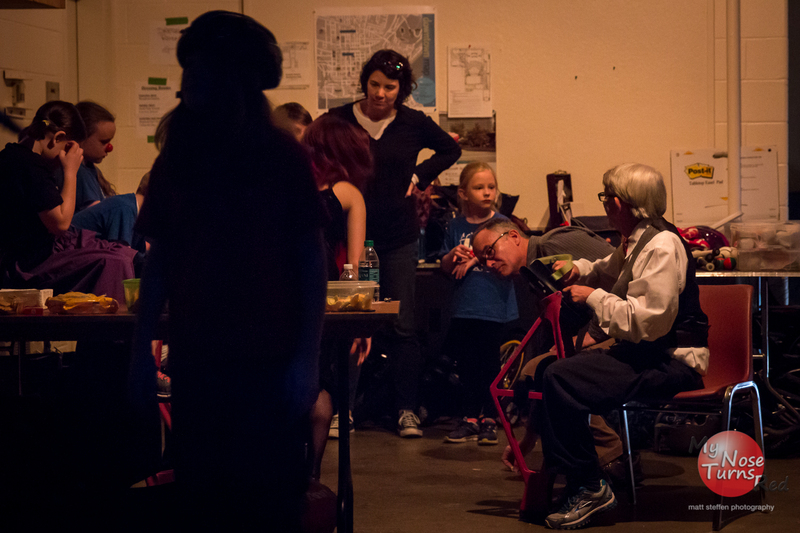 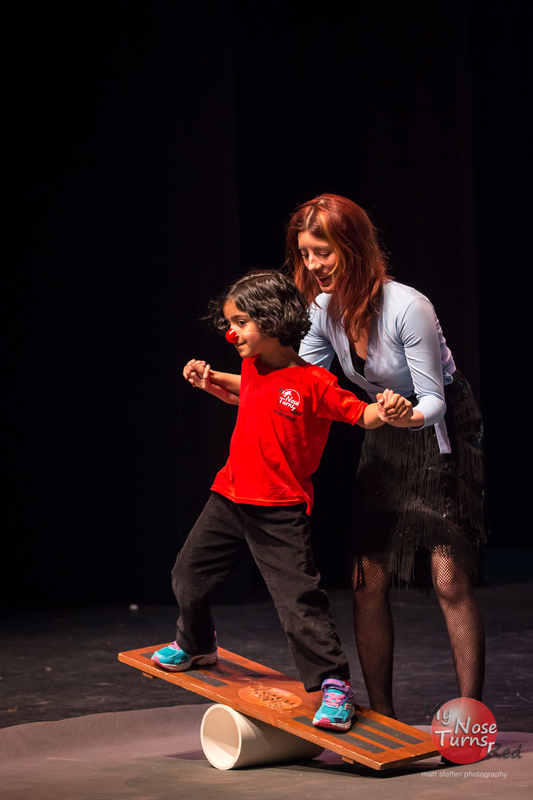 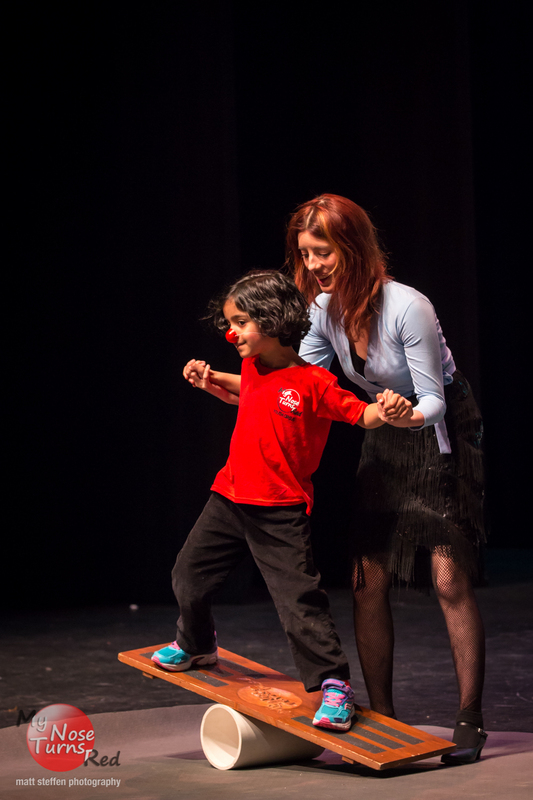 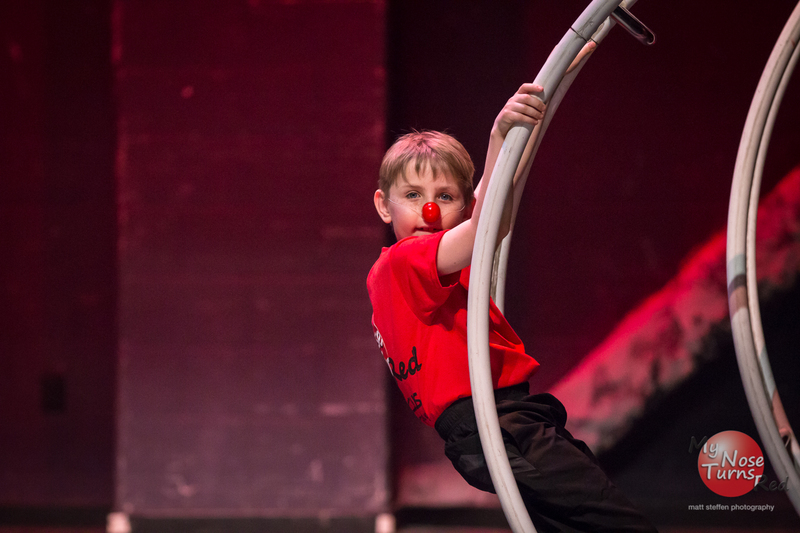 We want to thank all of our circus students, the parents, the volunteers and our board of directors. 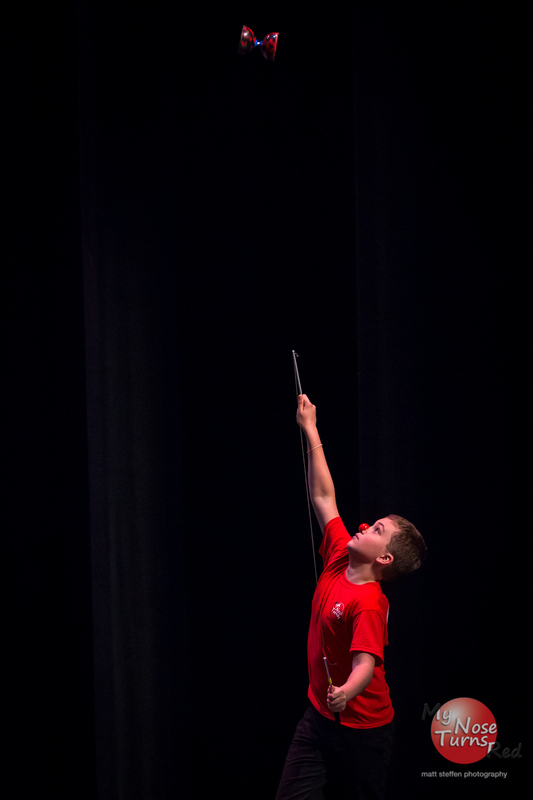 The photos will be available to purchase at SmugMug and the videos will be available within two weeks. 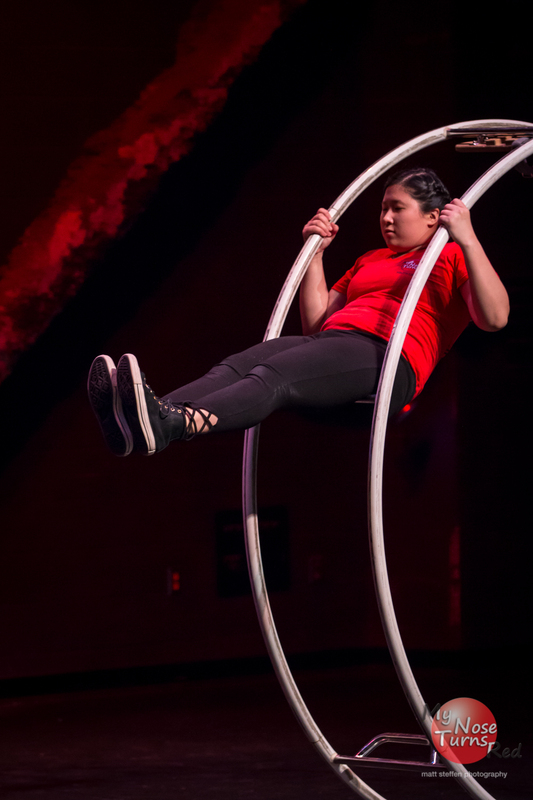 The Youth Circus Extravaganza is My Nose Turns Red’s annual celebration of the accomplishments of our amazing circus students. 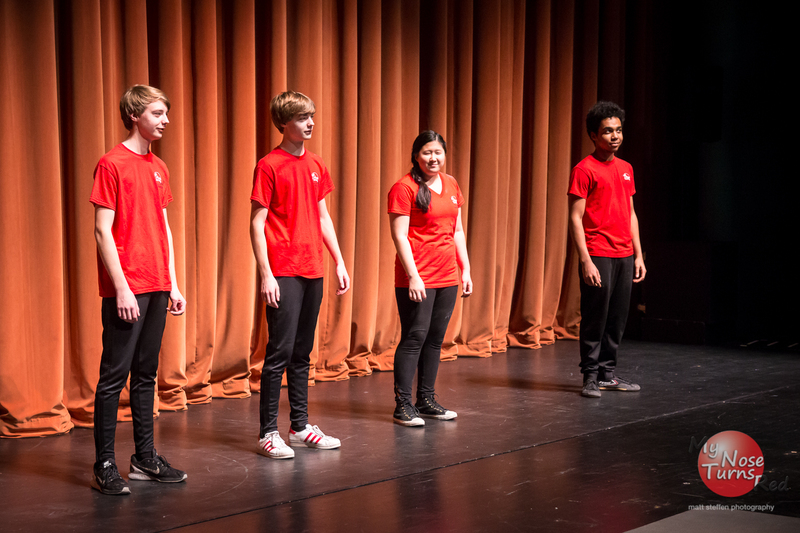 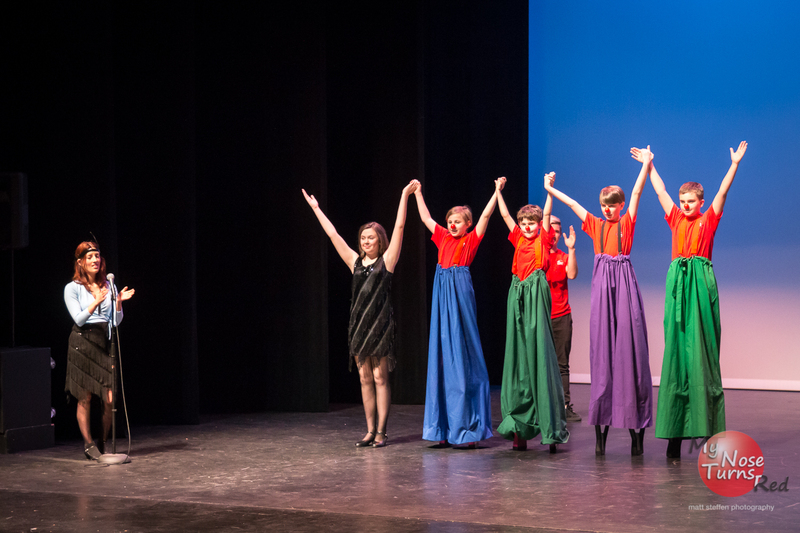 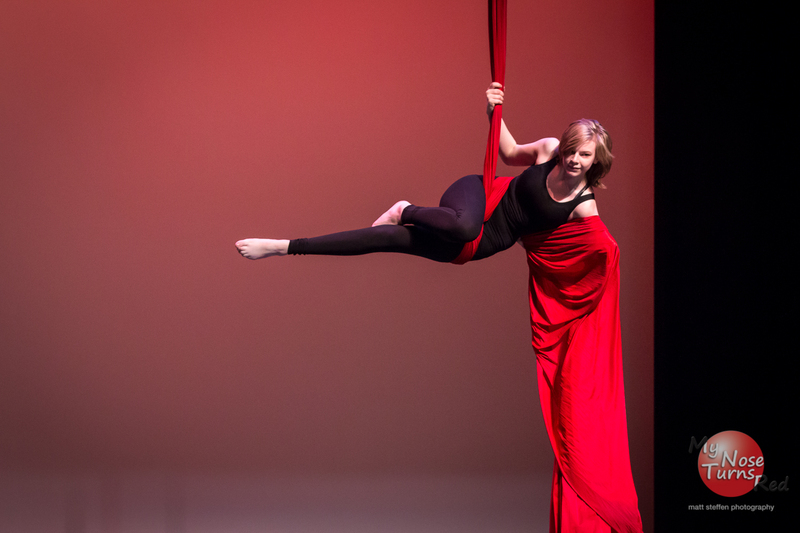 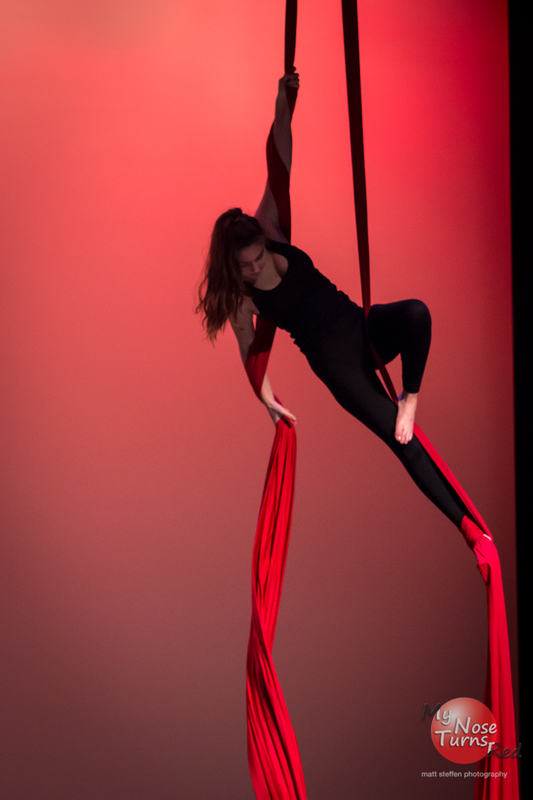 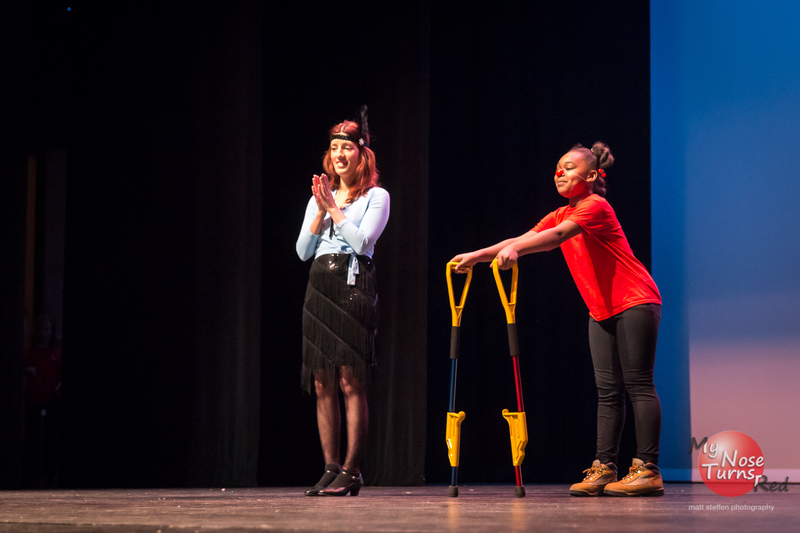 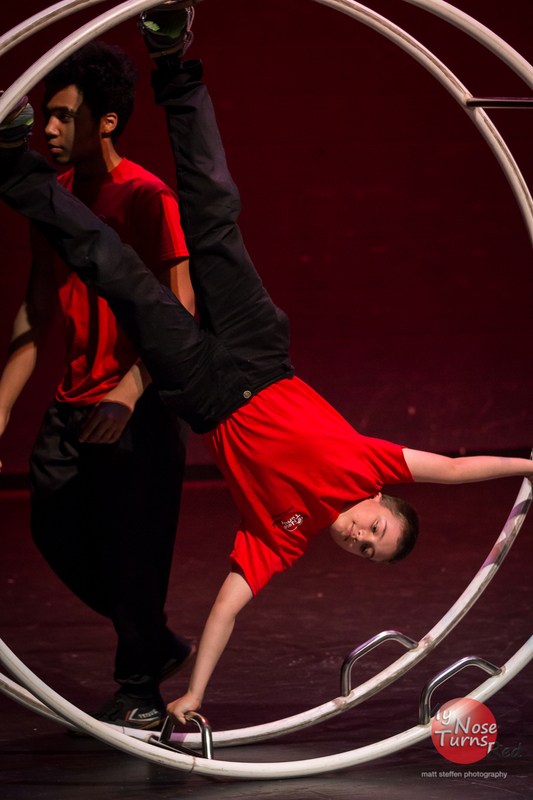 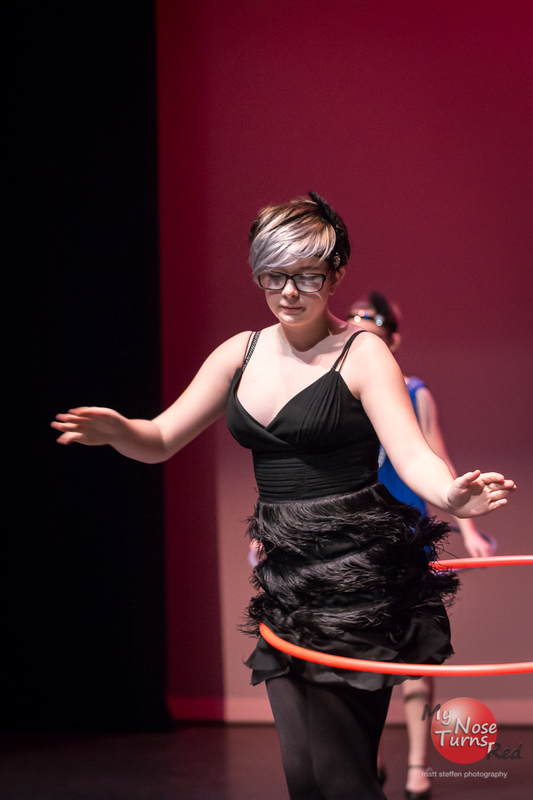 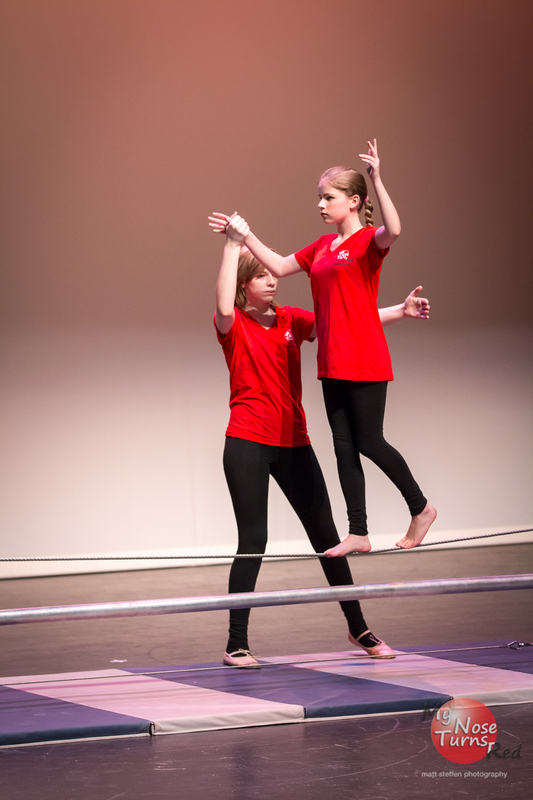 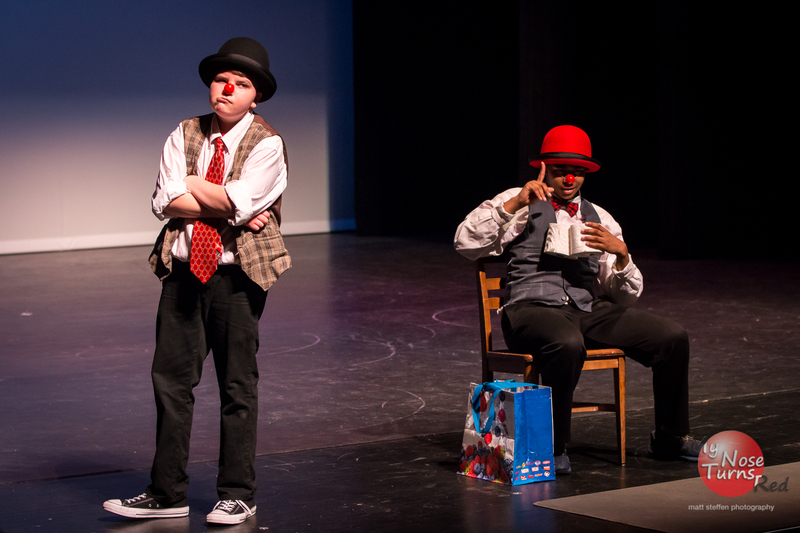 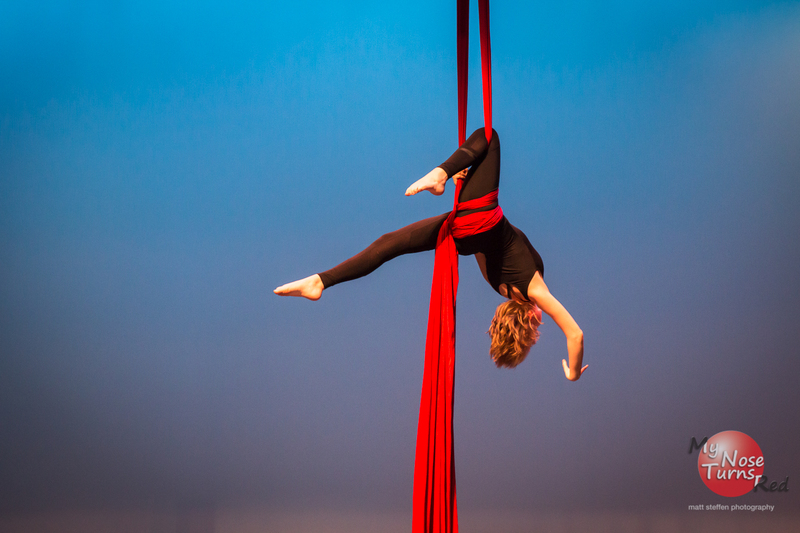 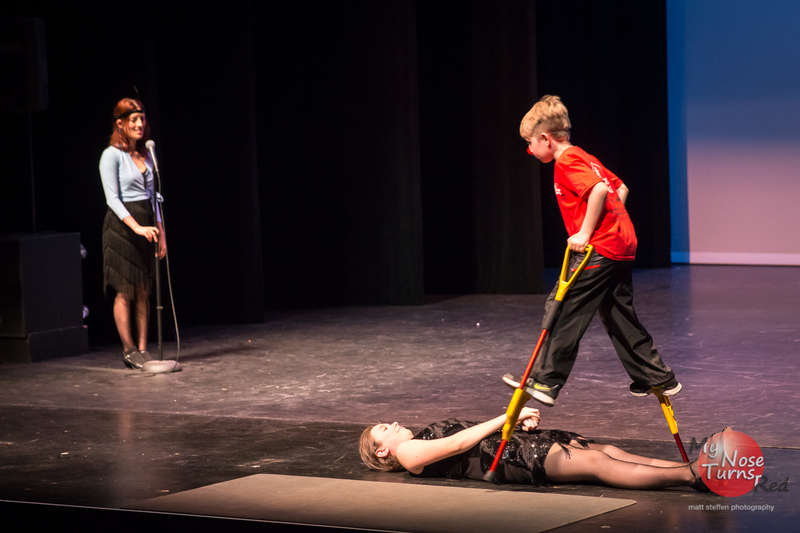 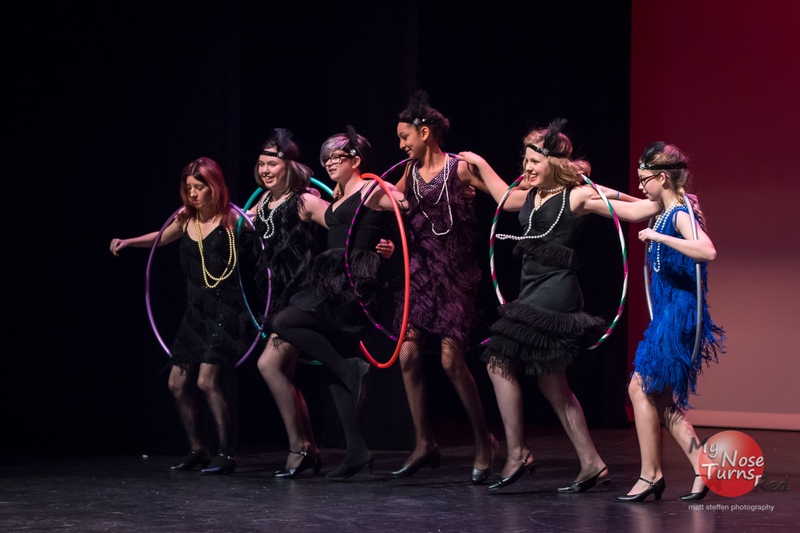 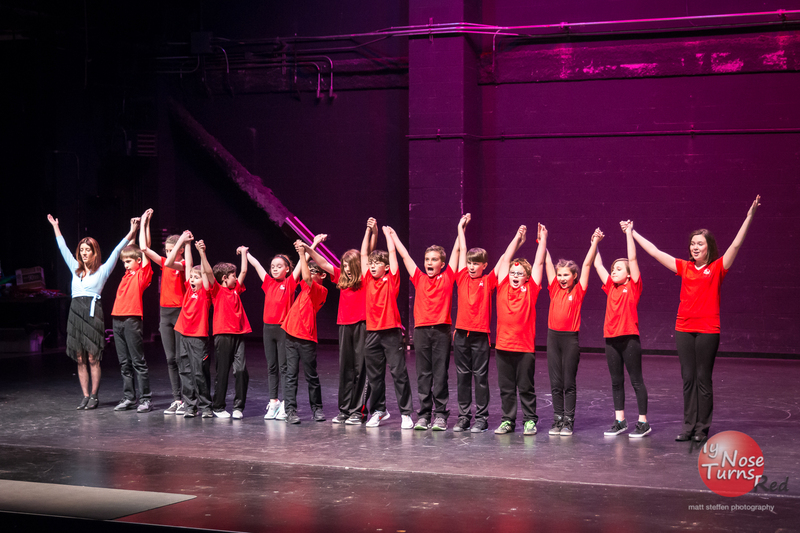 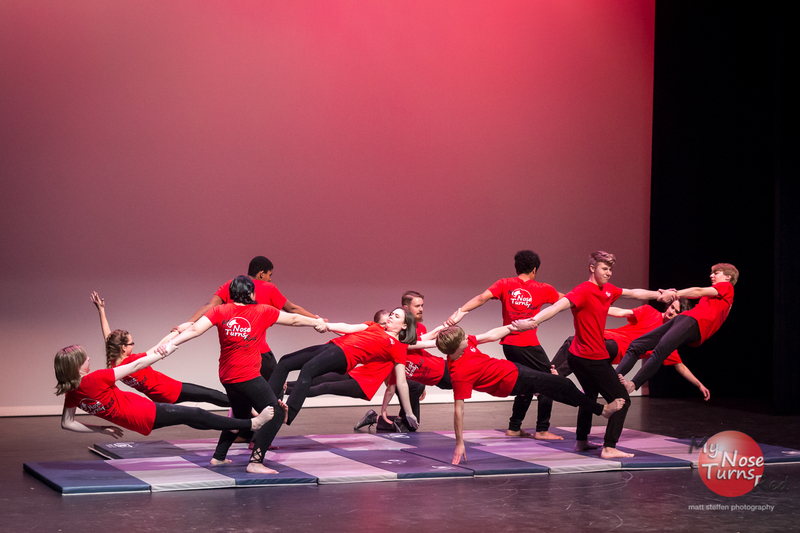 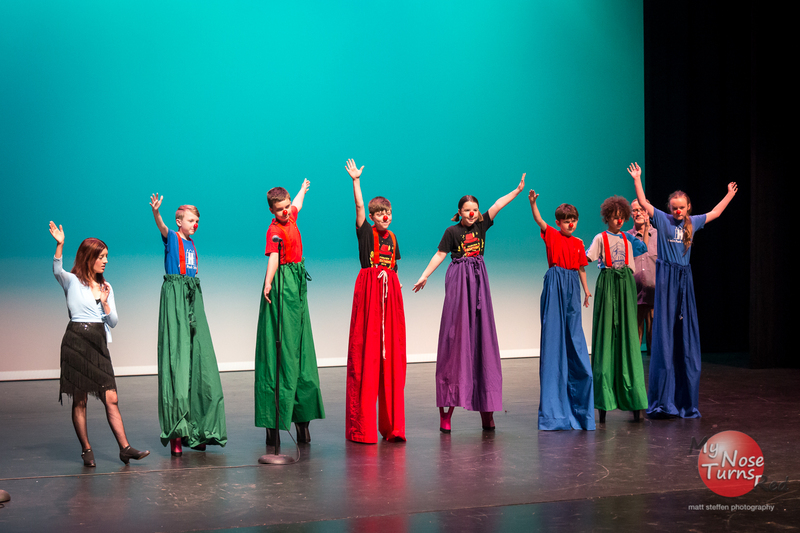 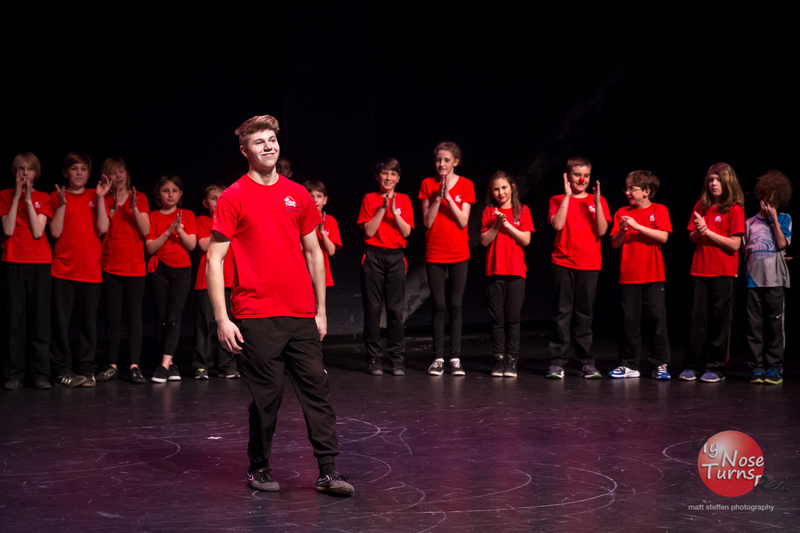 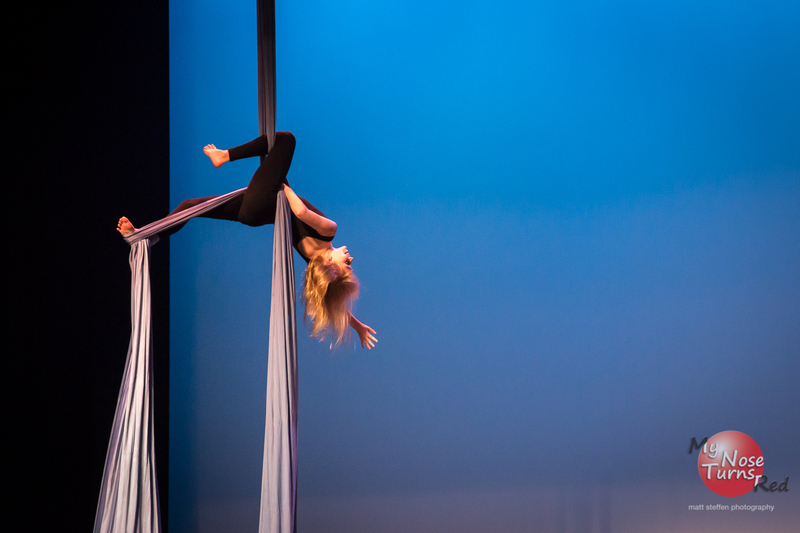 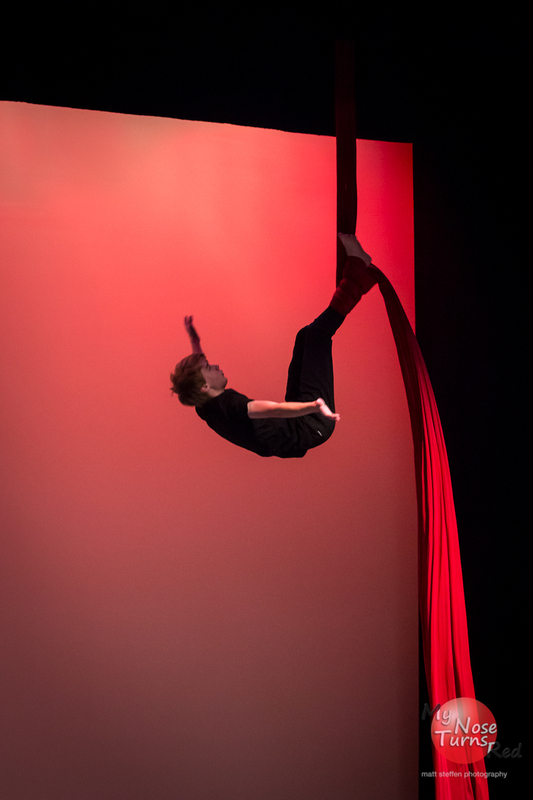 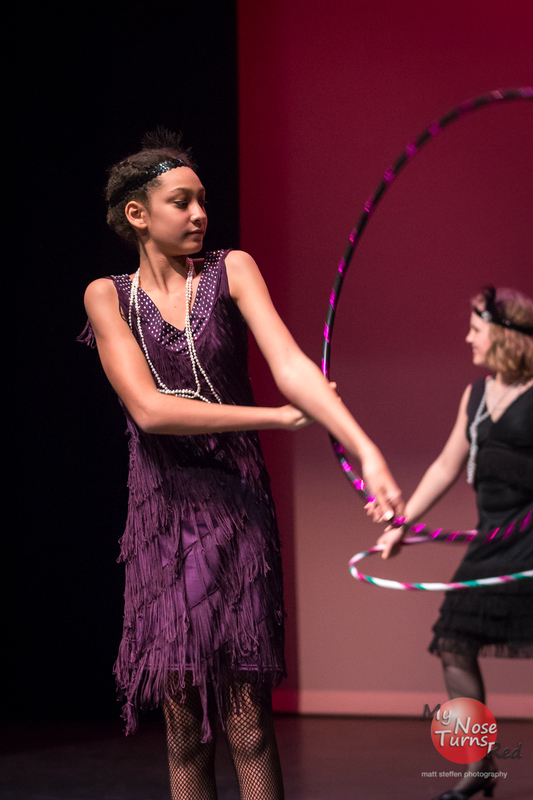 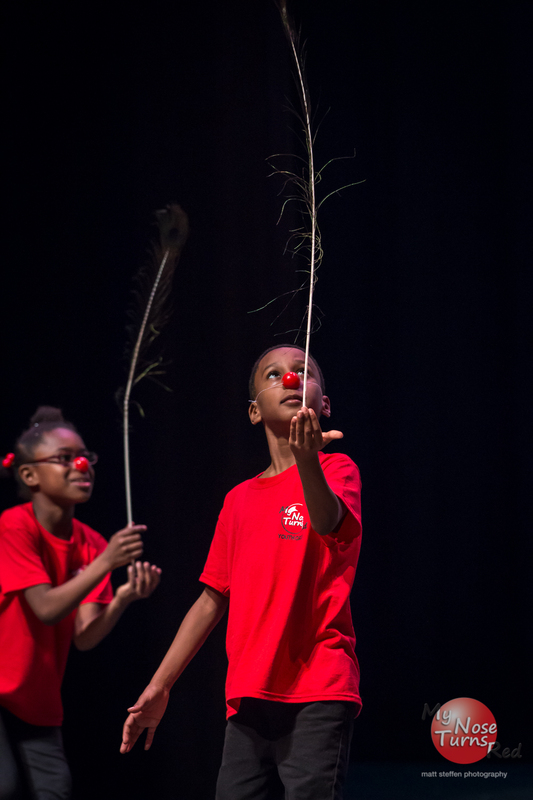 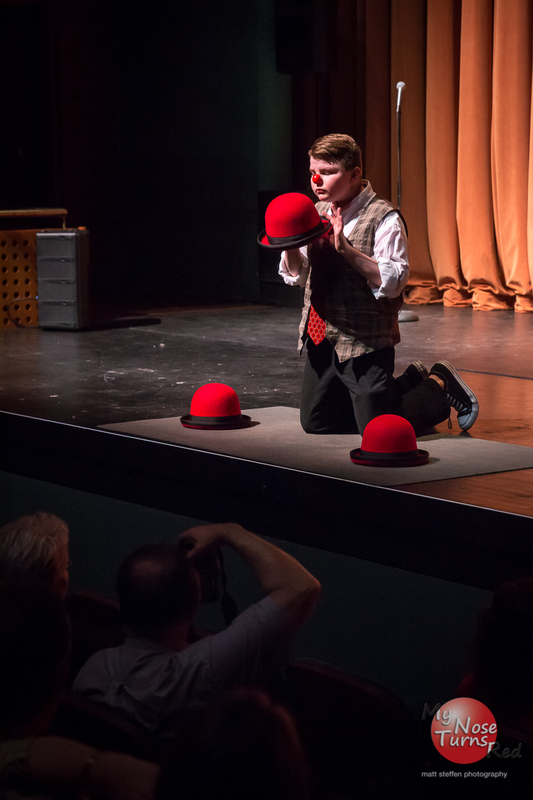 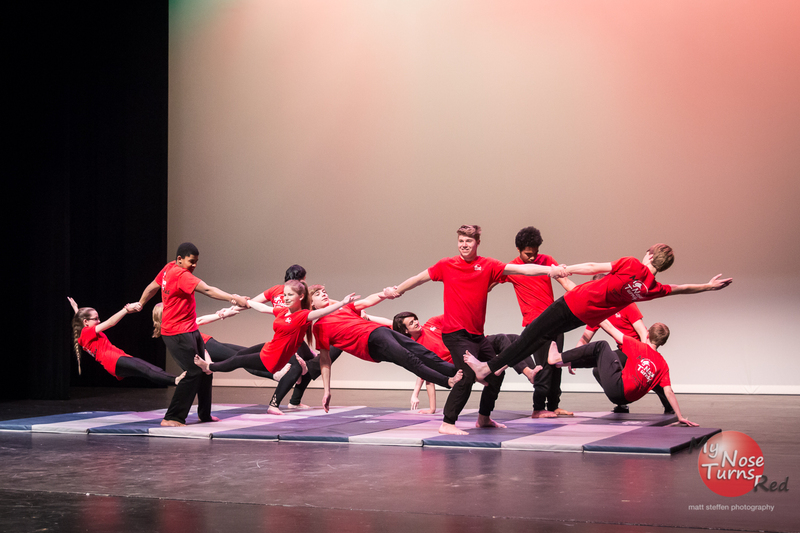 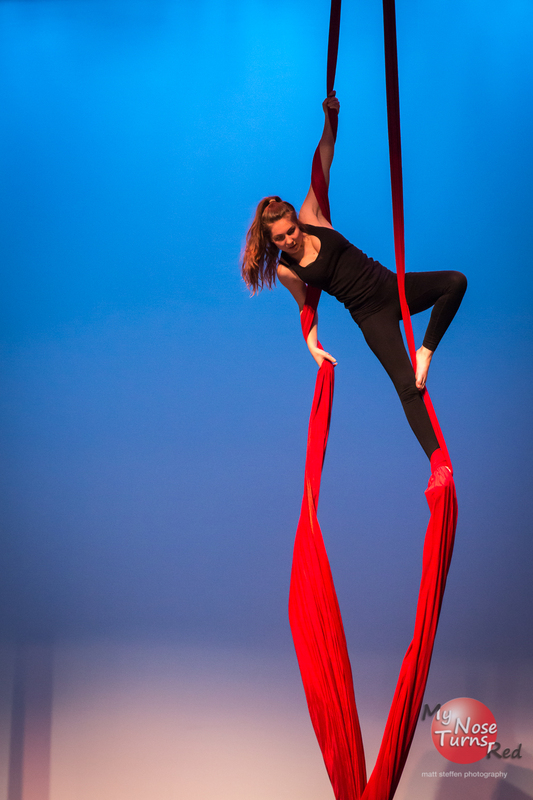 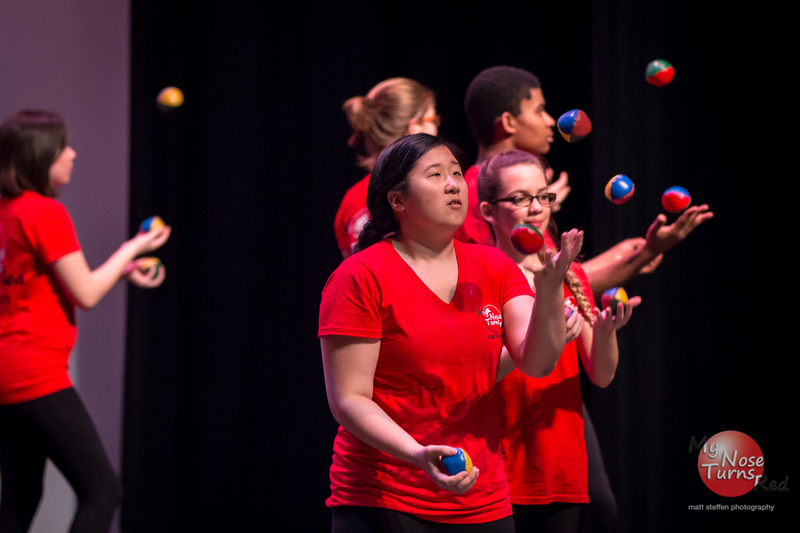 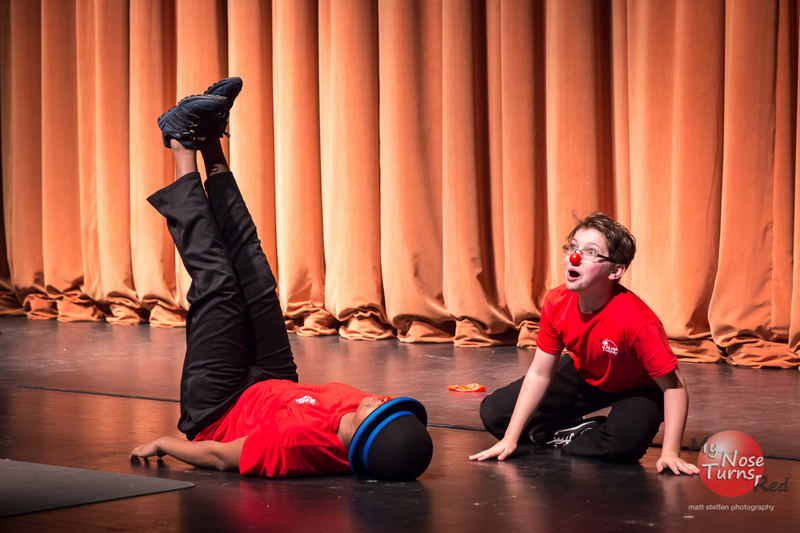 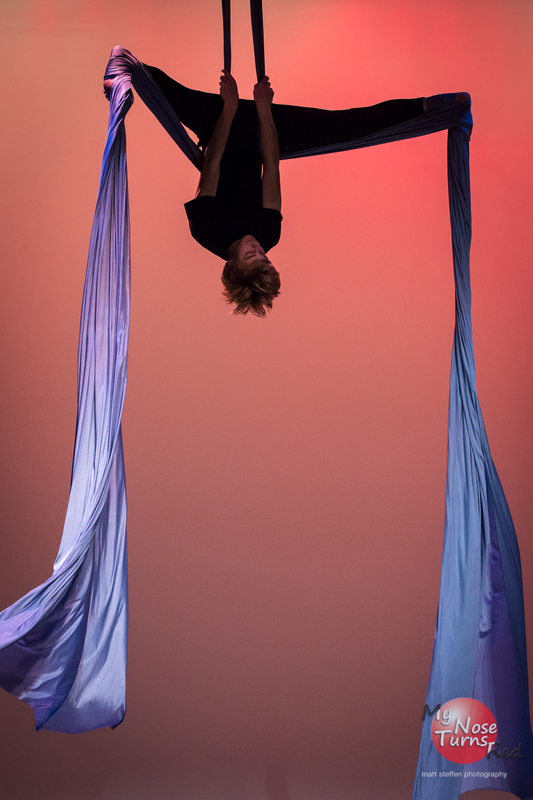 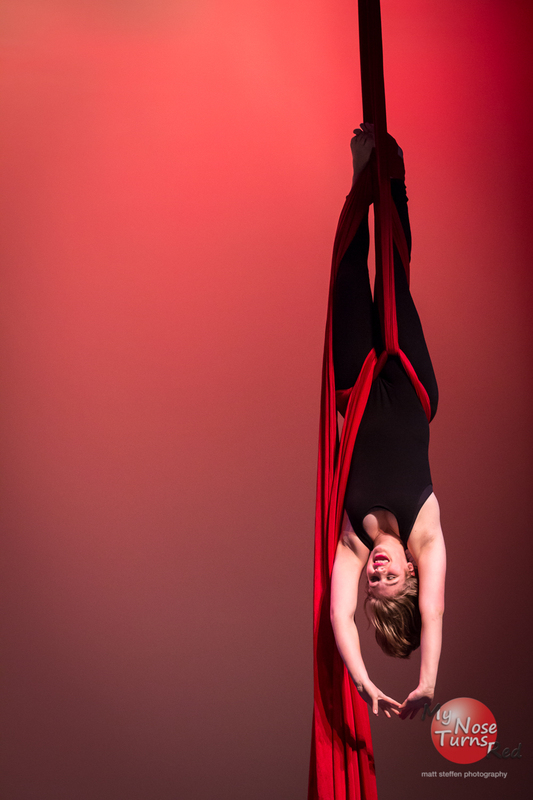 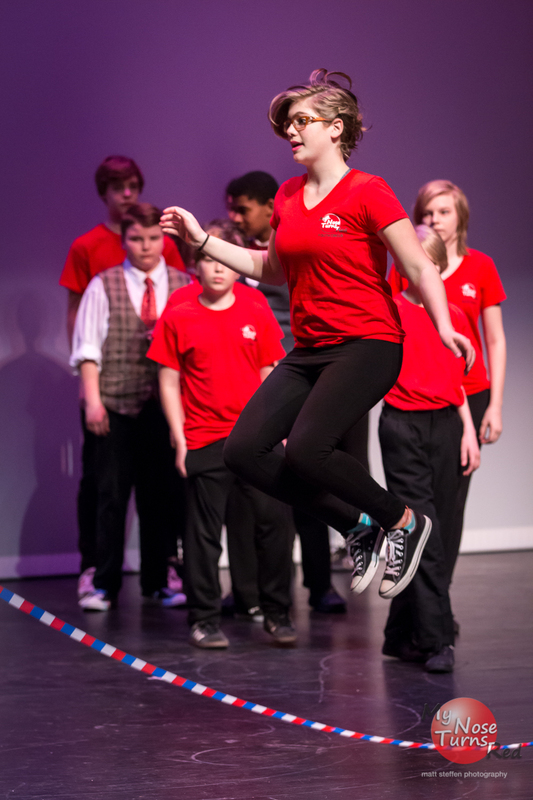 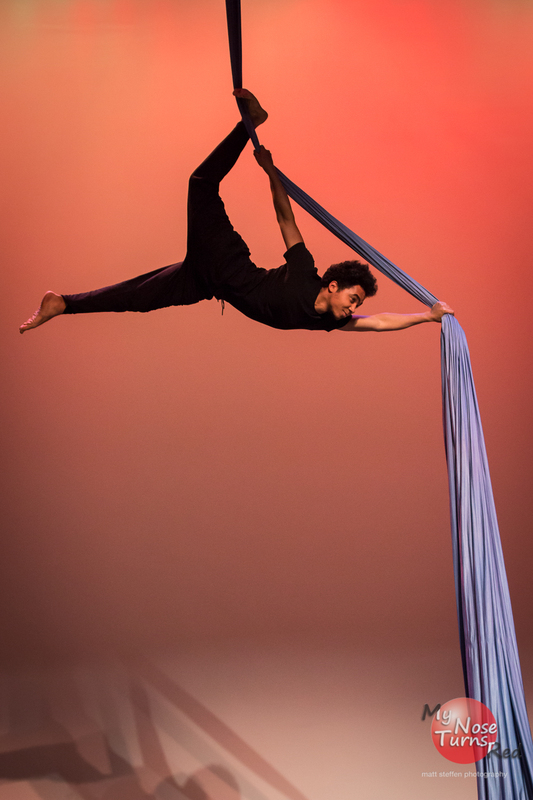 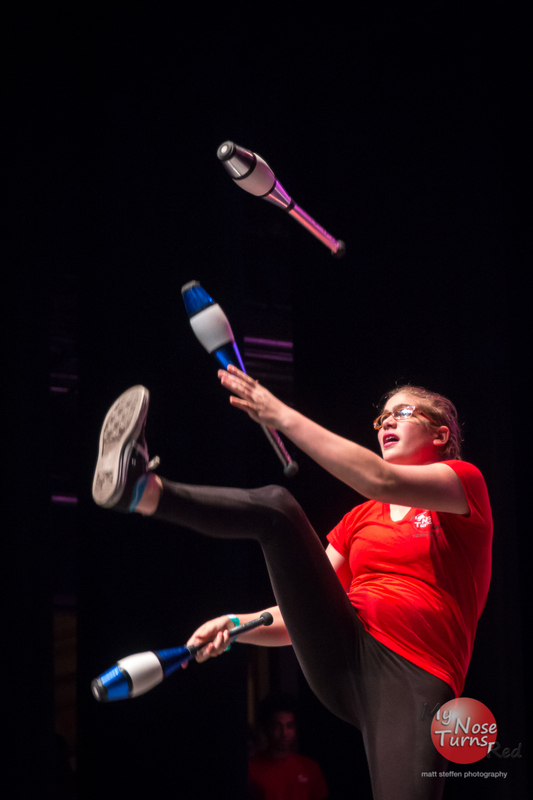 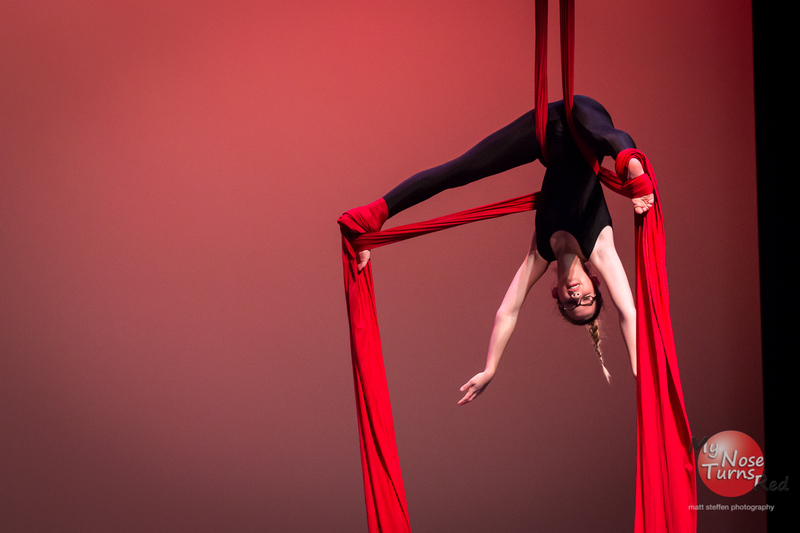 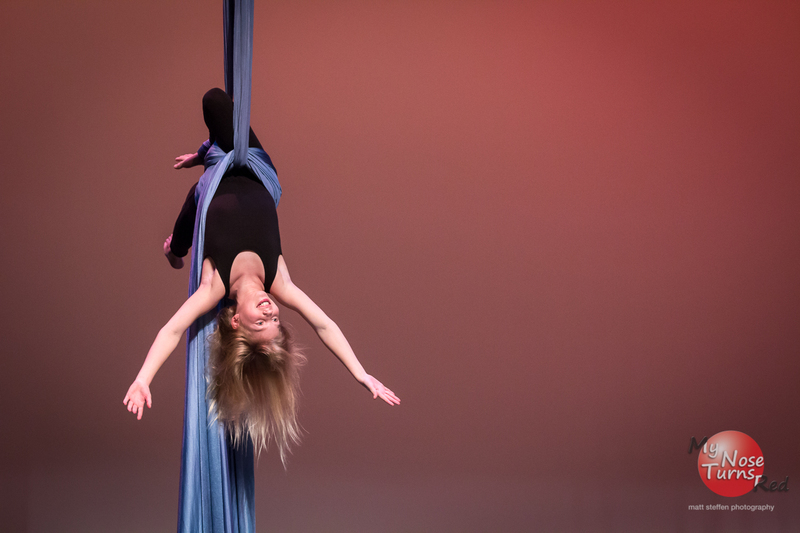 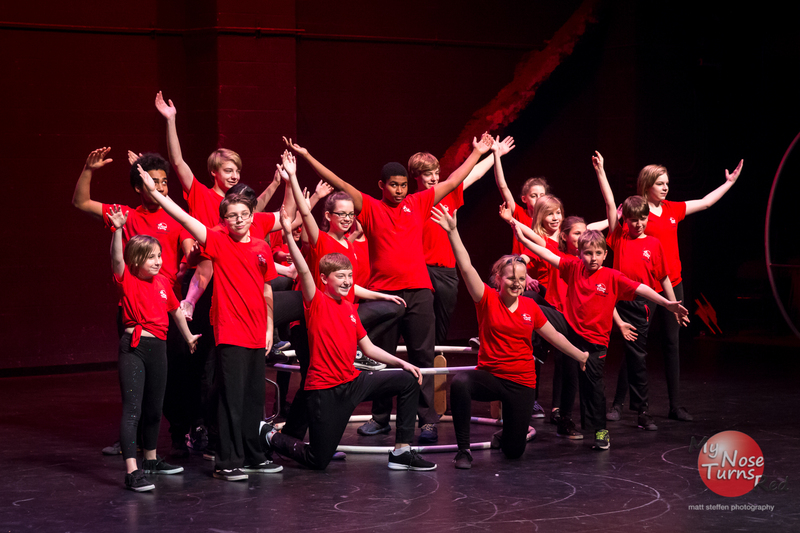 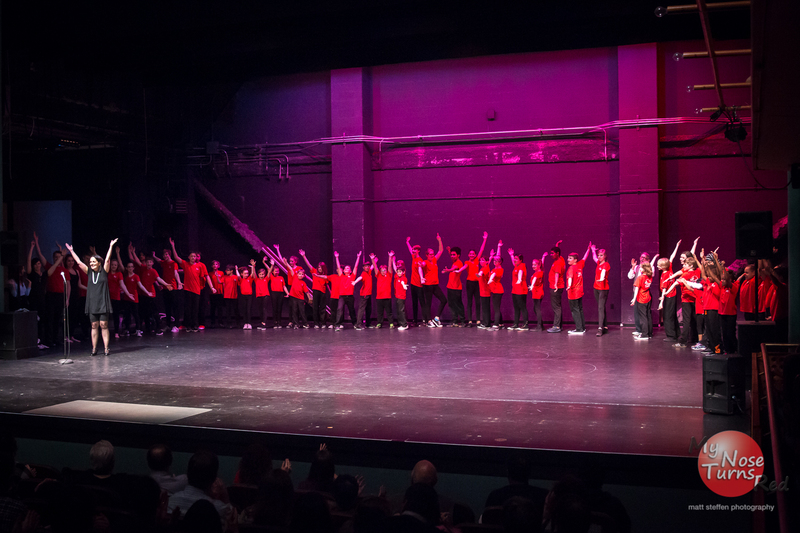 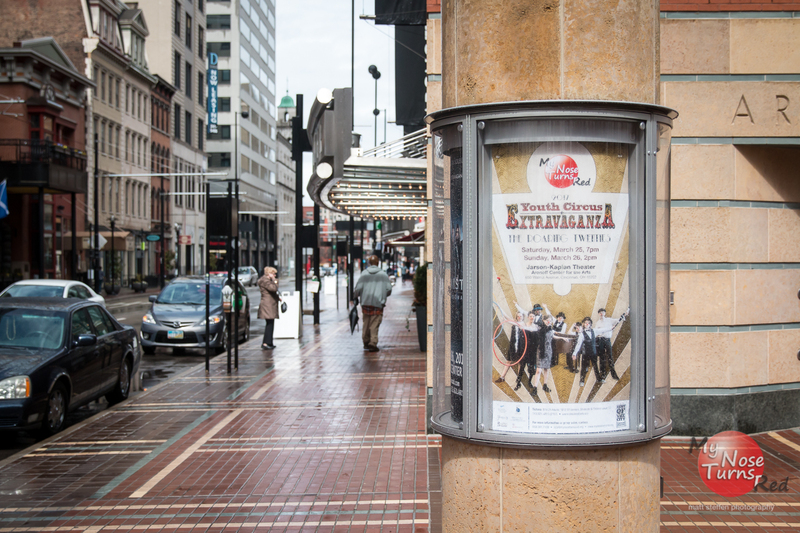 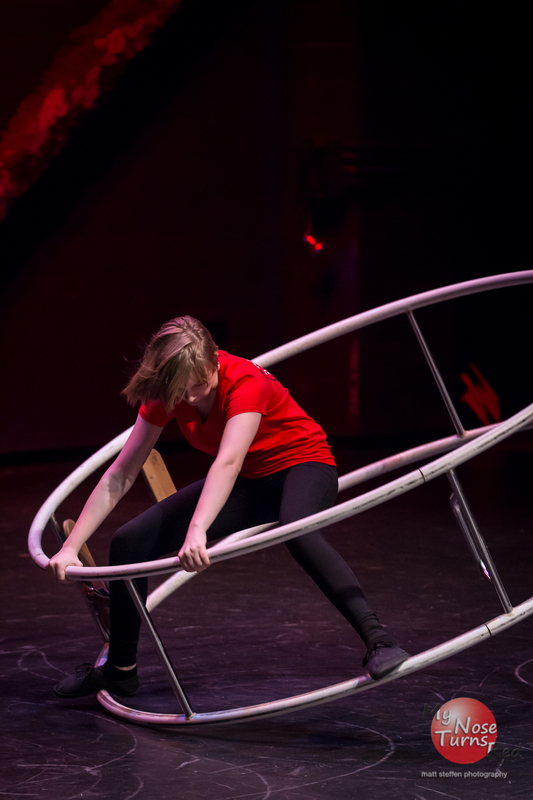 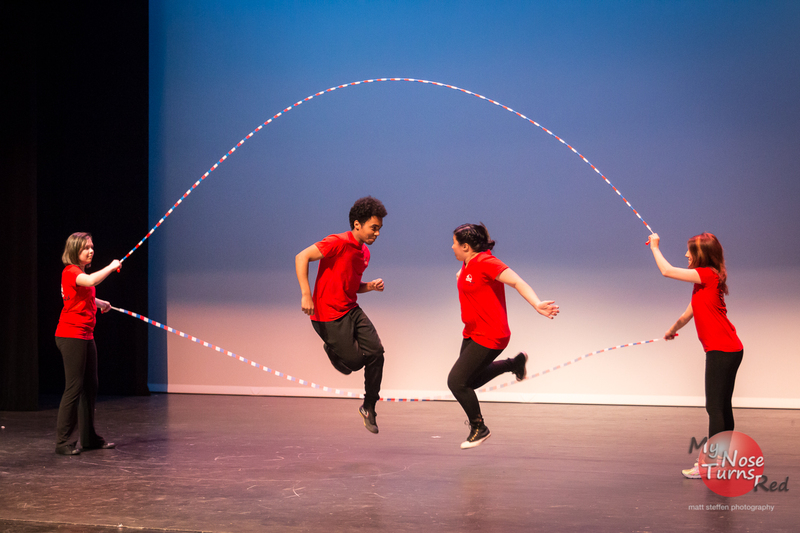 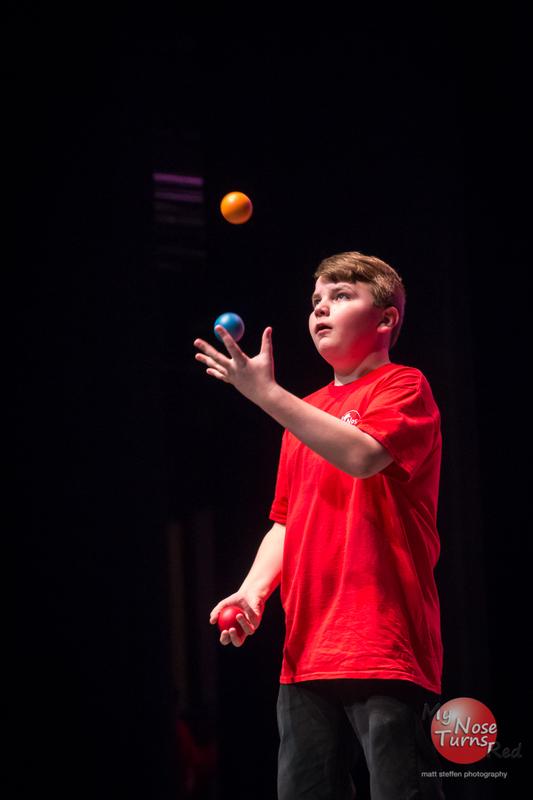 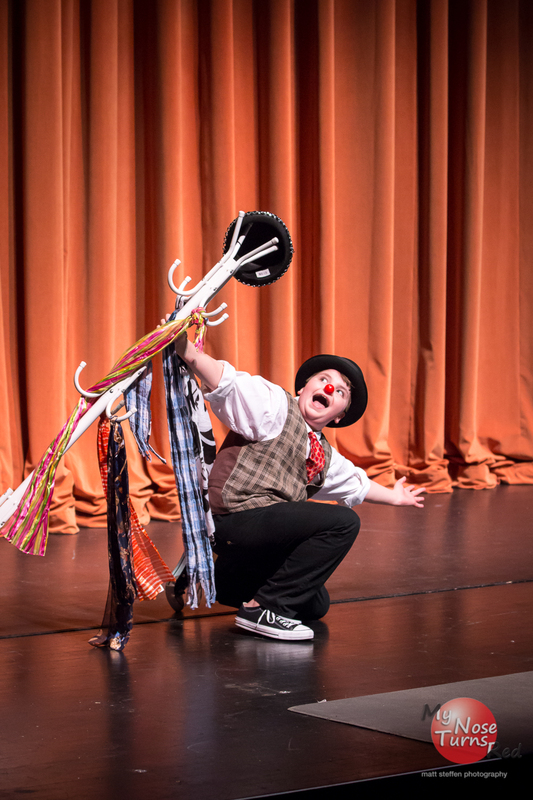 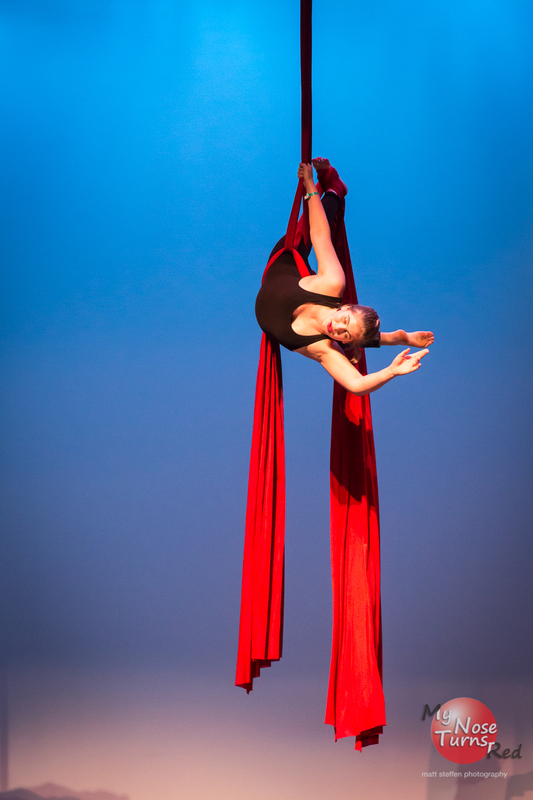 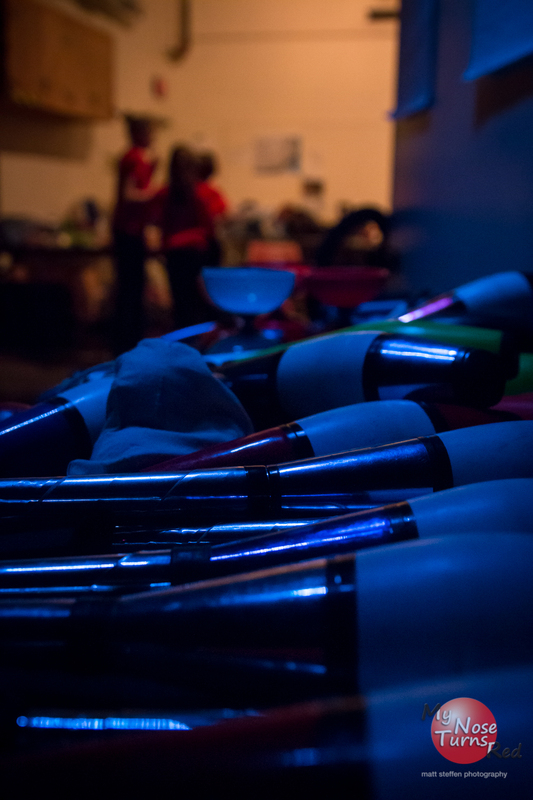 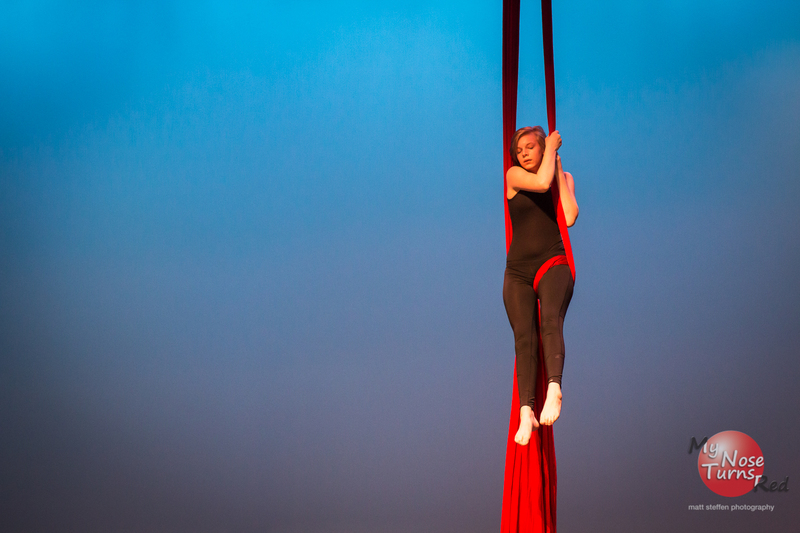 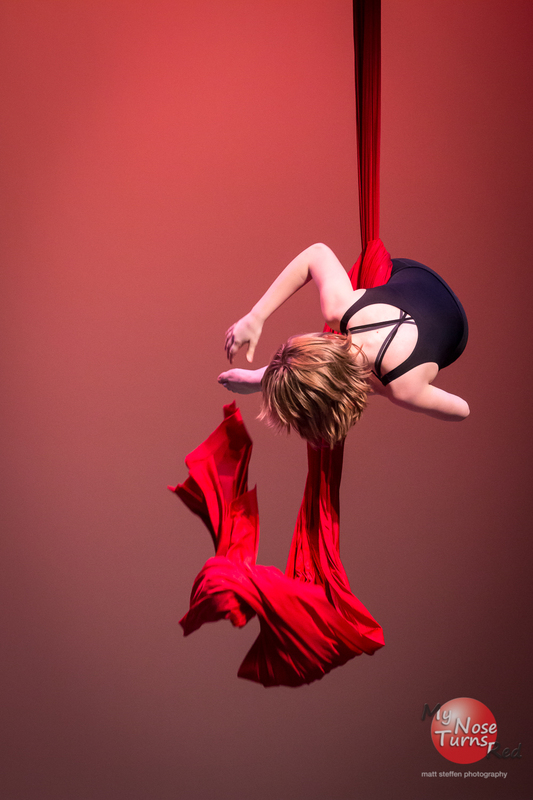 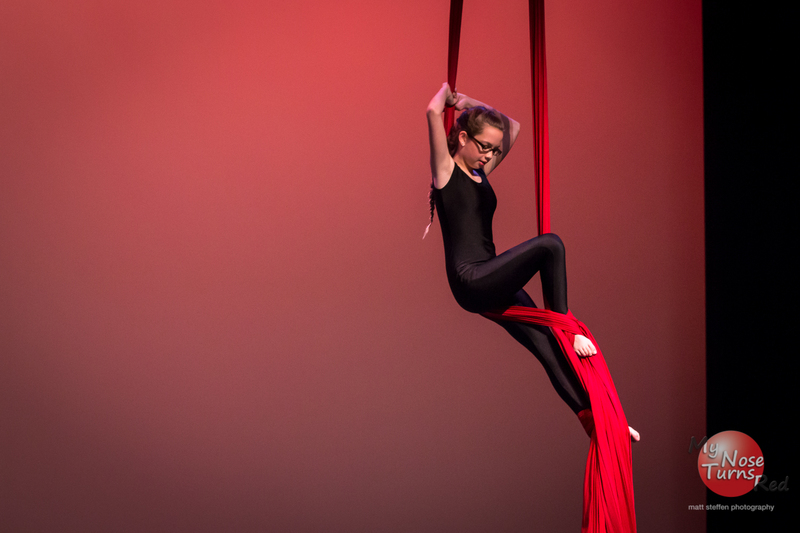 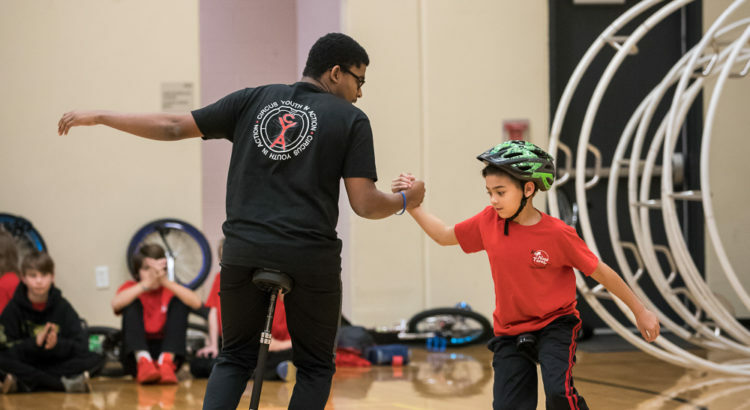 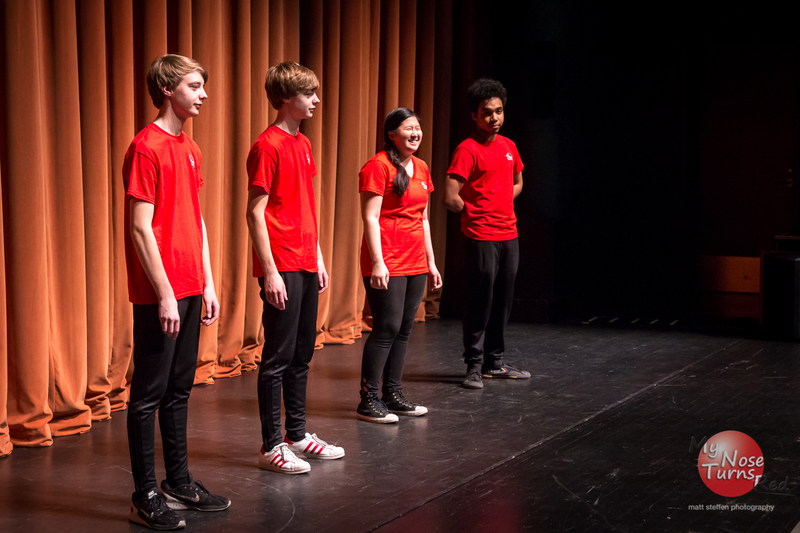 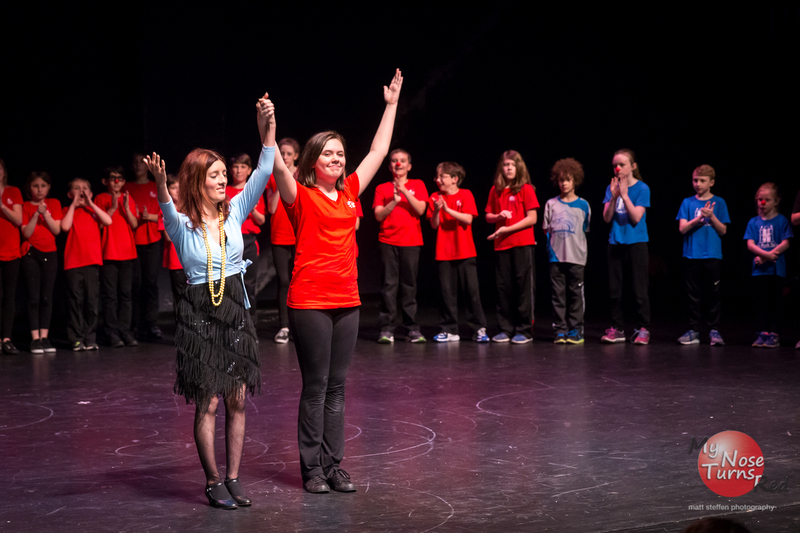 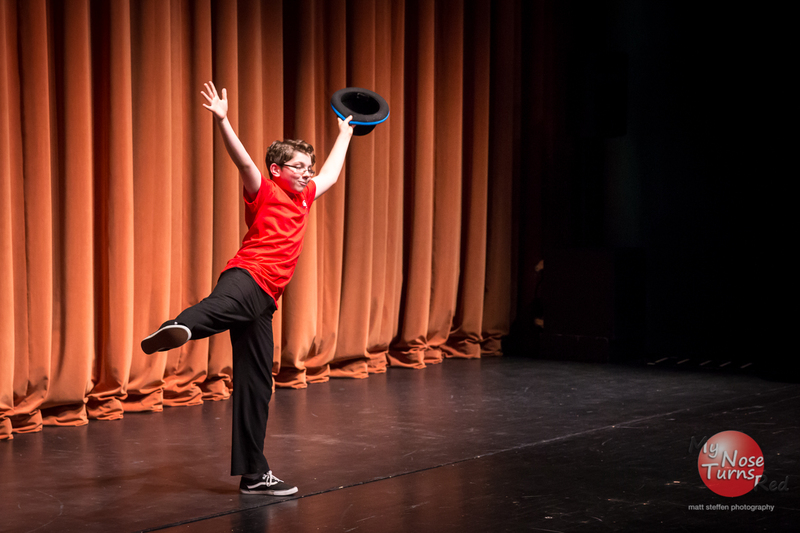 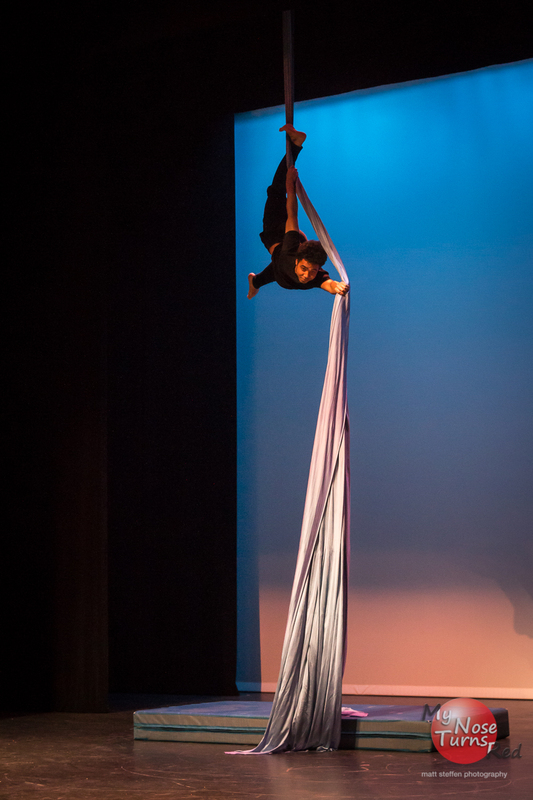 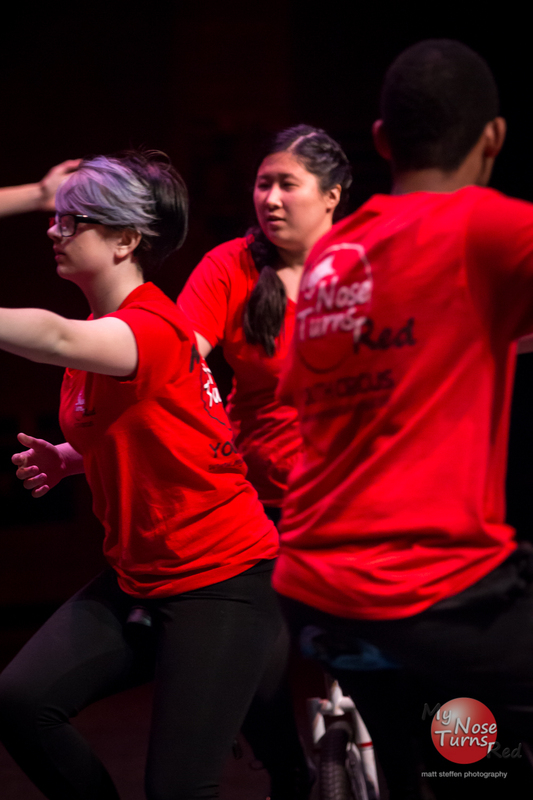 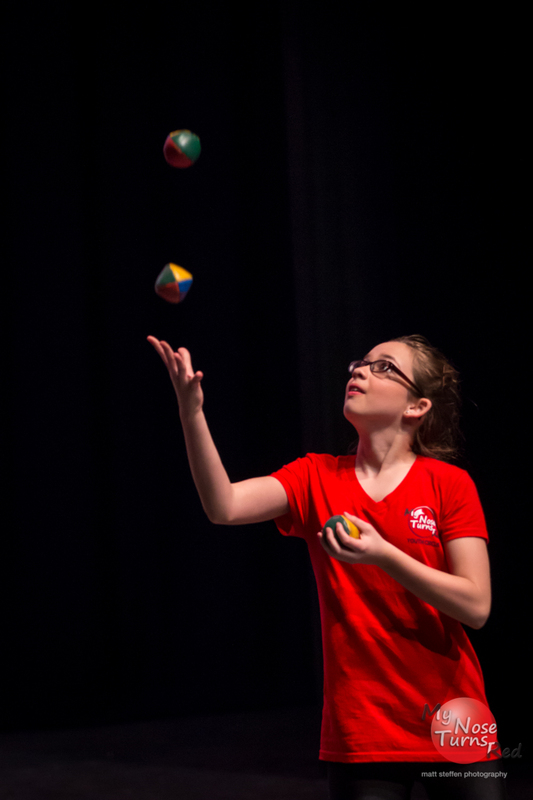 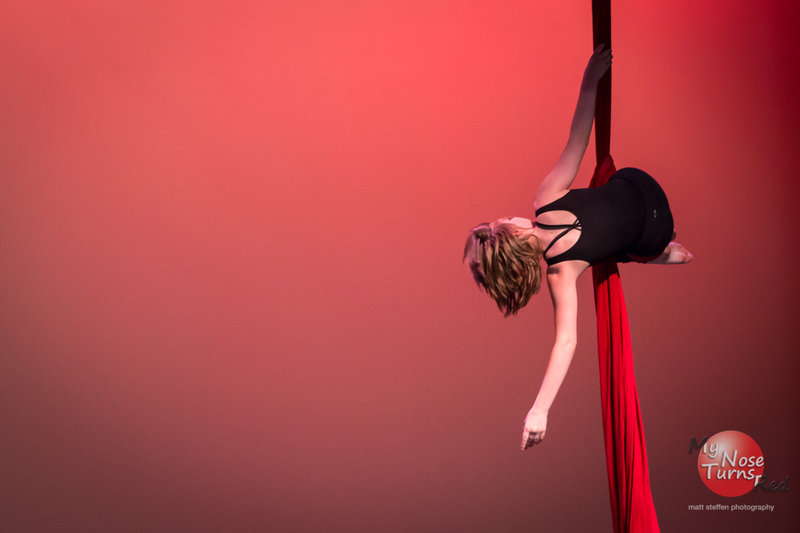 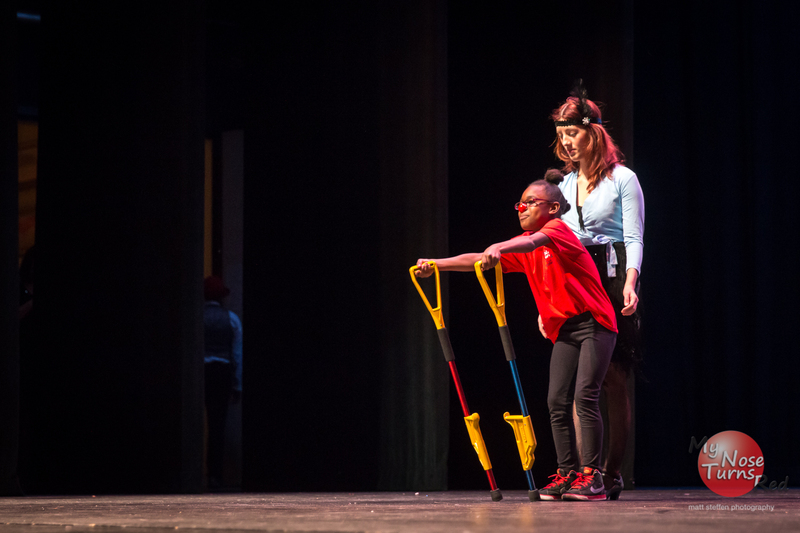 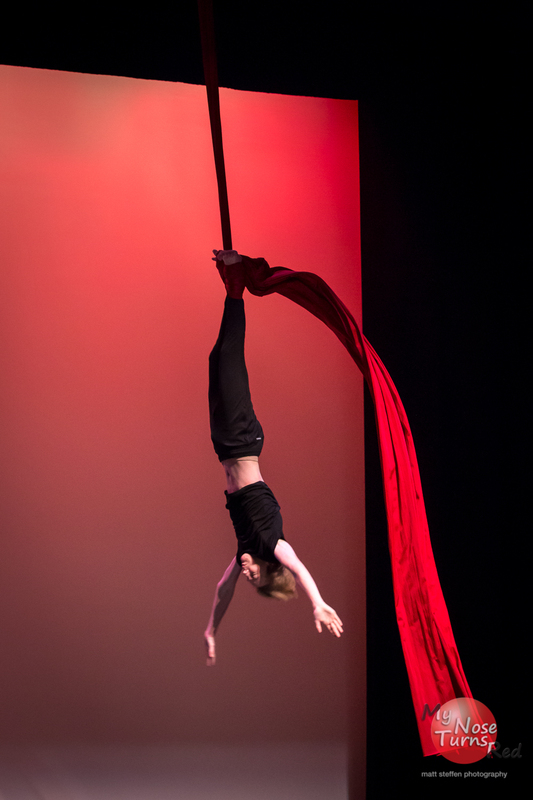 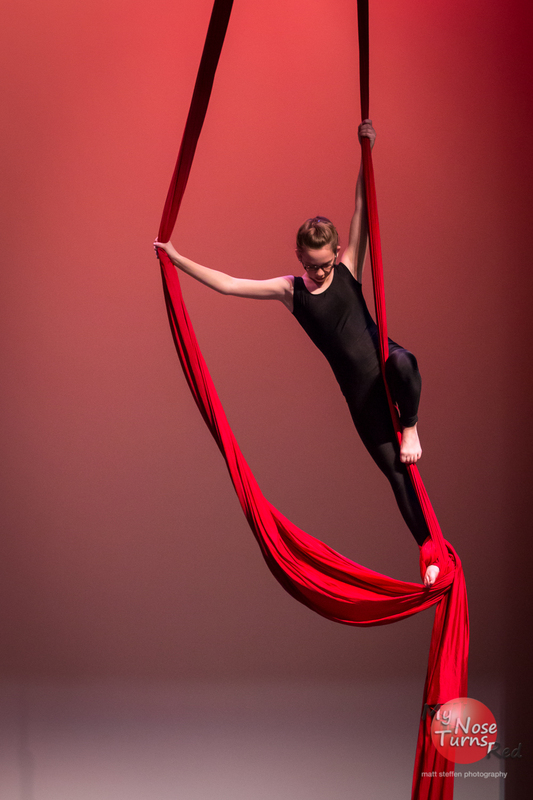 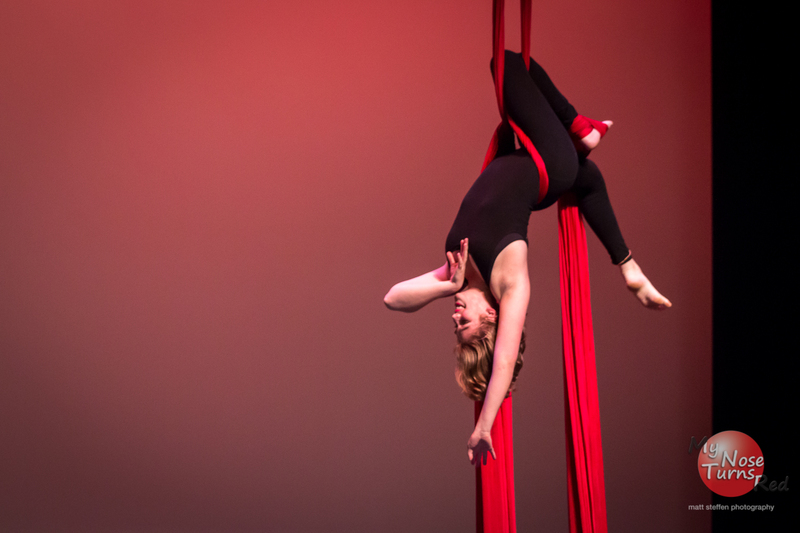 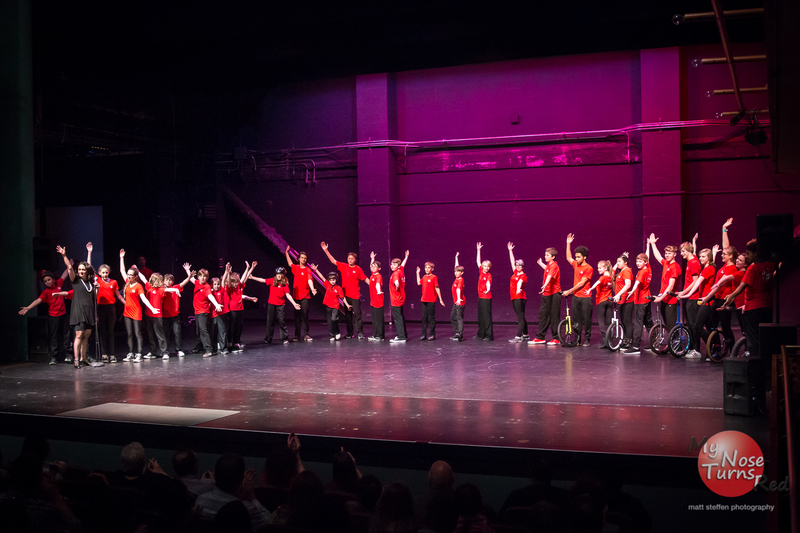 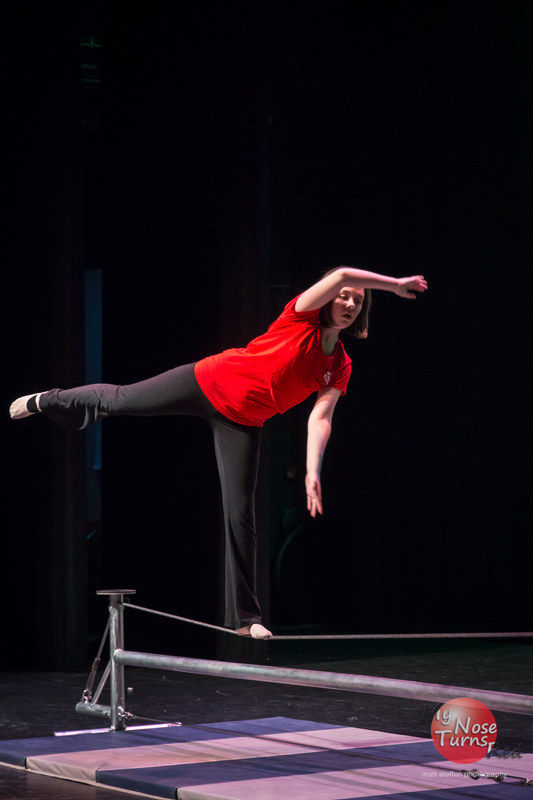 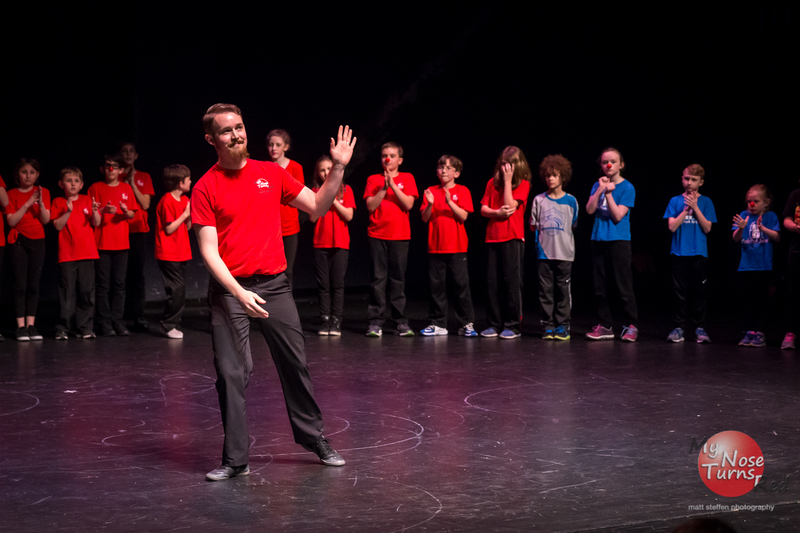 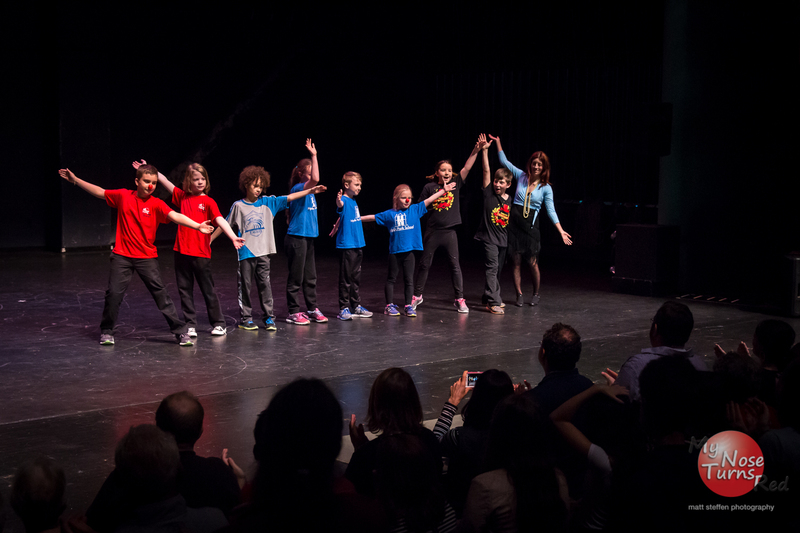 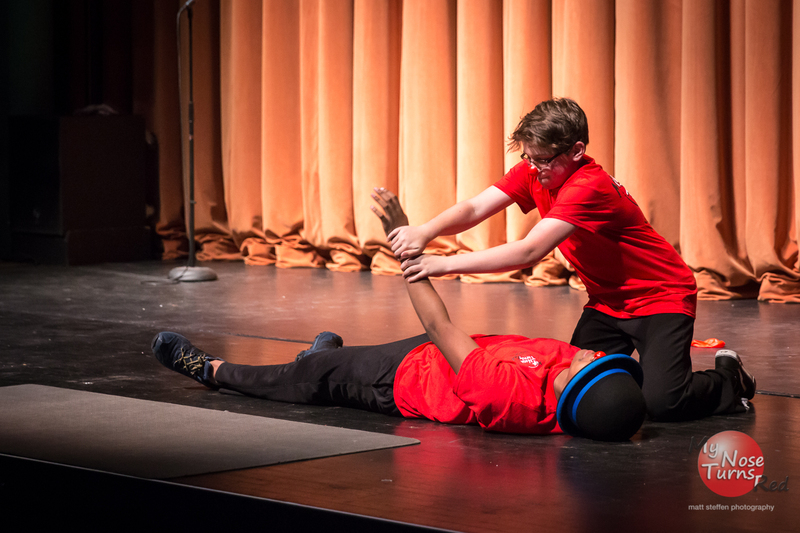 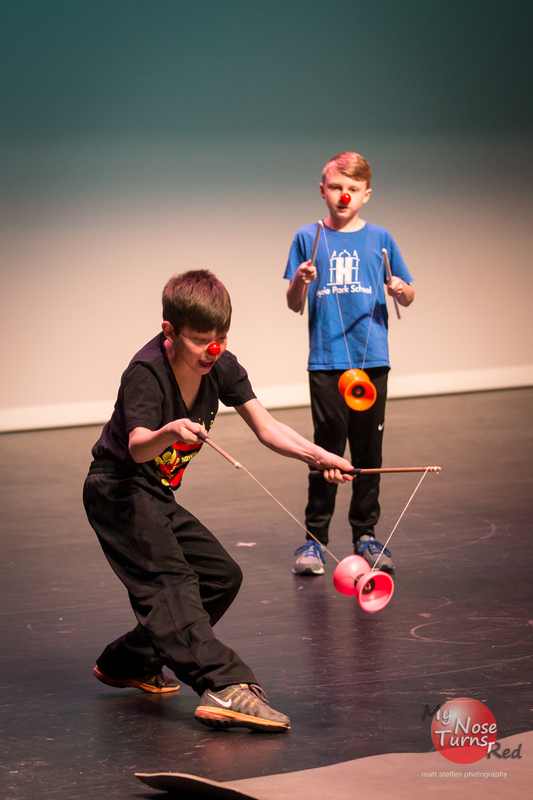 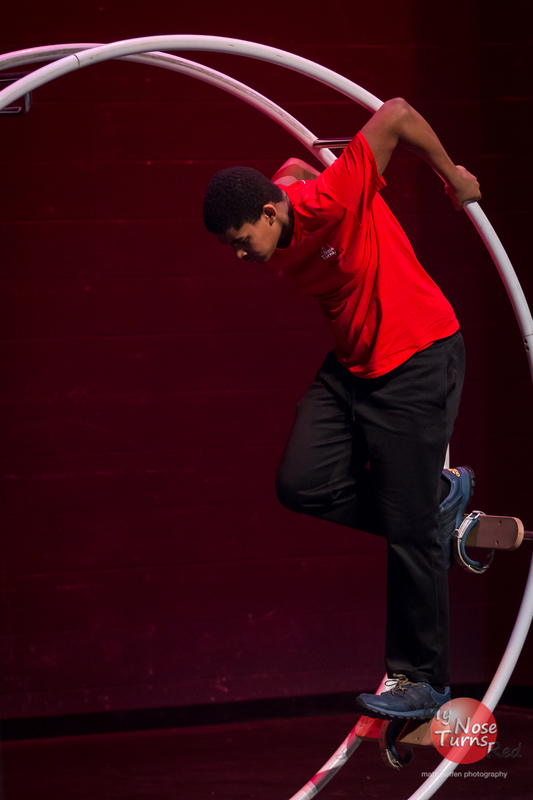 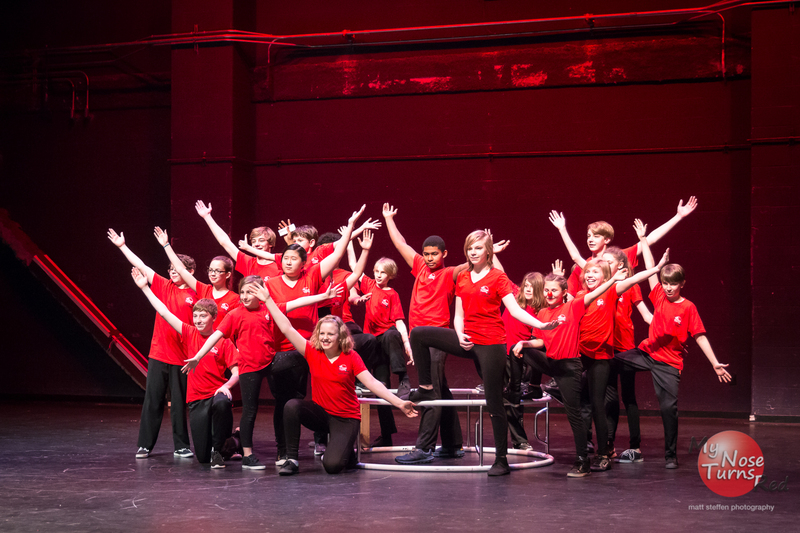 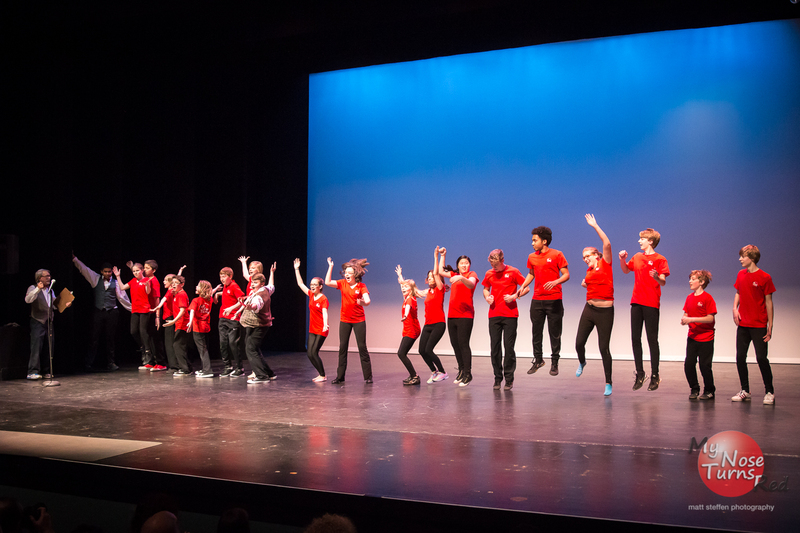 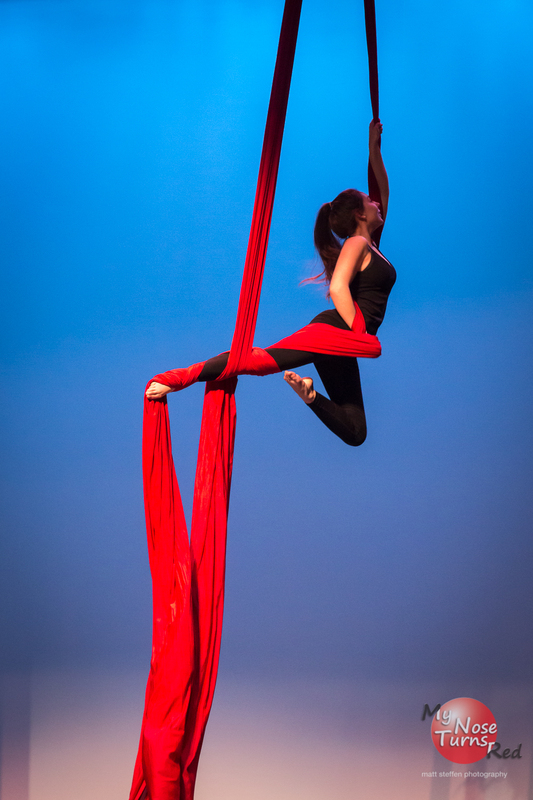 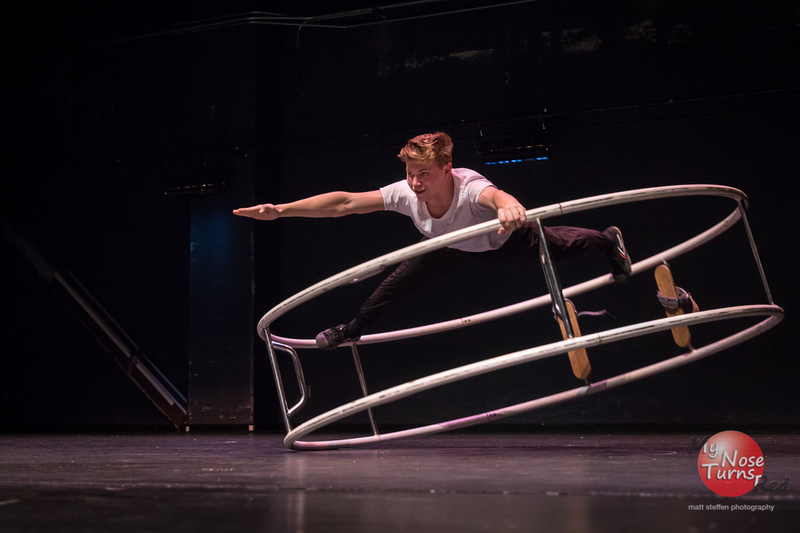 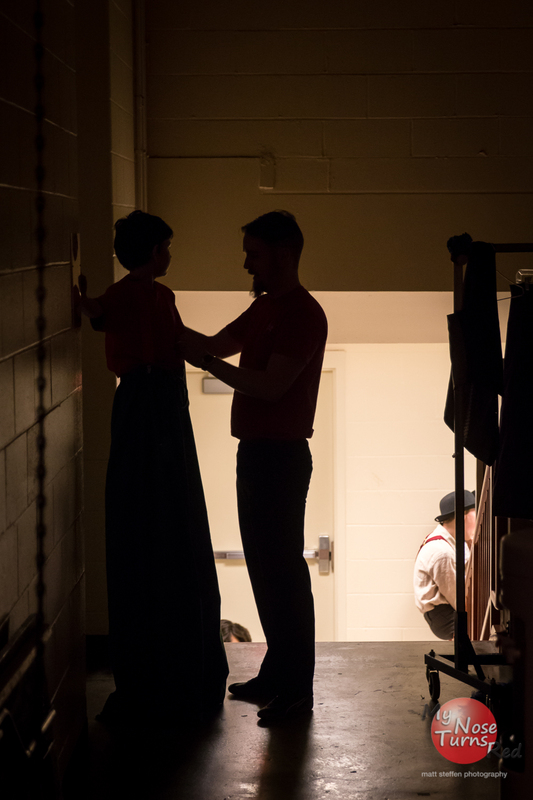 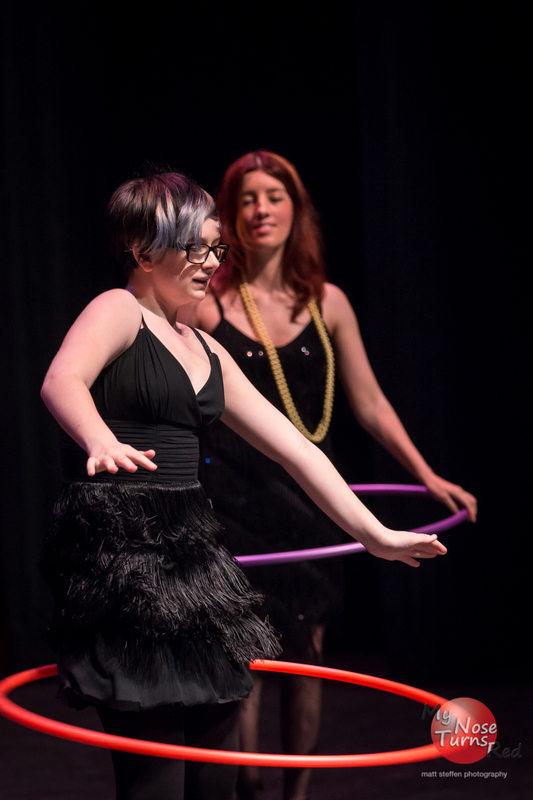 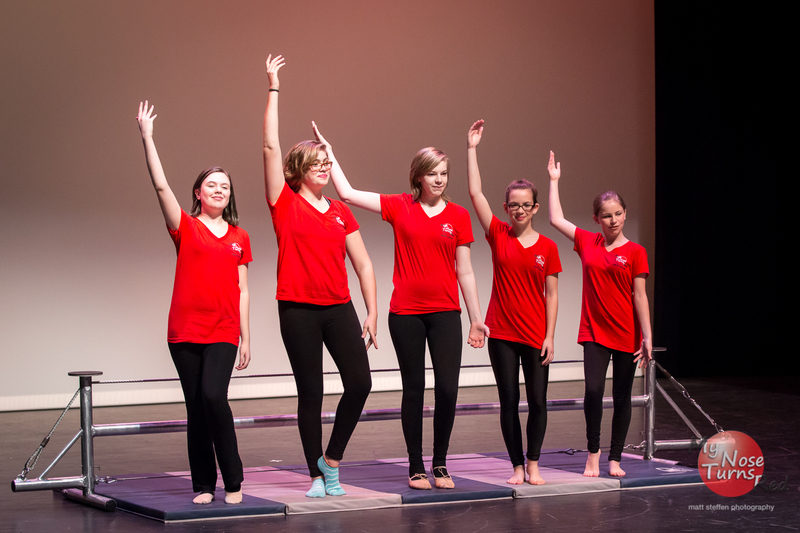 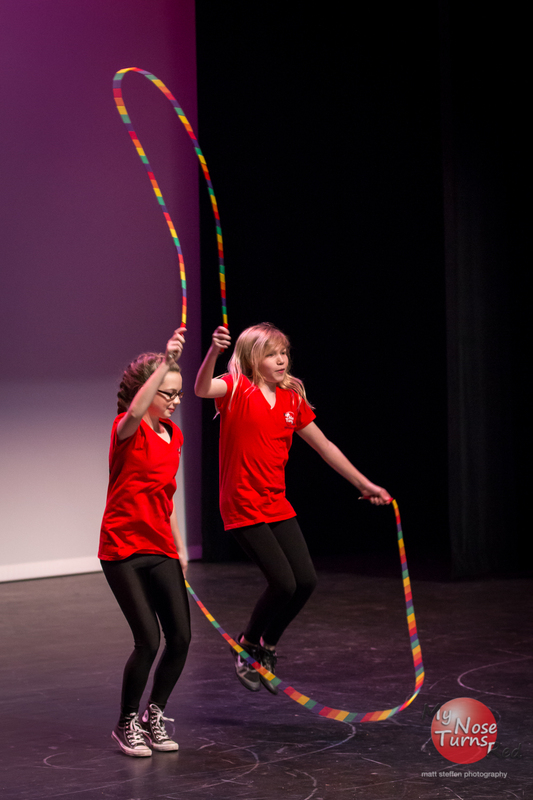 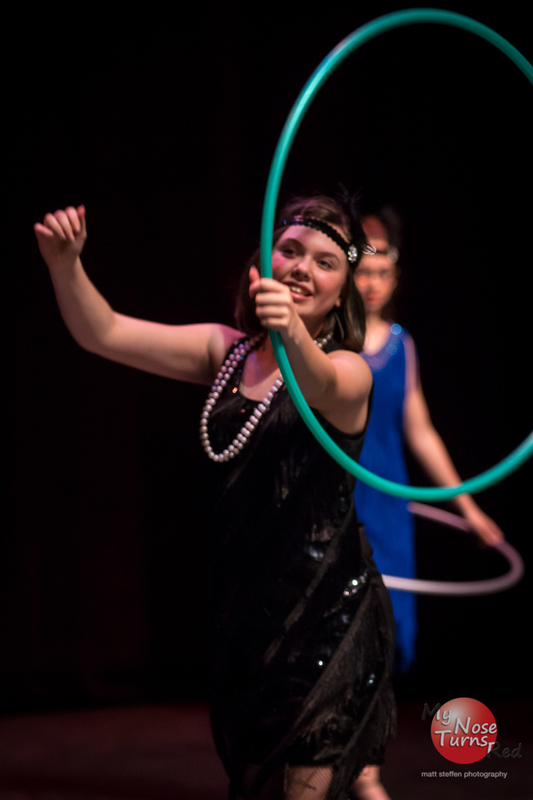 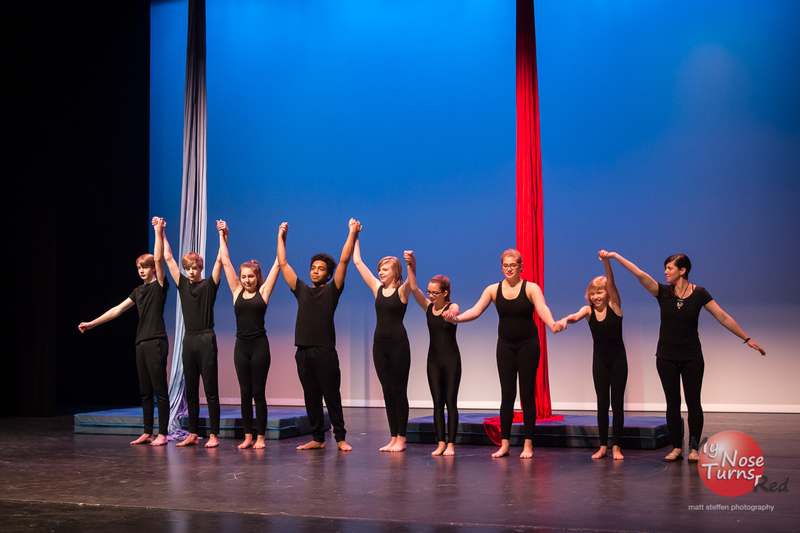 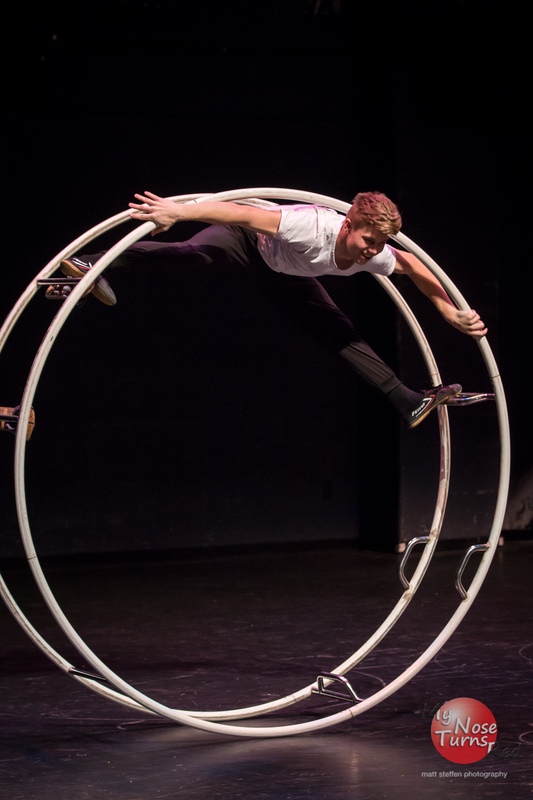 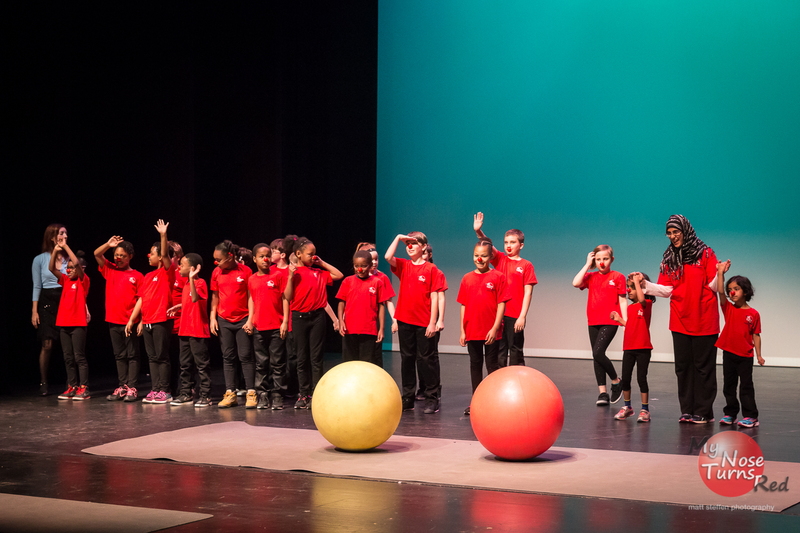 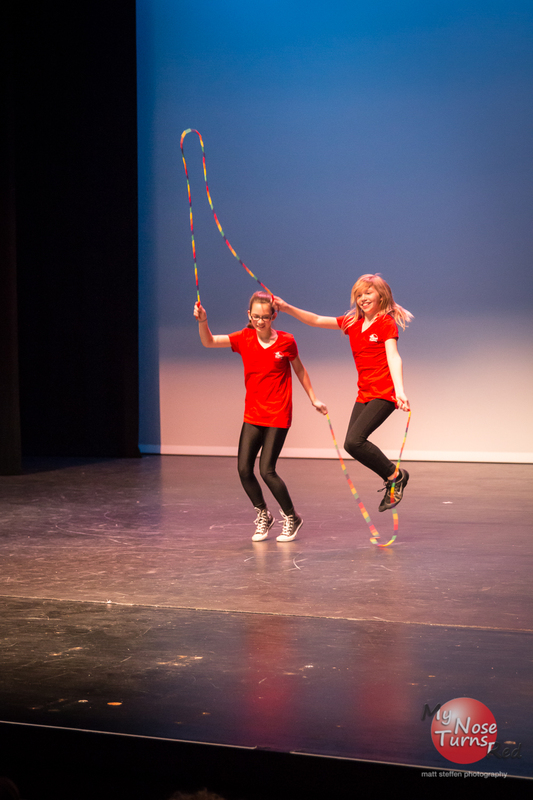 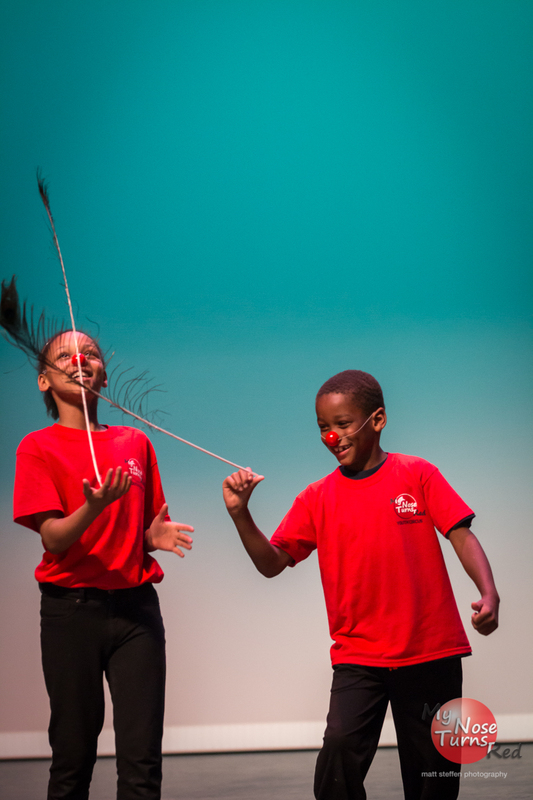 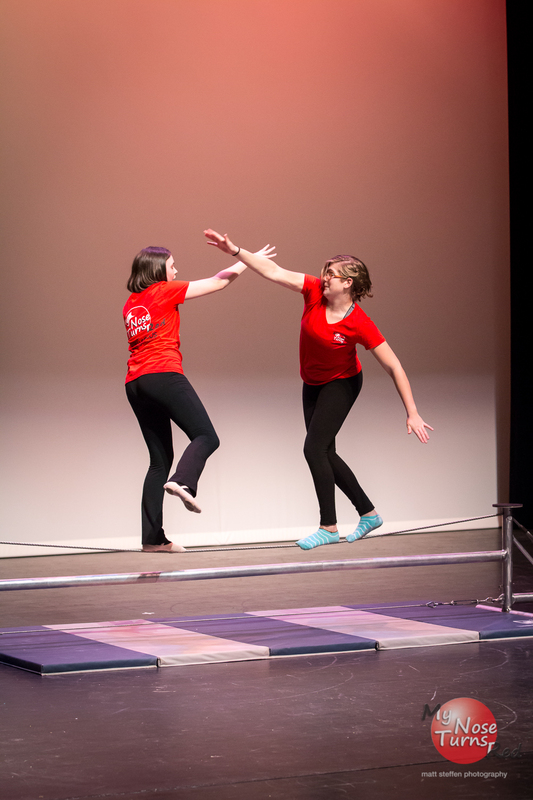 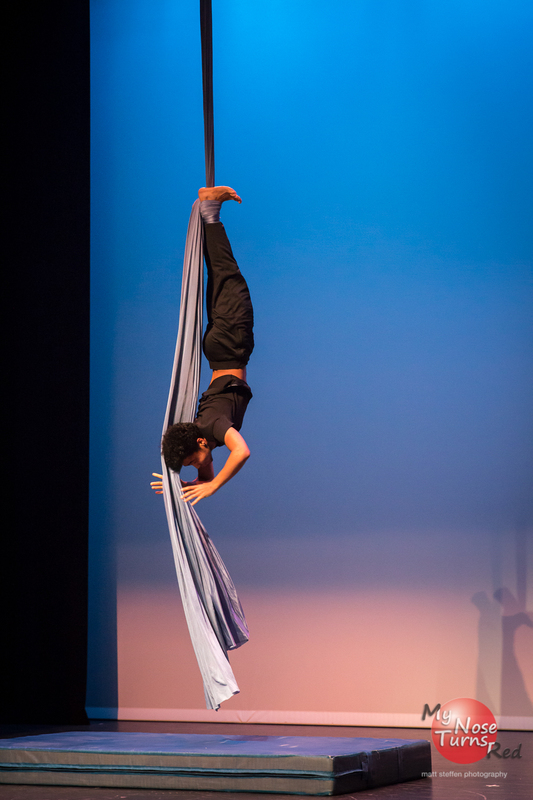 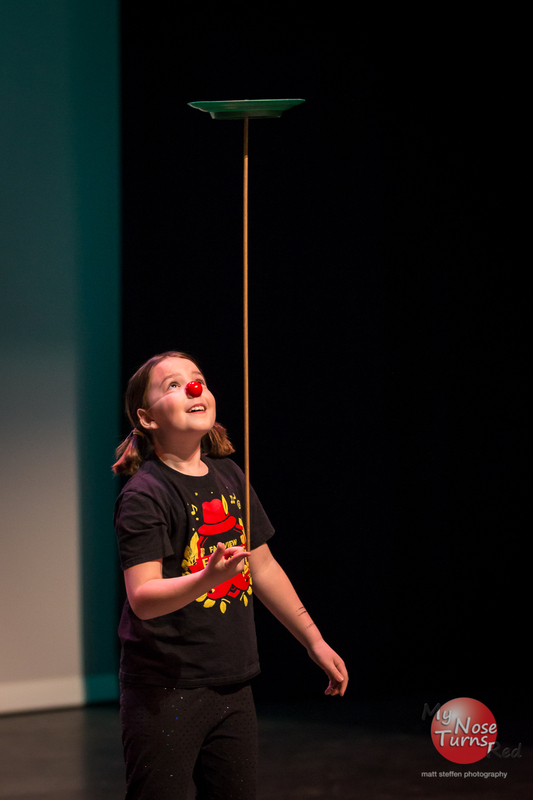 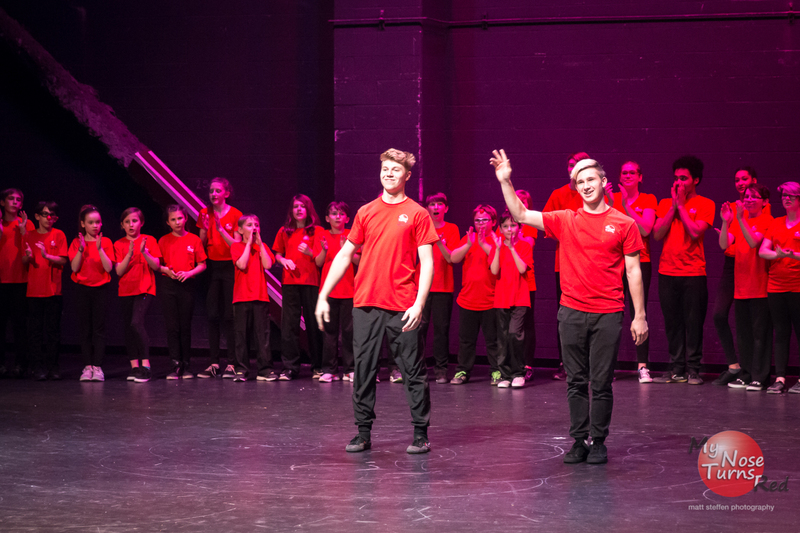 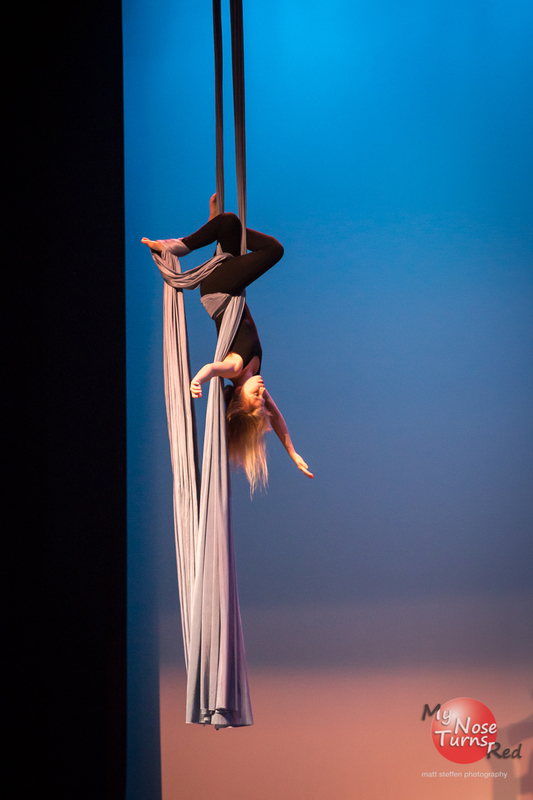 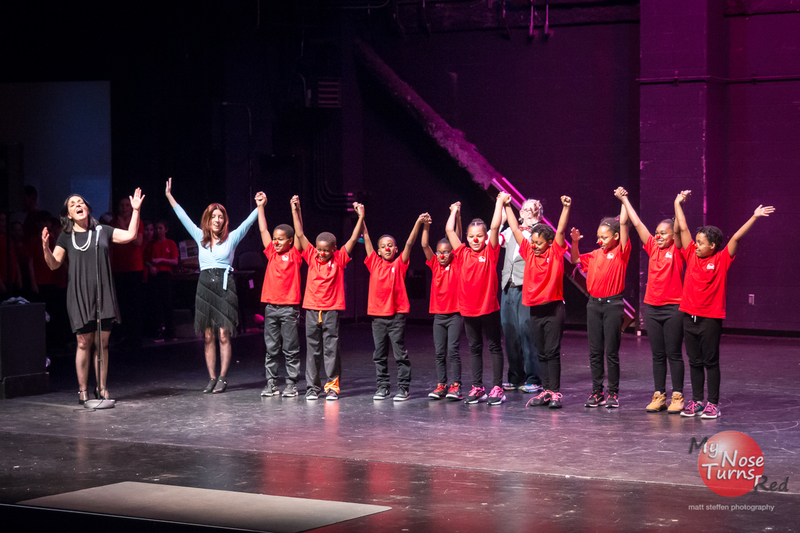 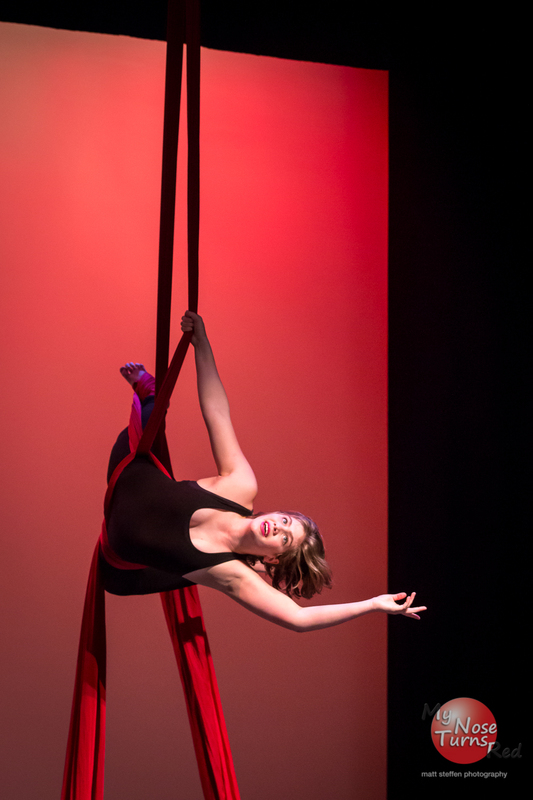 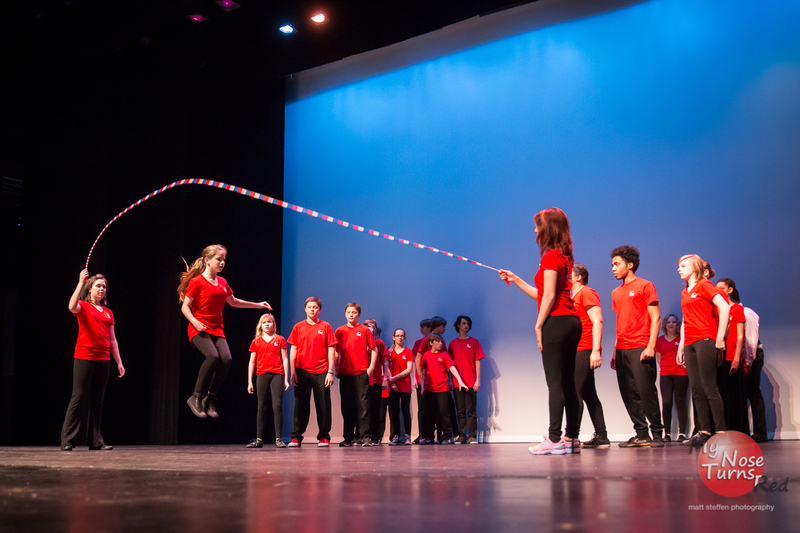 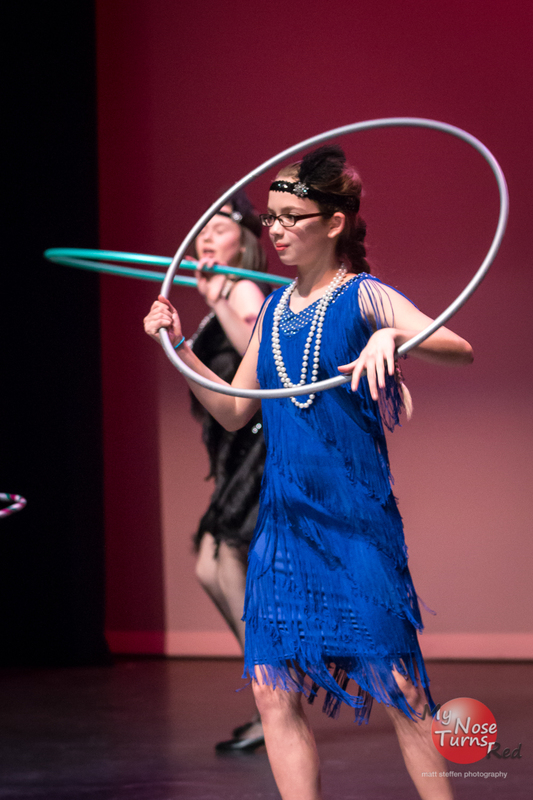 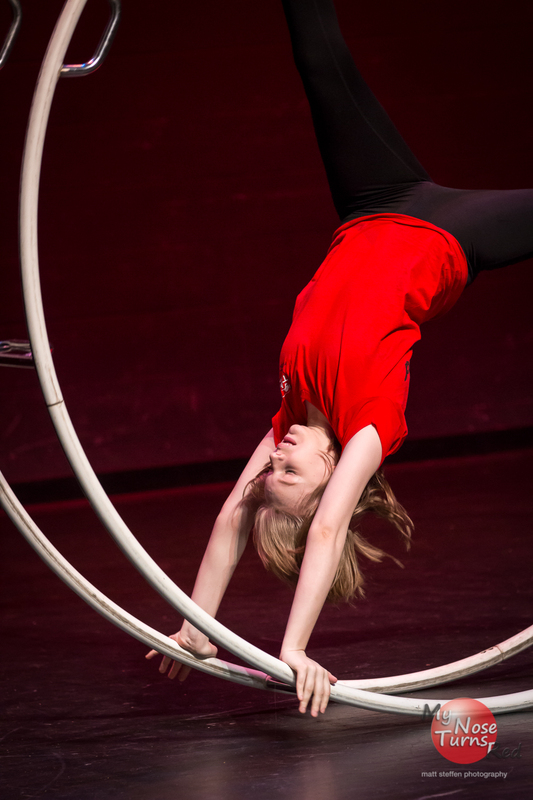 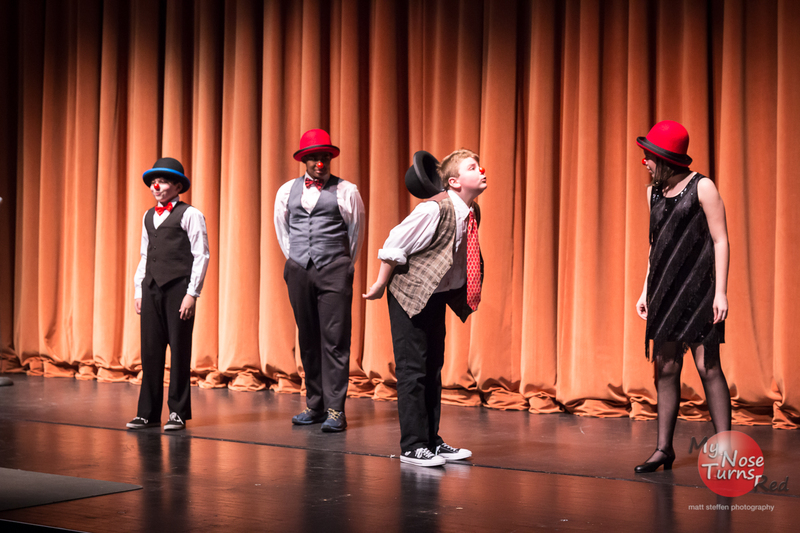 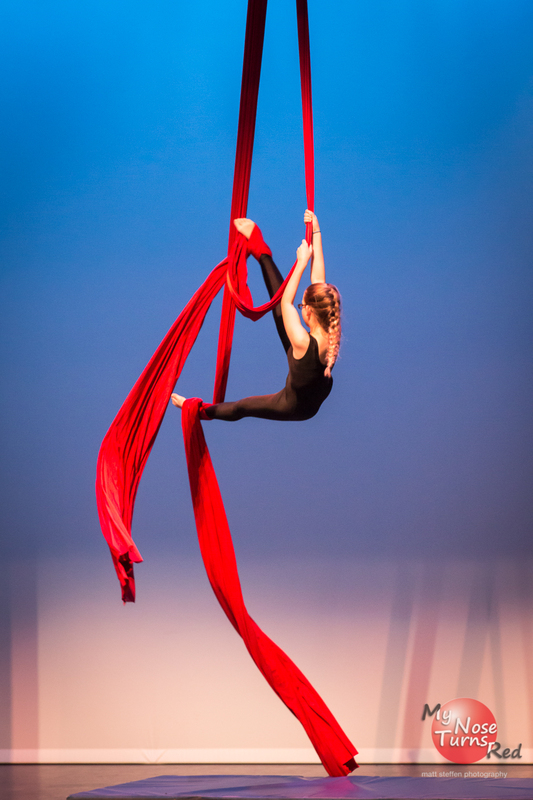 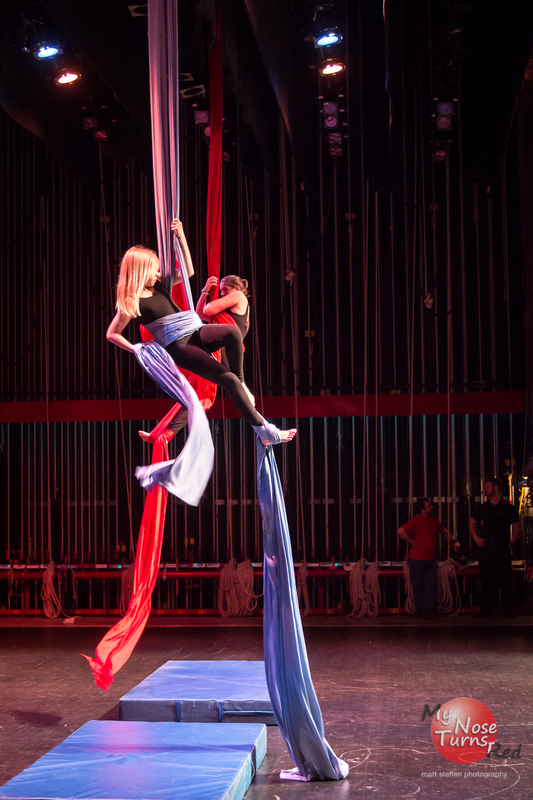 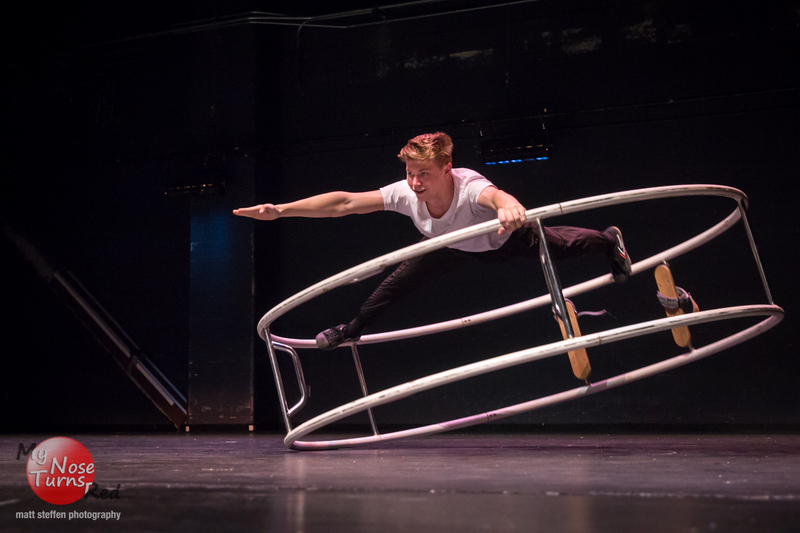 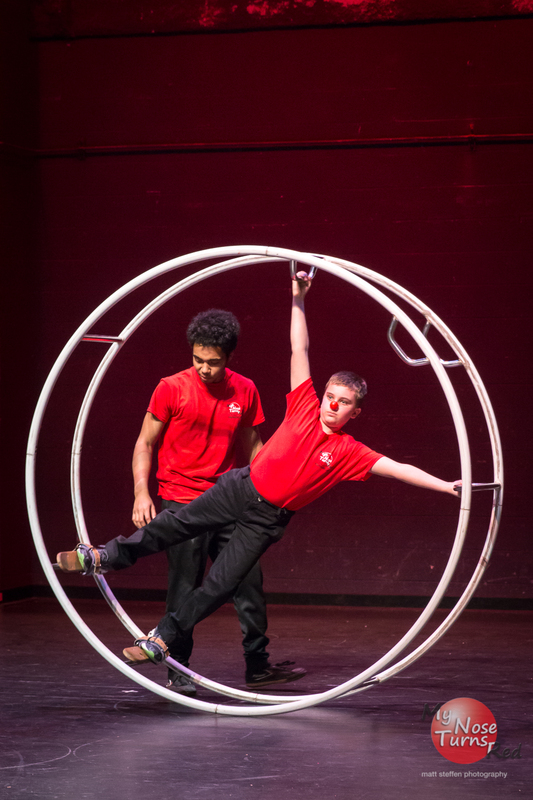 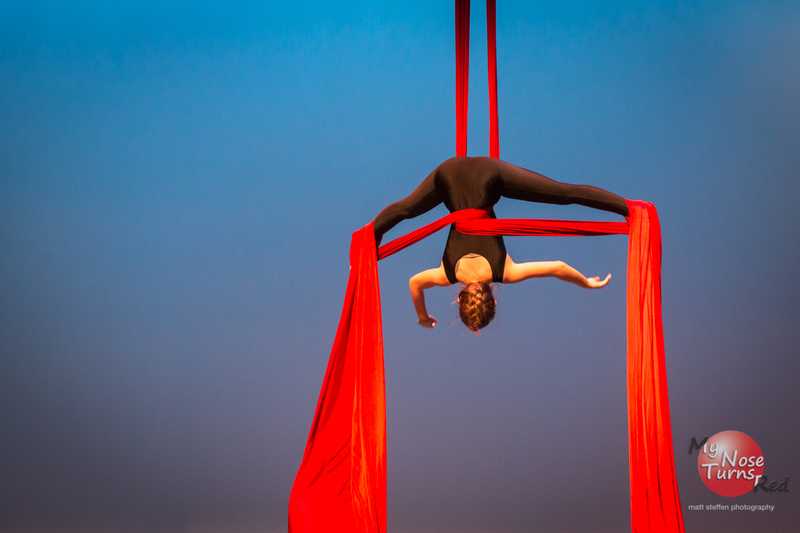 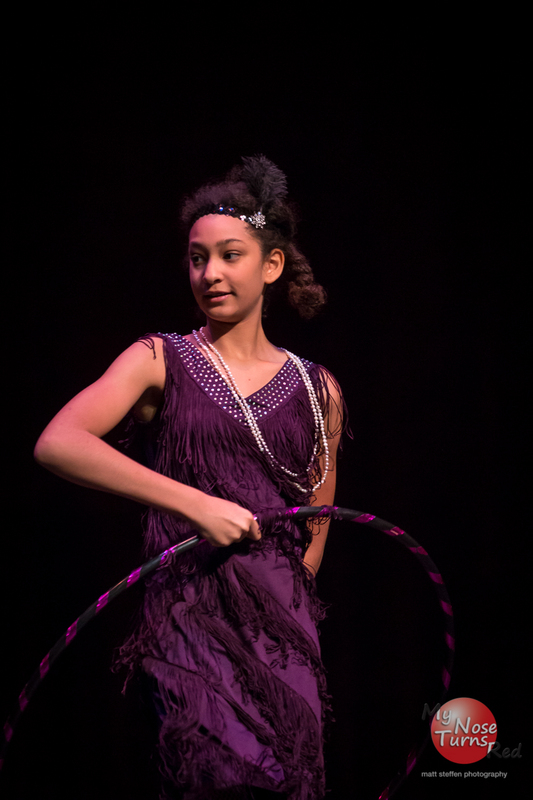 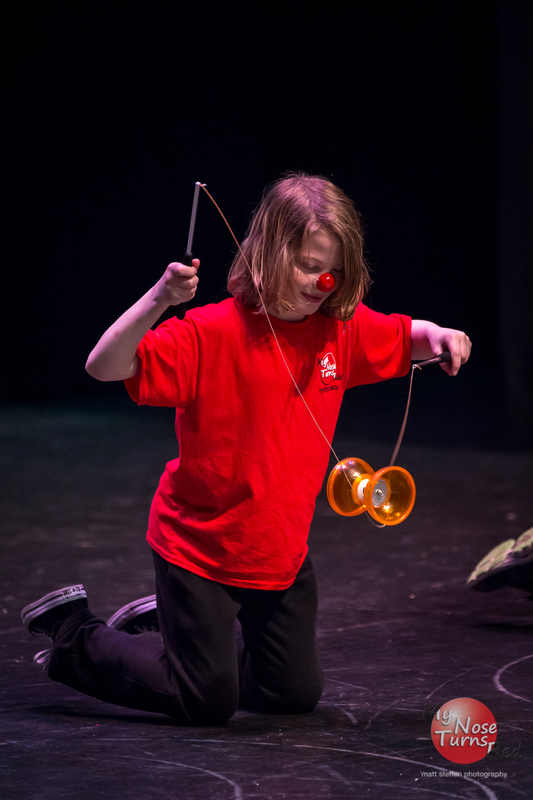 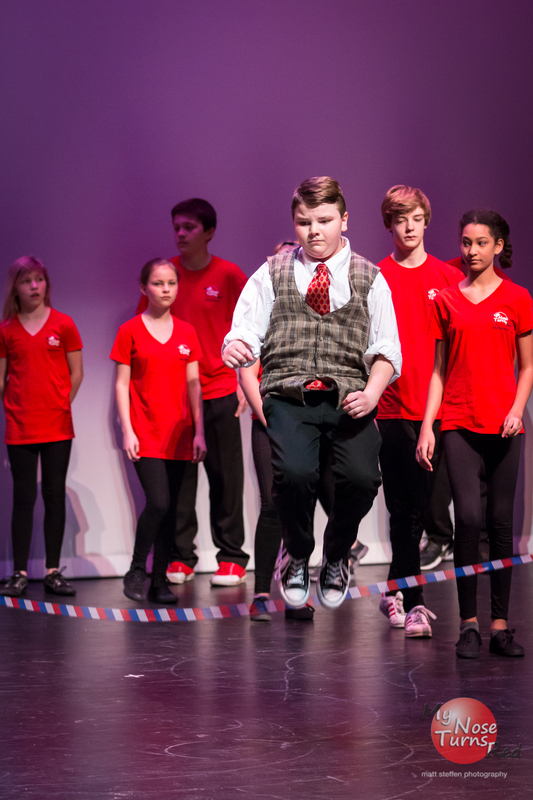 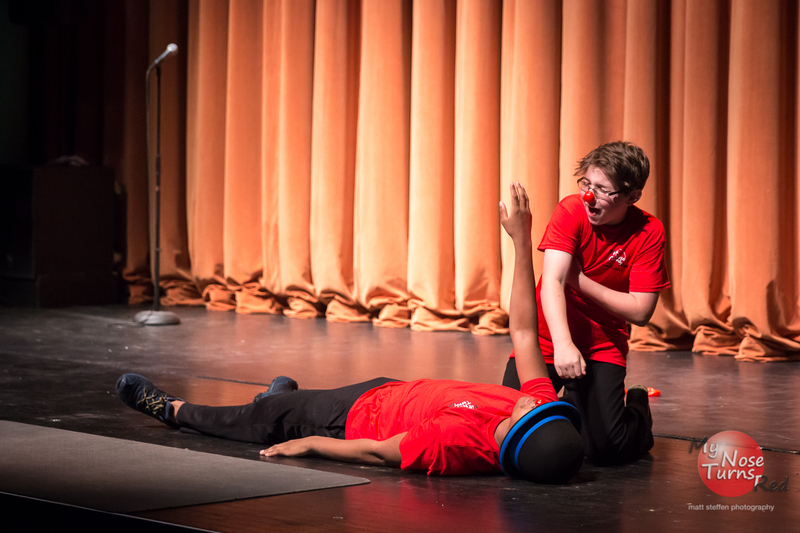 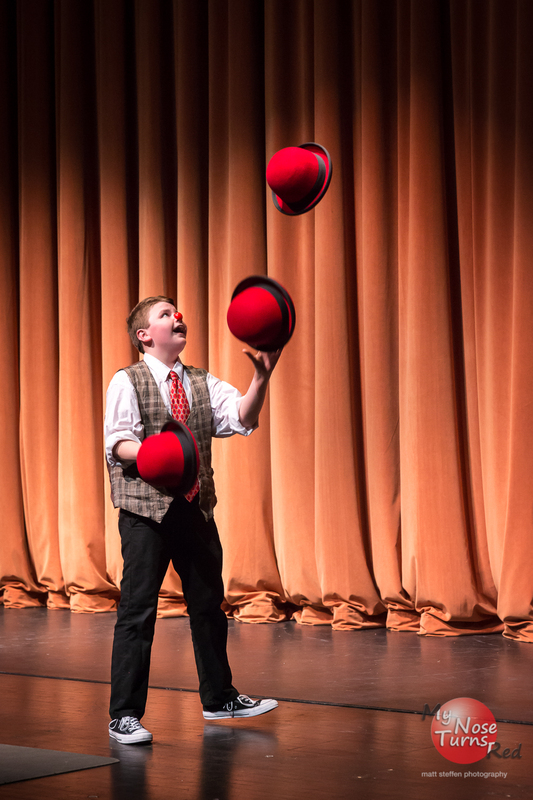 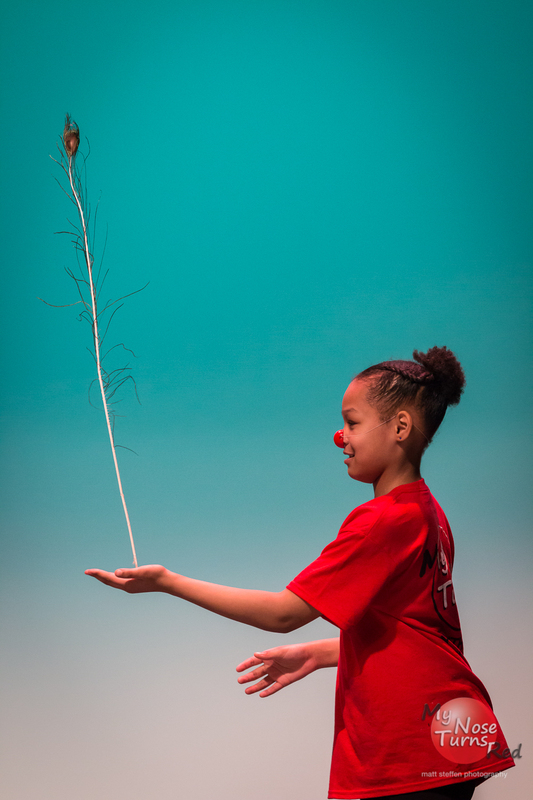 Over 50+ circus students from across the region will come together to demonstrate their courage and tenacity, joy and creativity in the Jarson-Kaplan Theater in the Aronoff Center for the Arts. 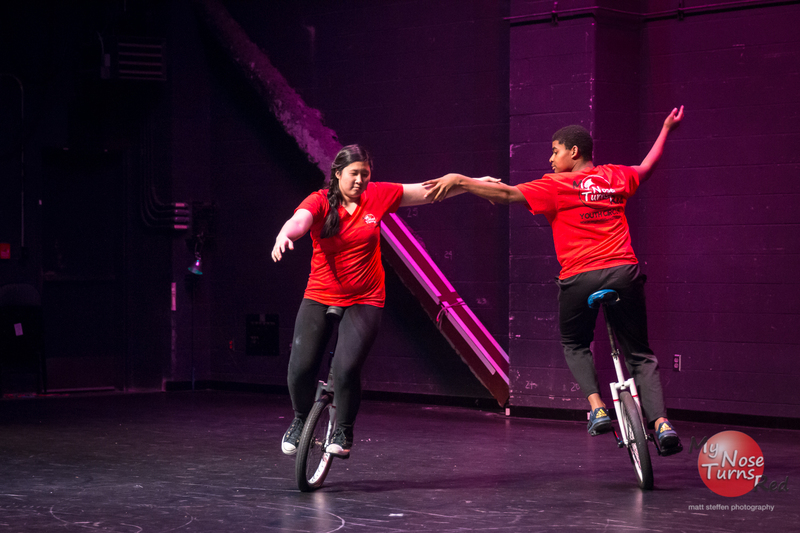 This year’s theme celebrates humankind’s desire to fly from the Wright Brothers to Apollo 11 and beyond. 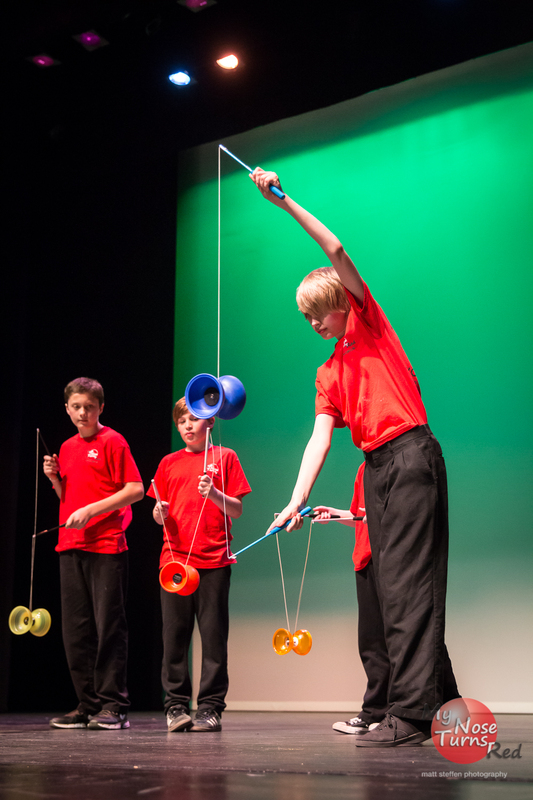 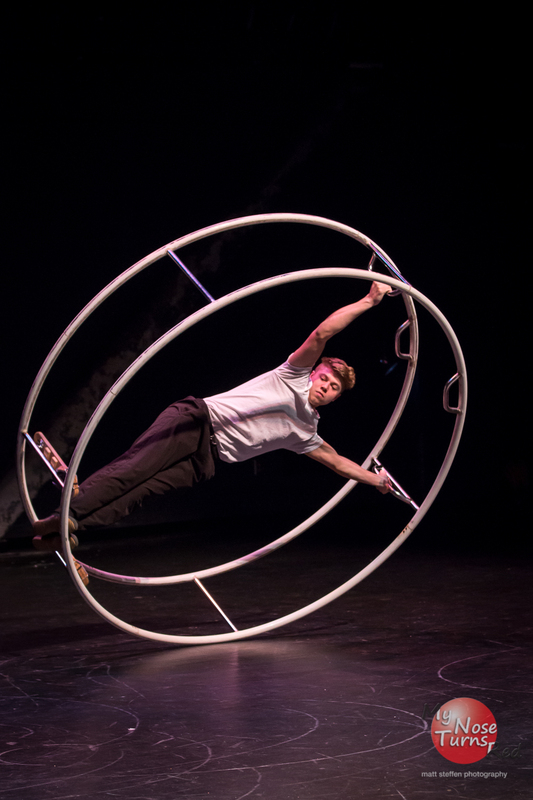 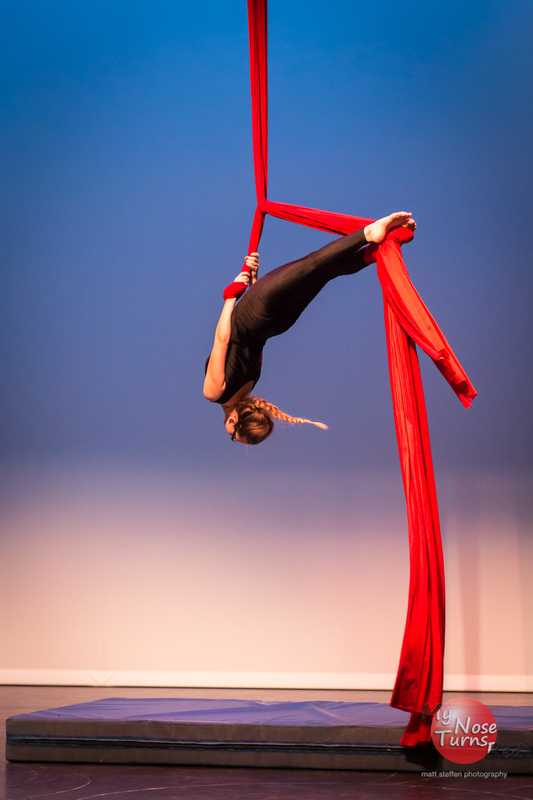 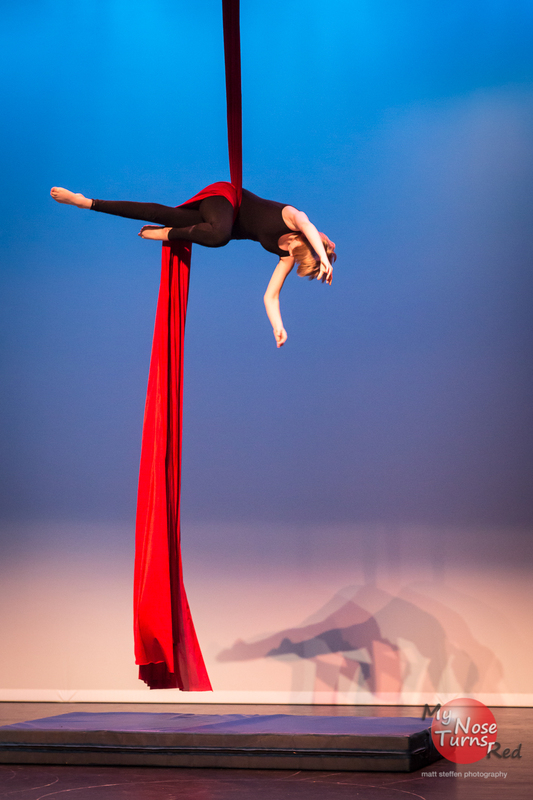 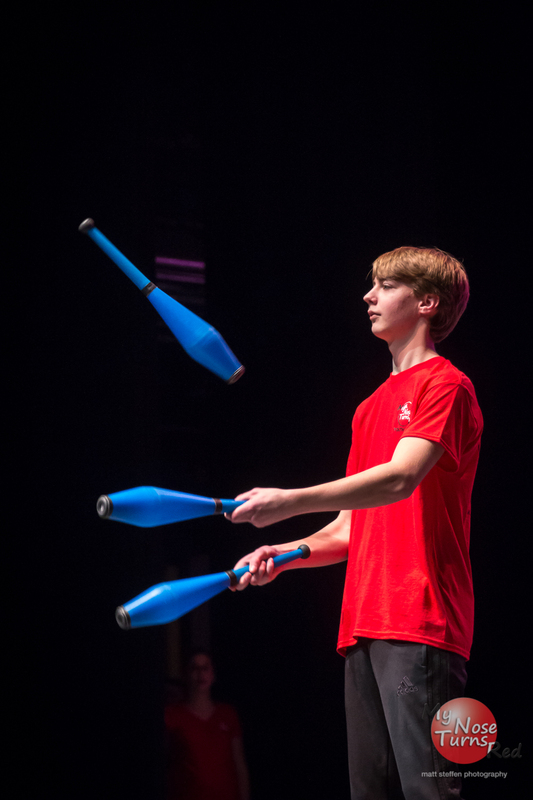 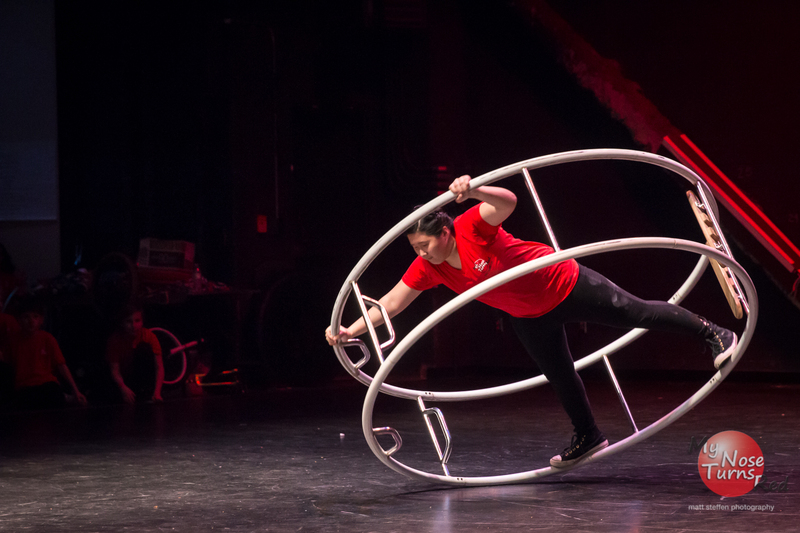 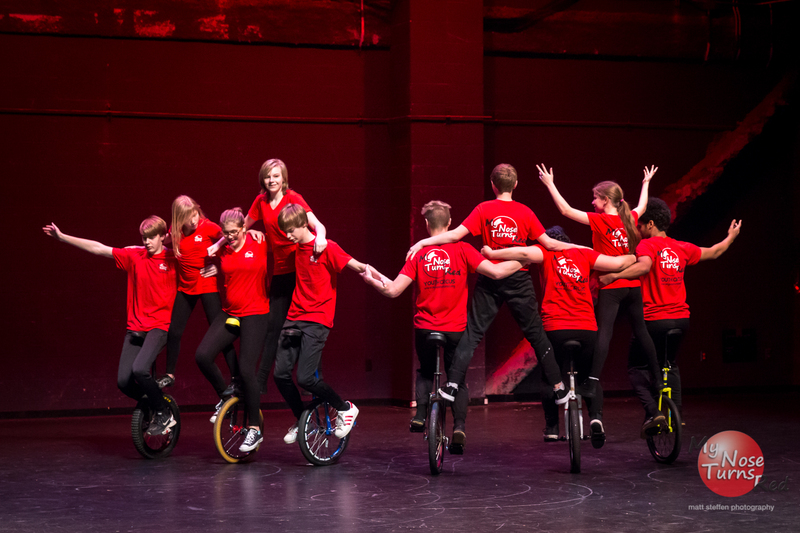 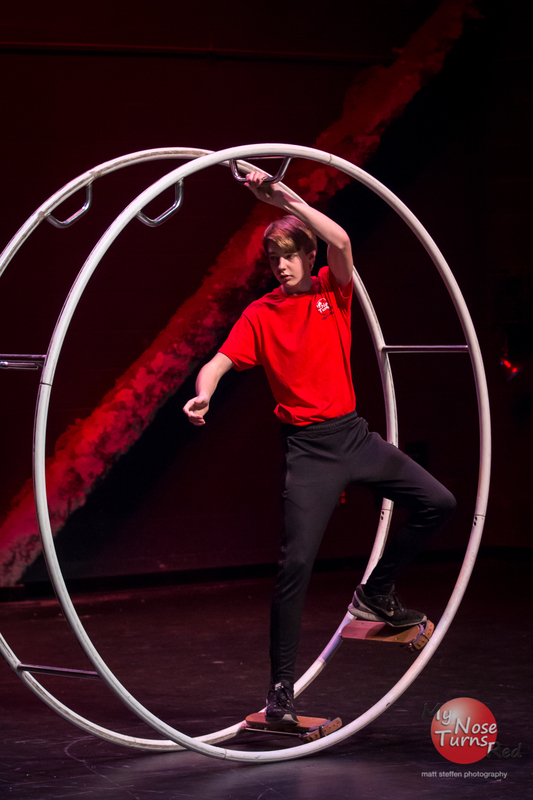 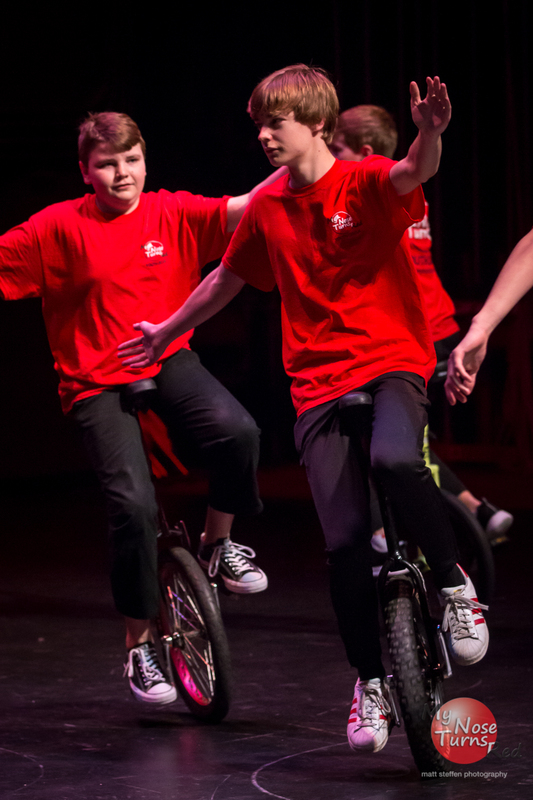 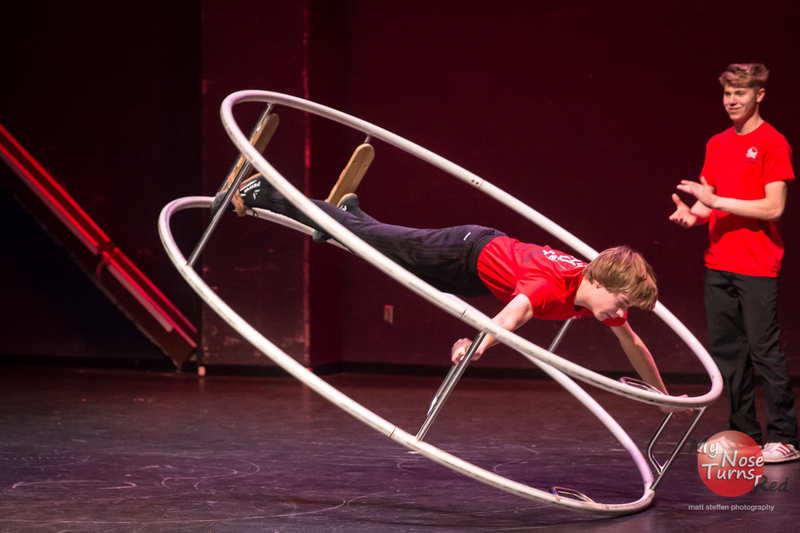 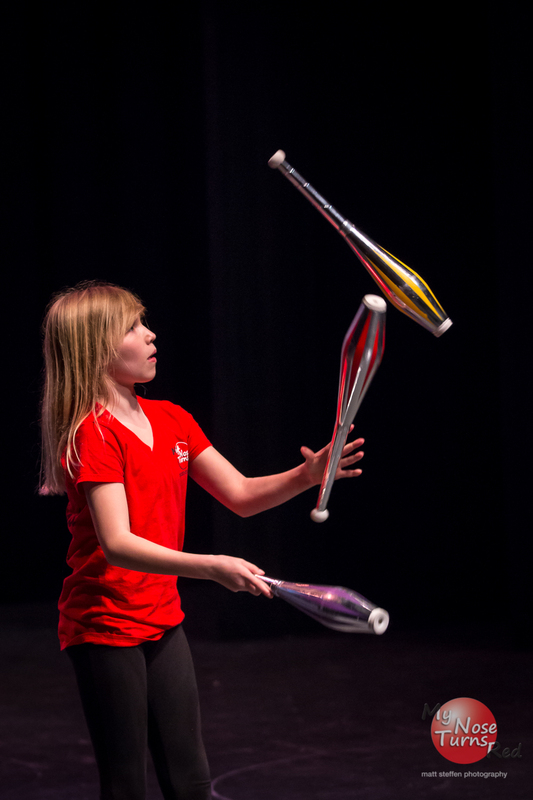 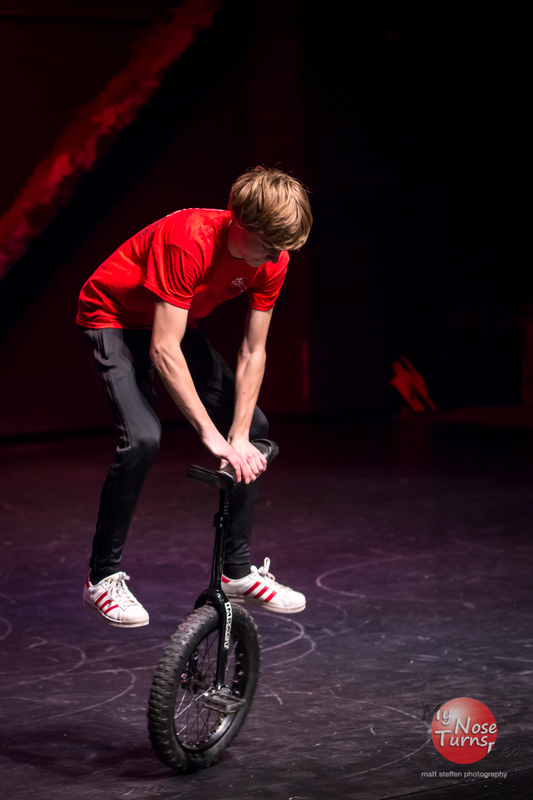 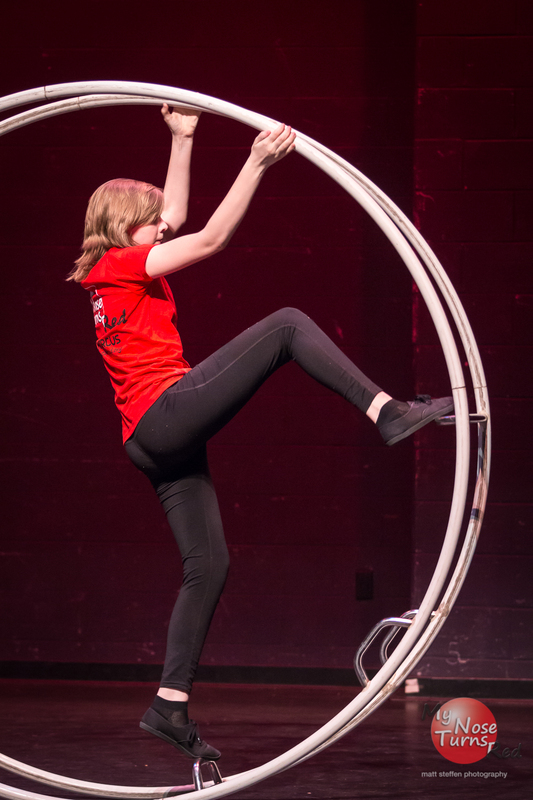 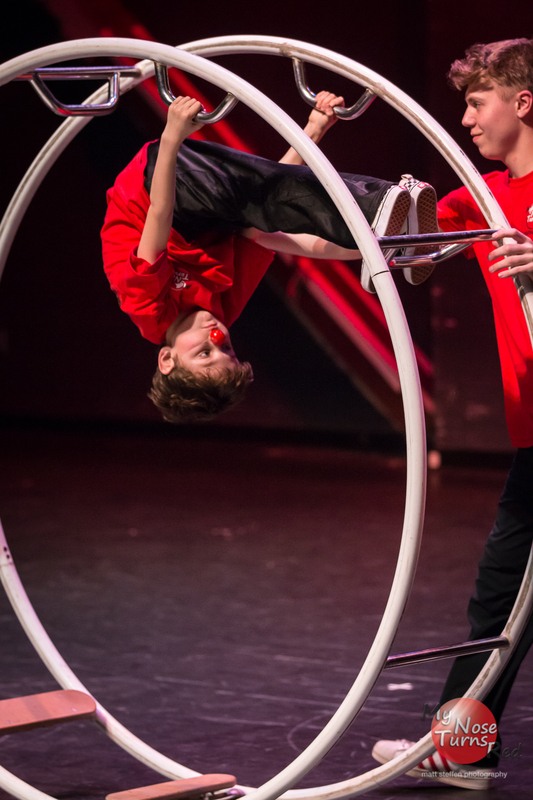 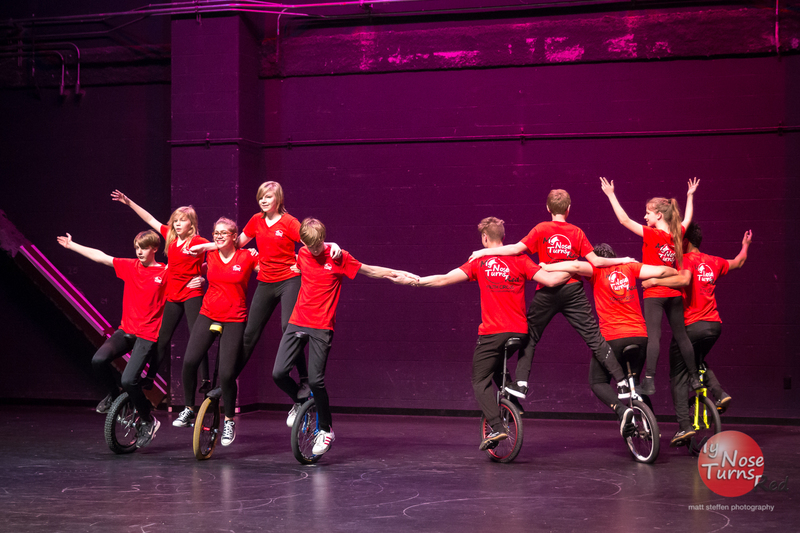 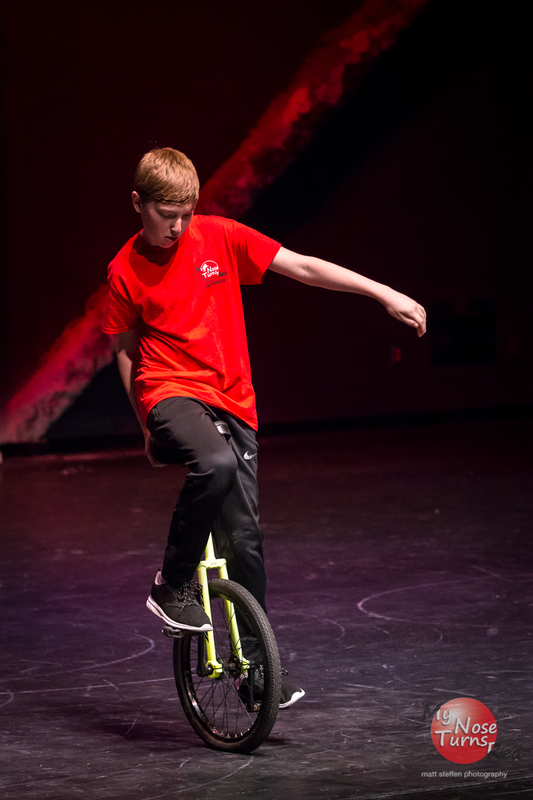 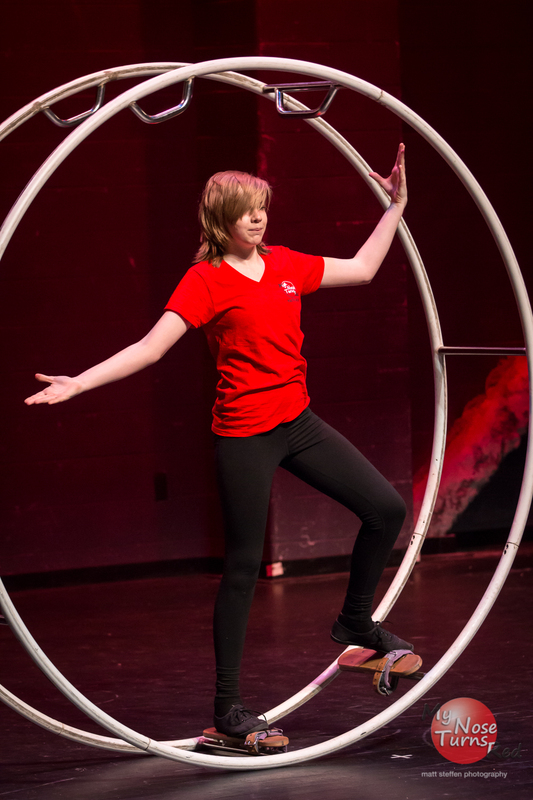 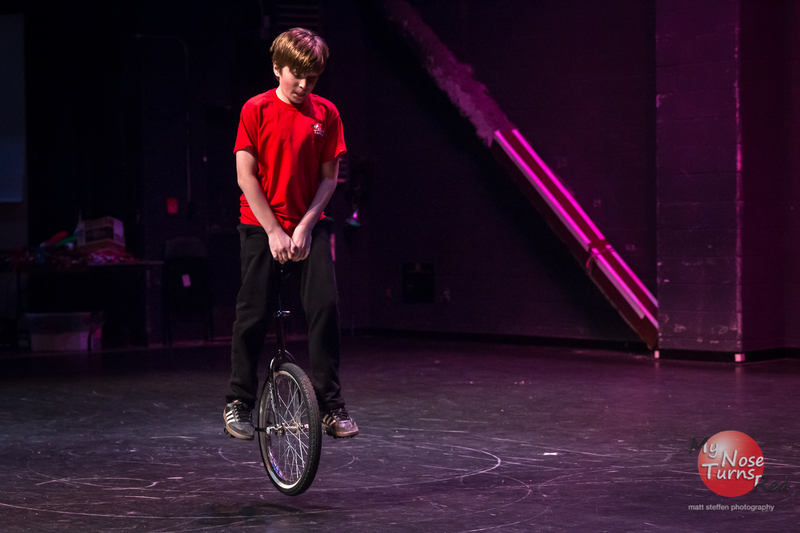 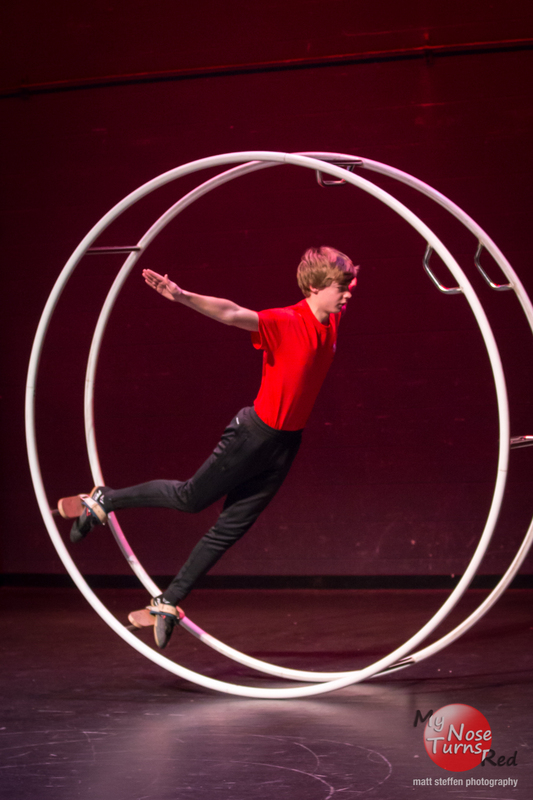 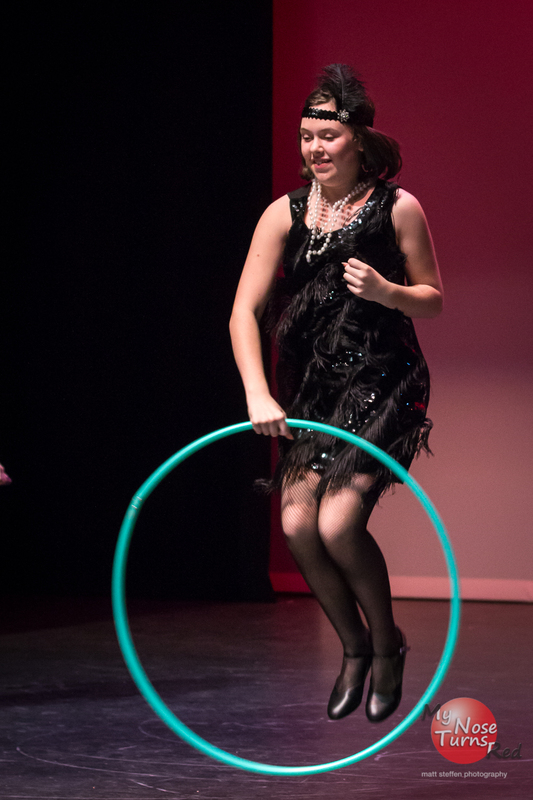 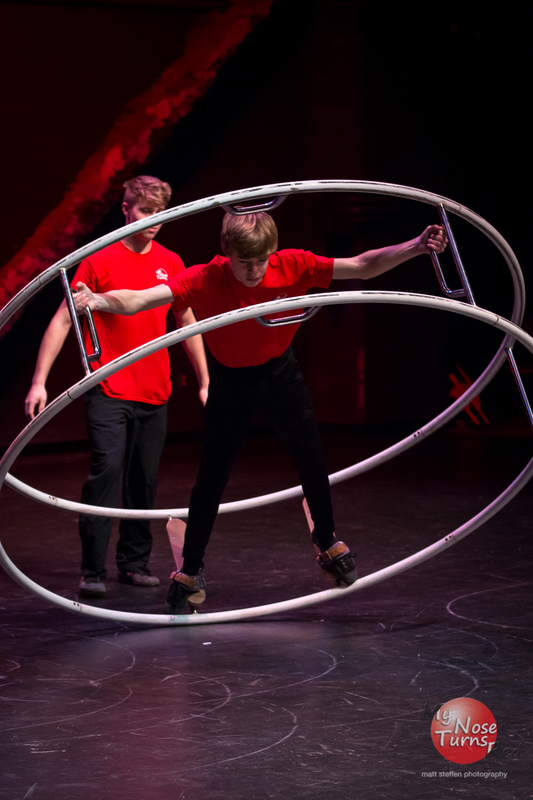 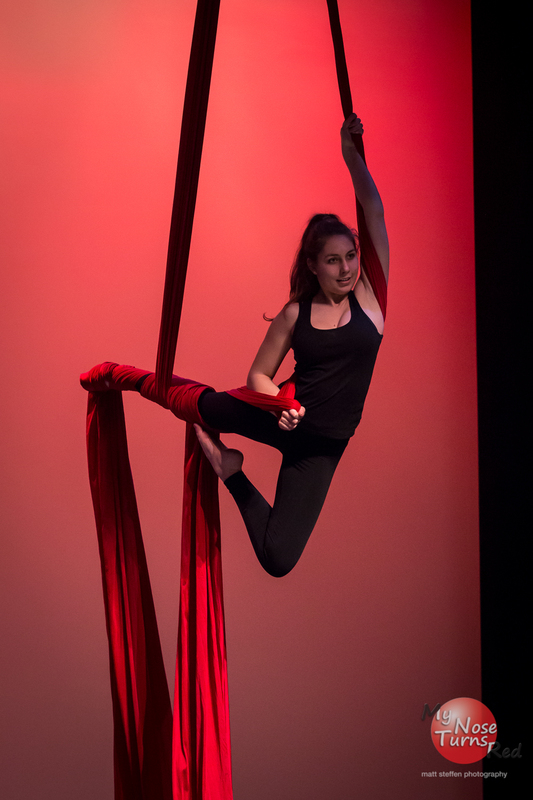 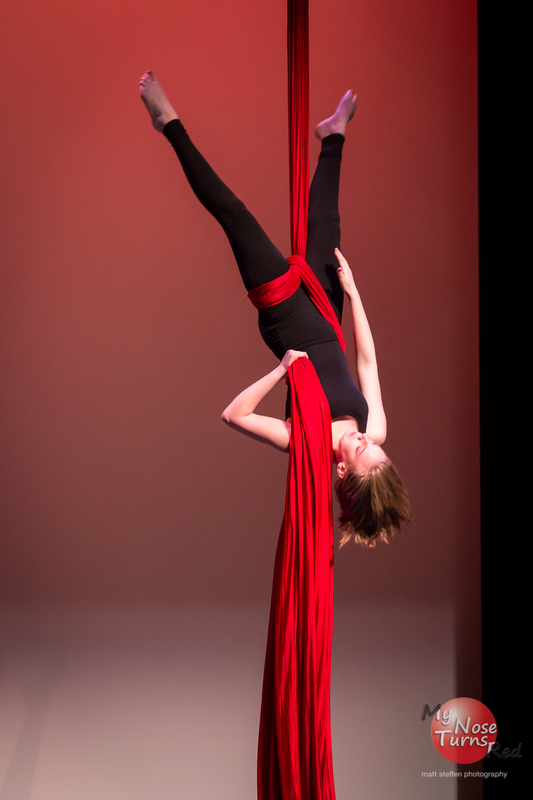 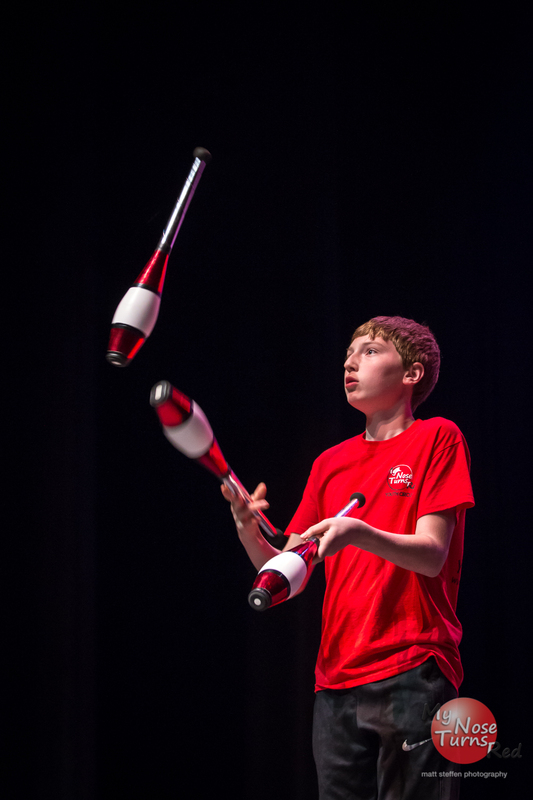 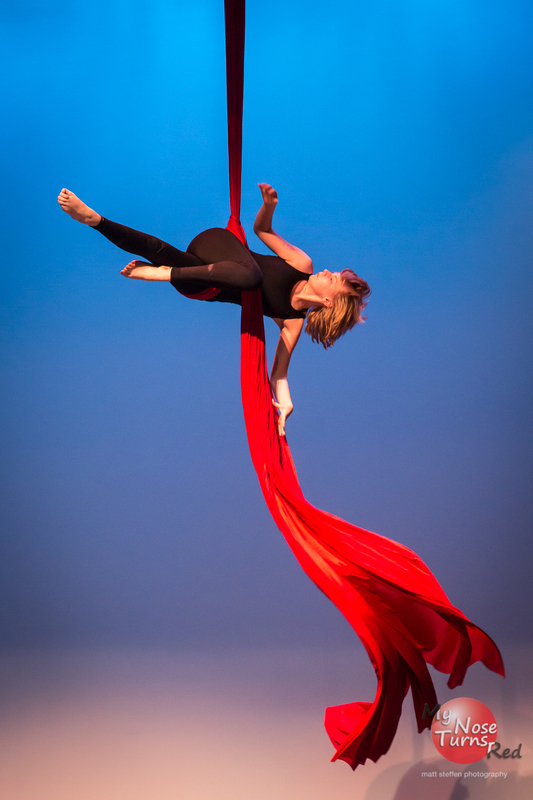 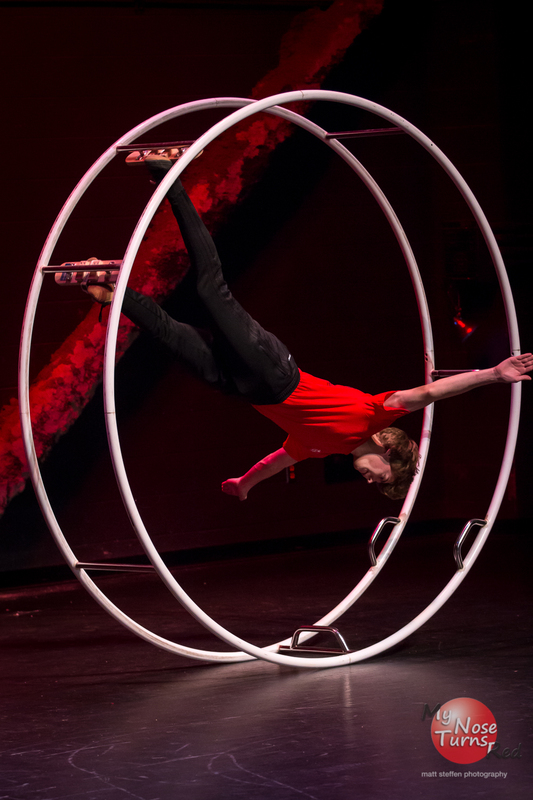 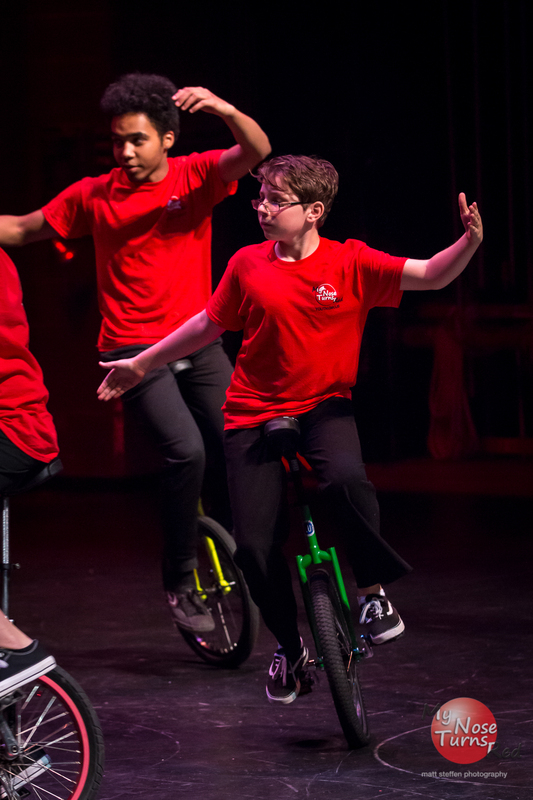 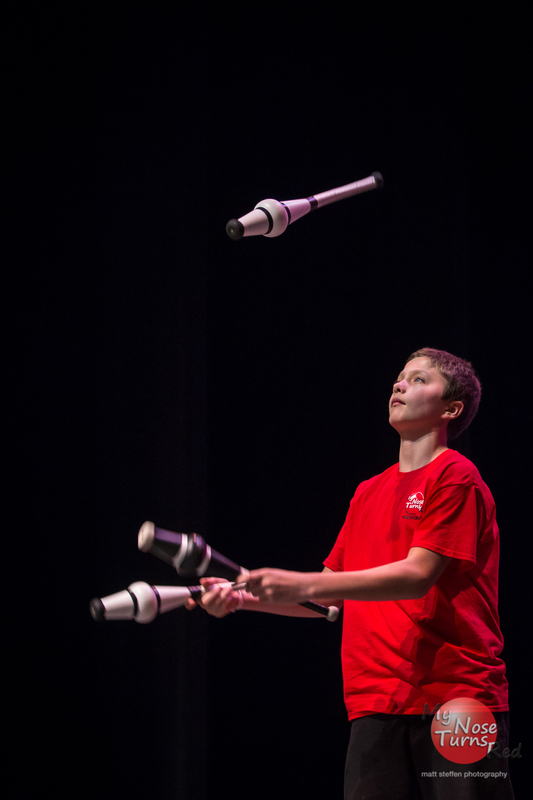 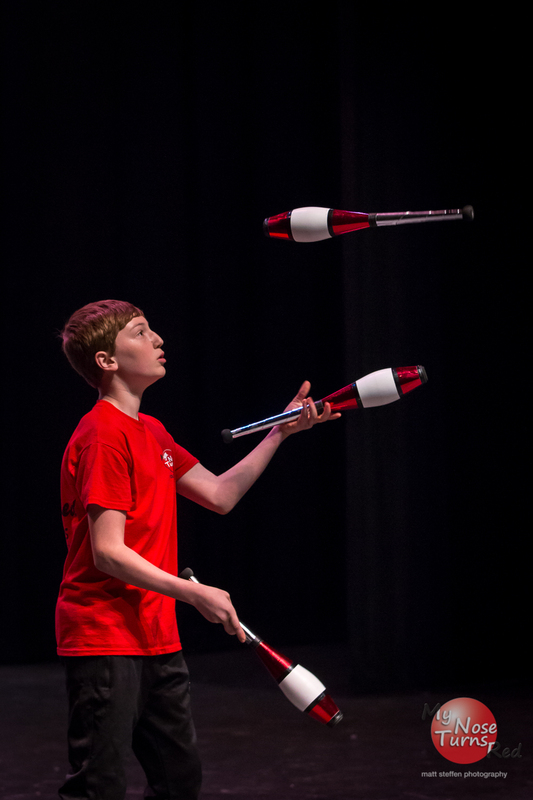 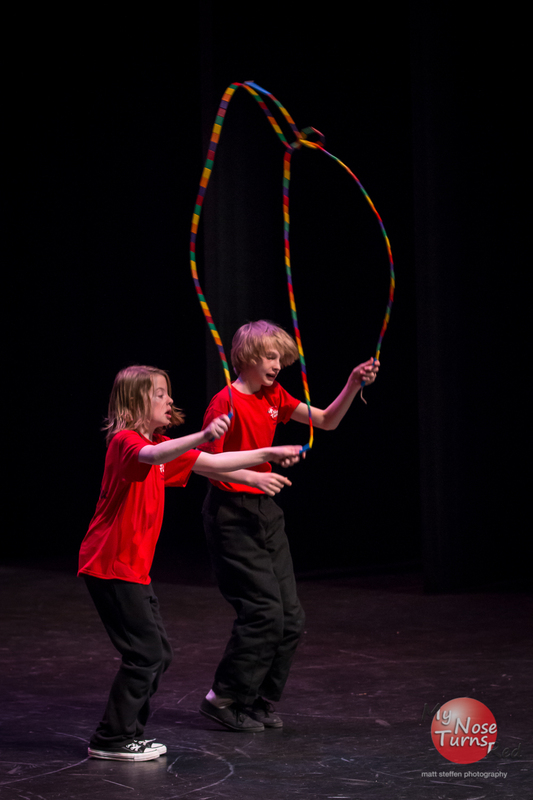 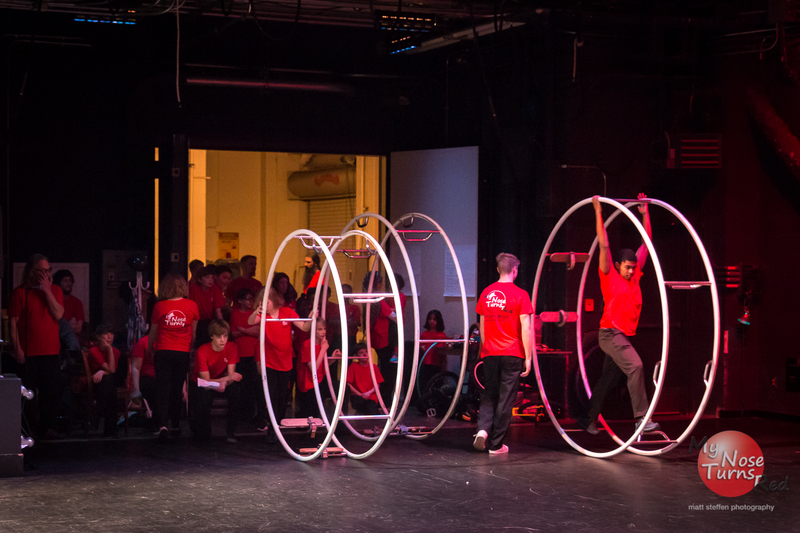 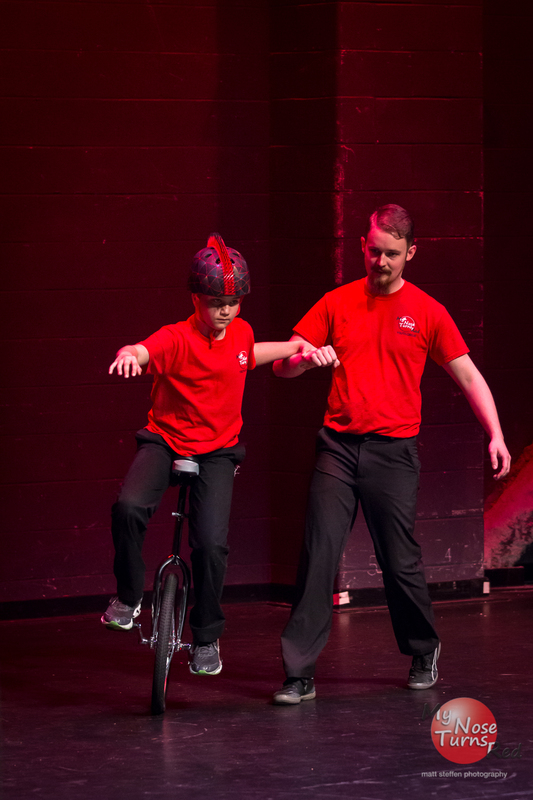 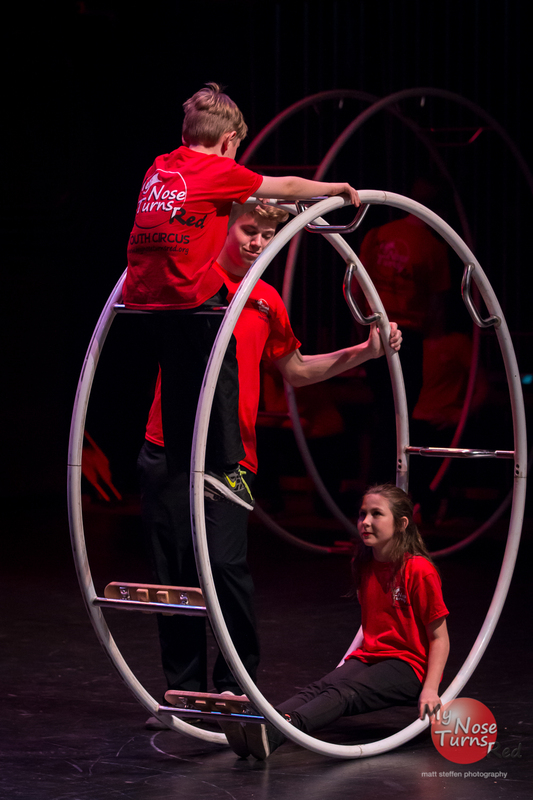 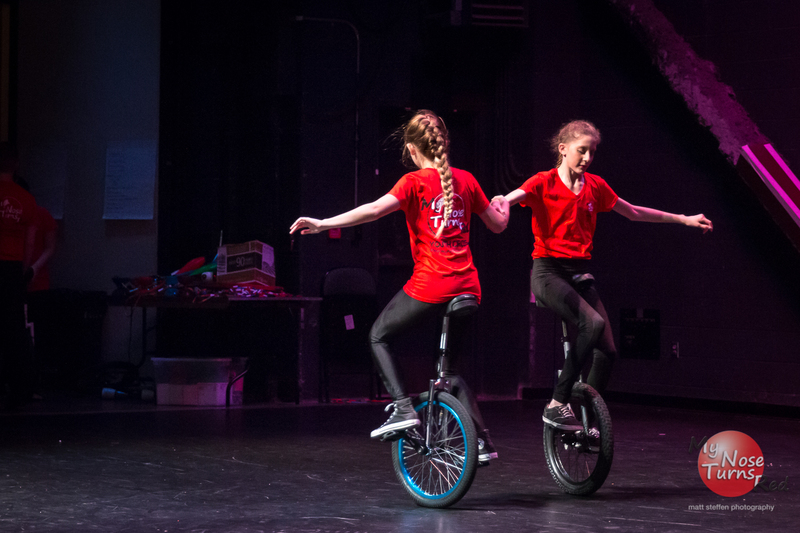 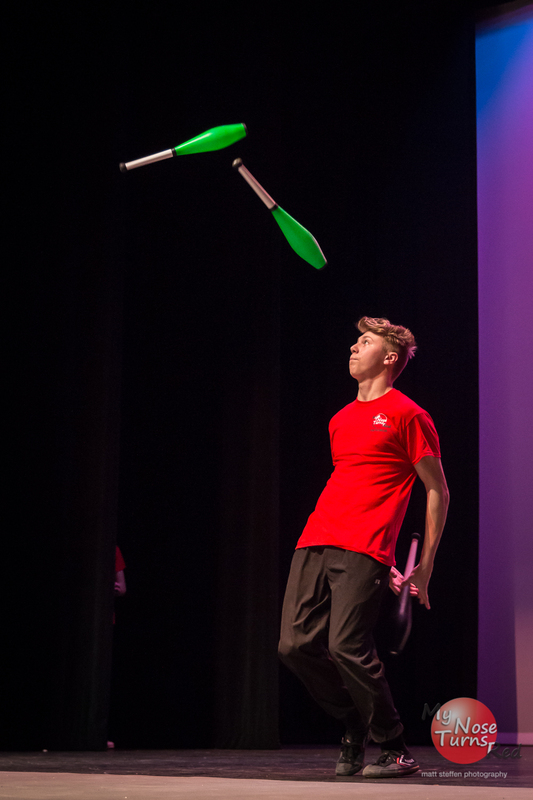 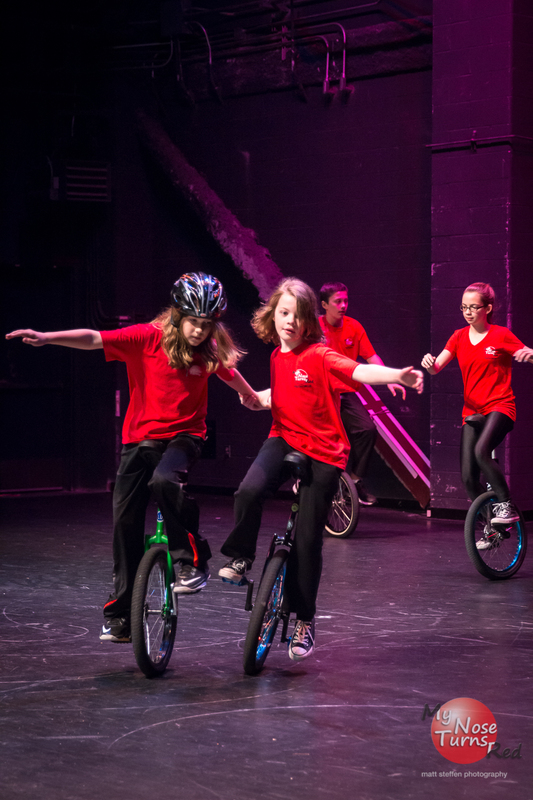 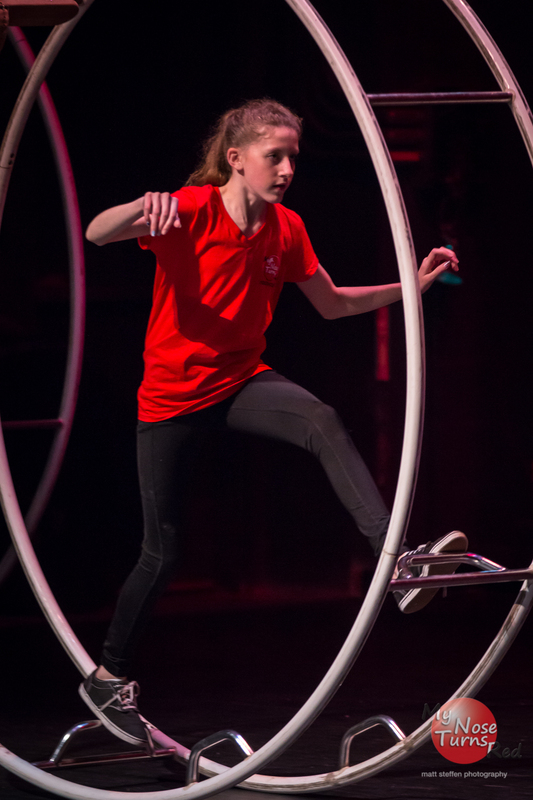 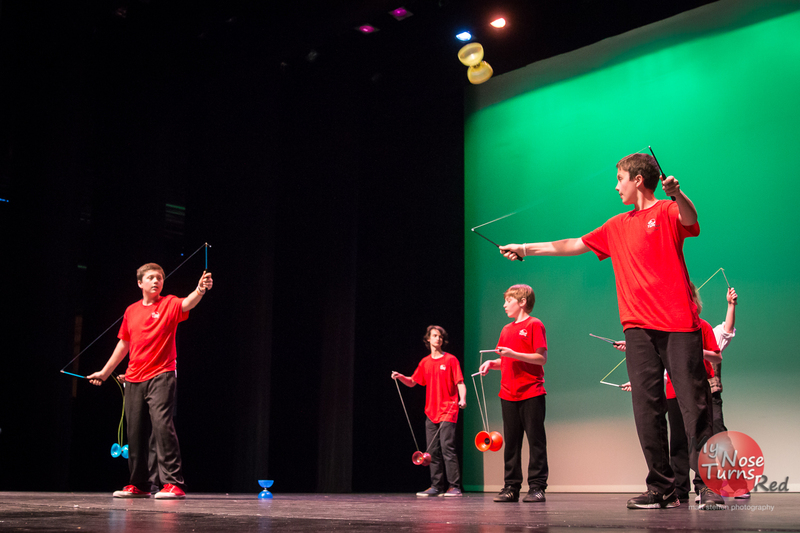 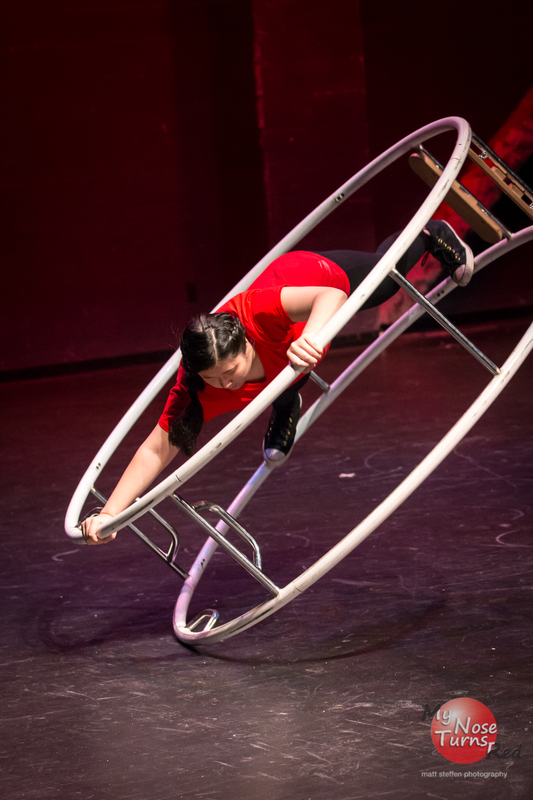 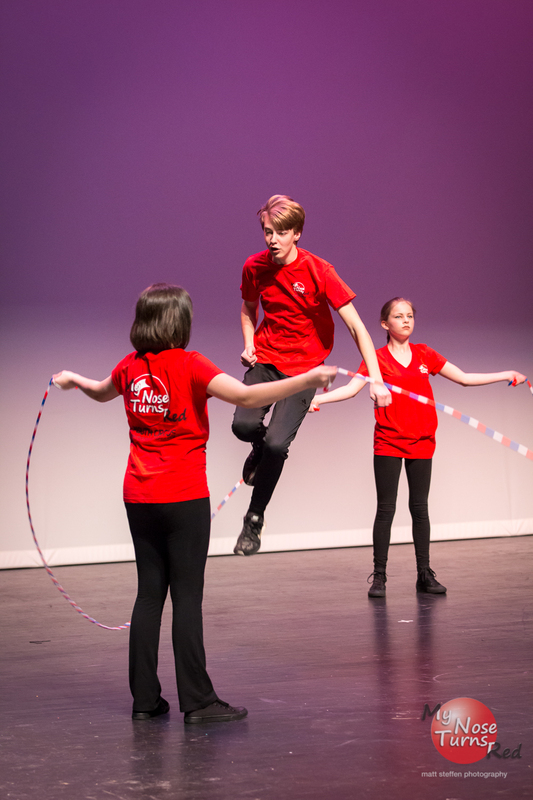 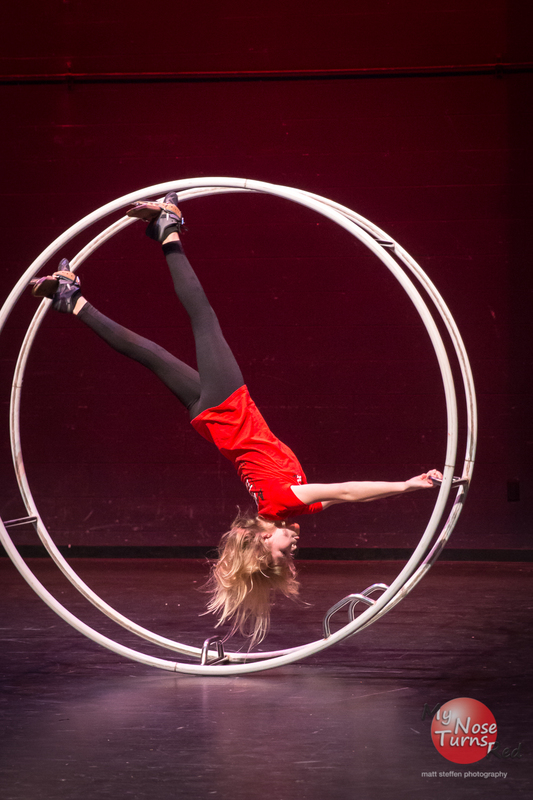 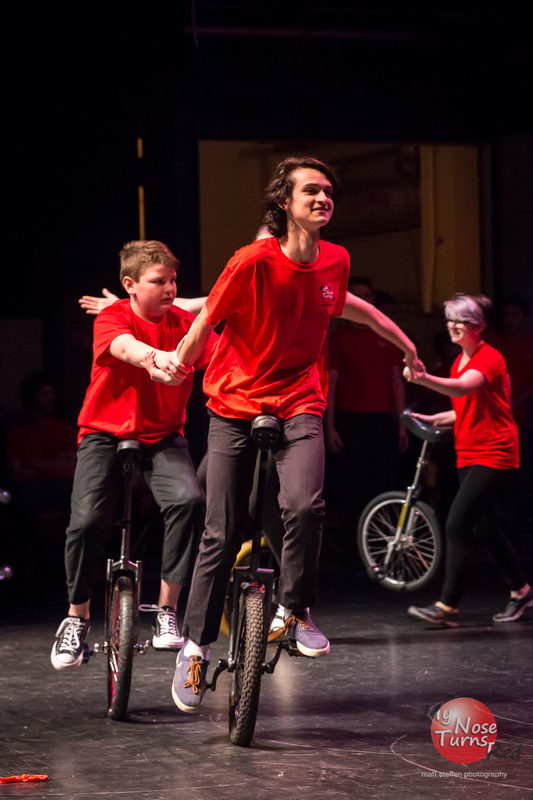 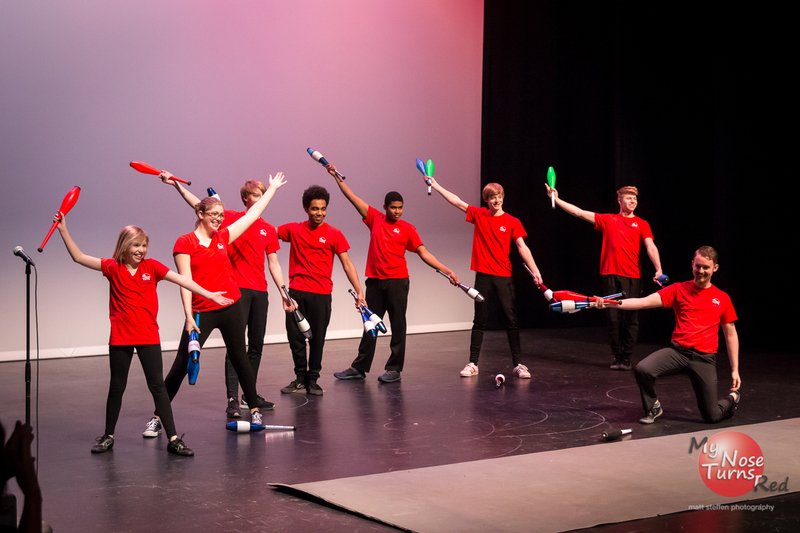 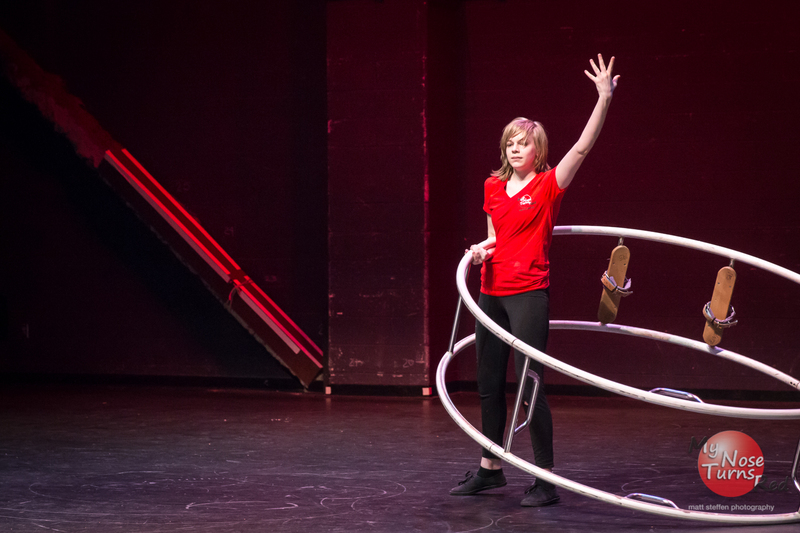 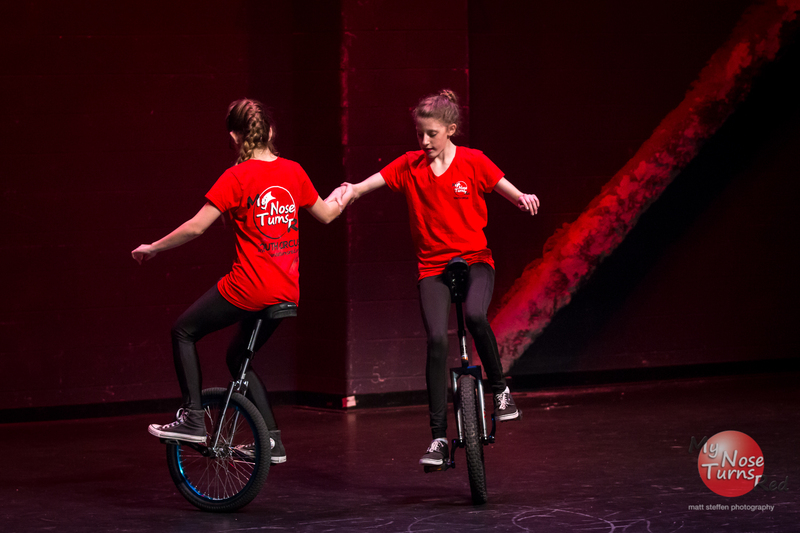 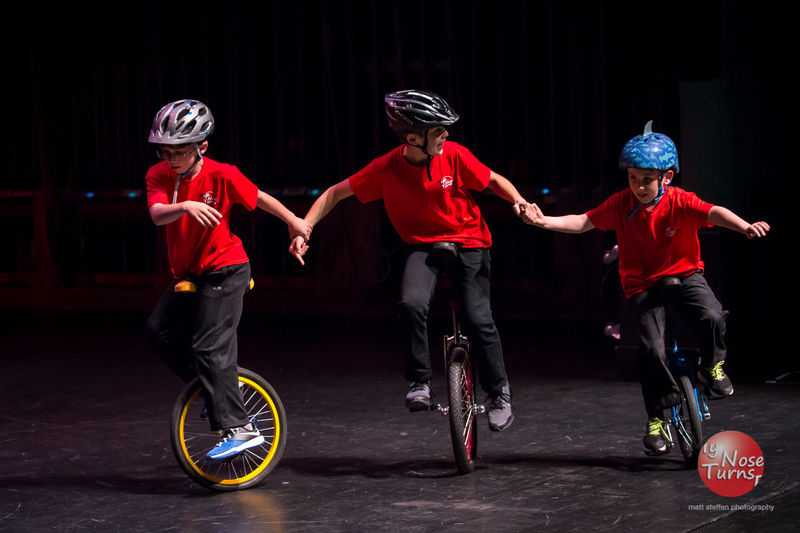 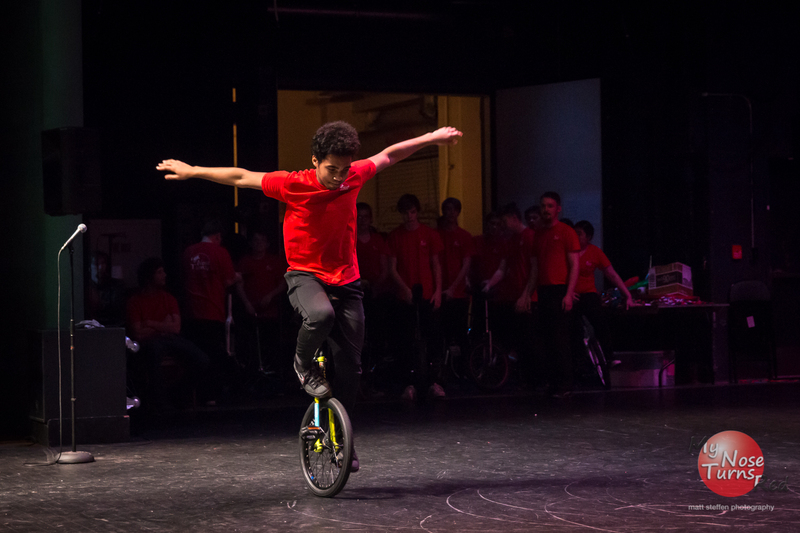 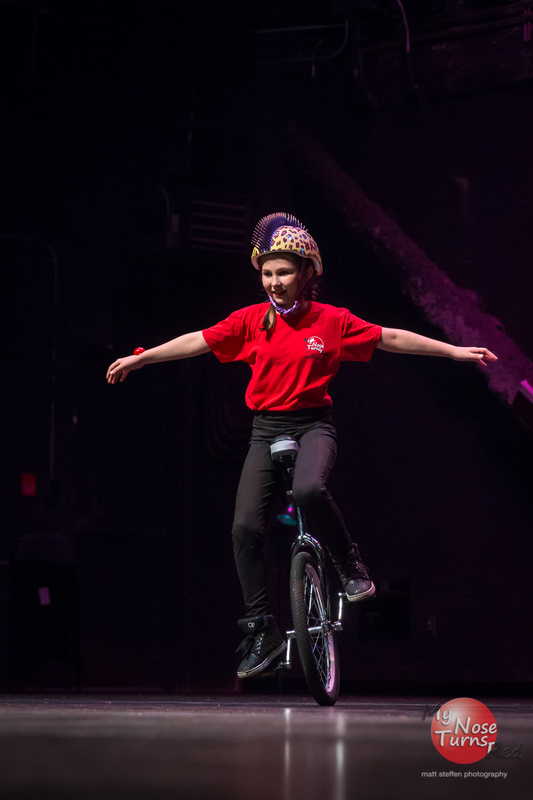 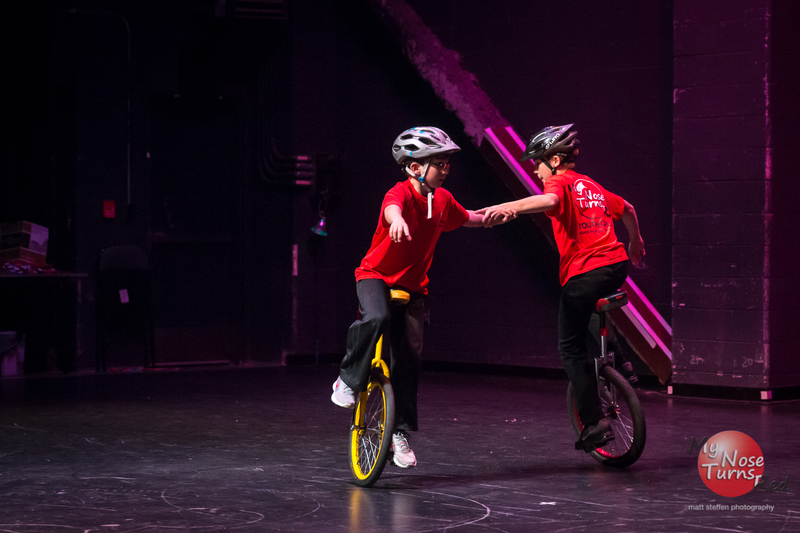 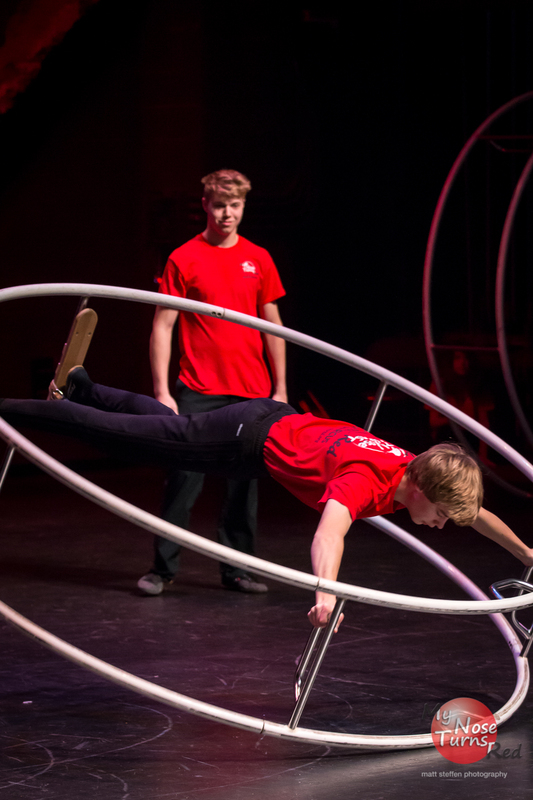 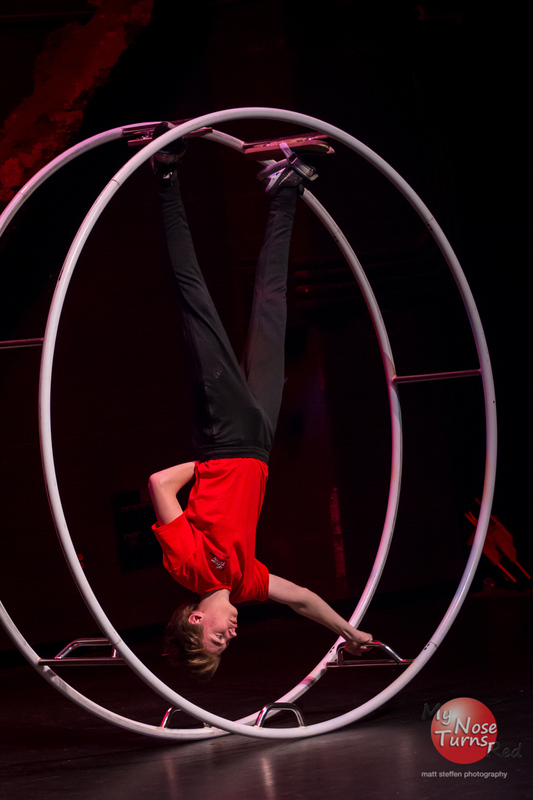 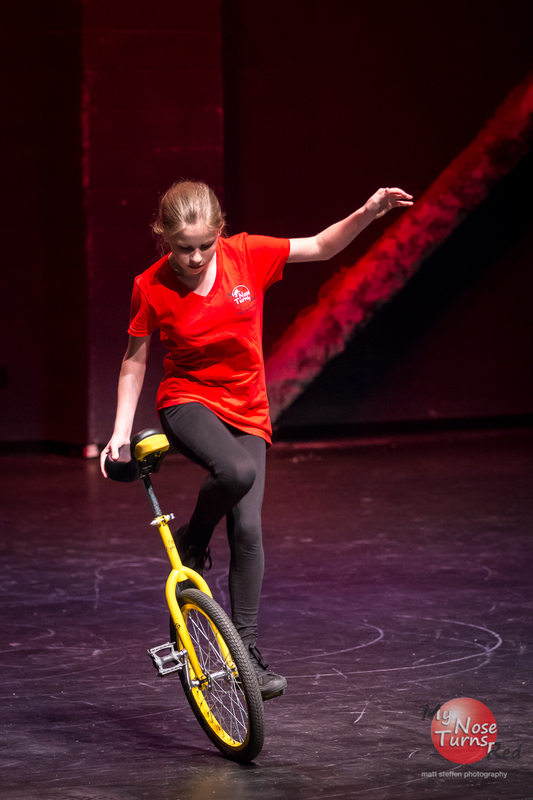 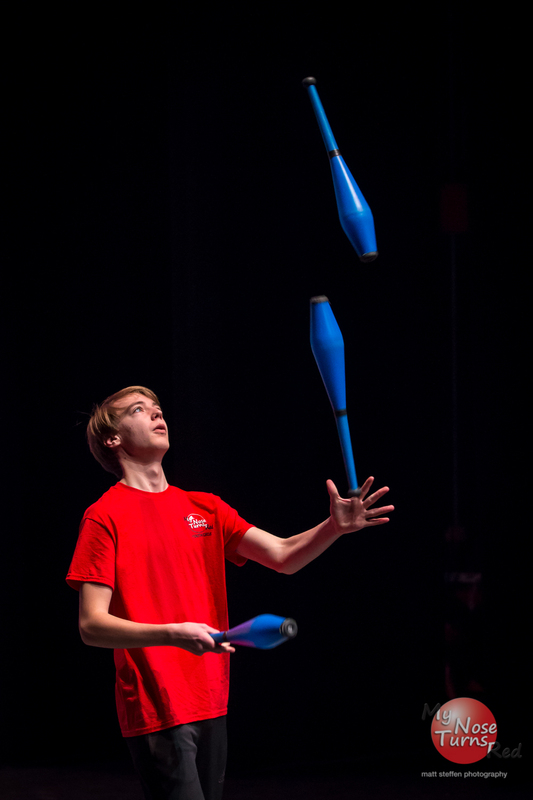 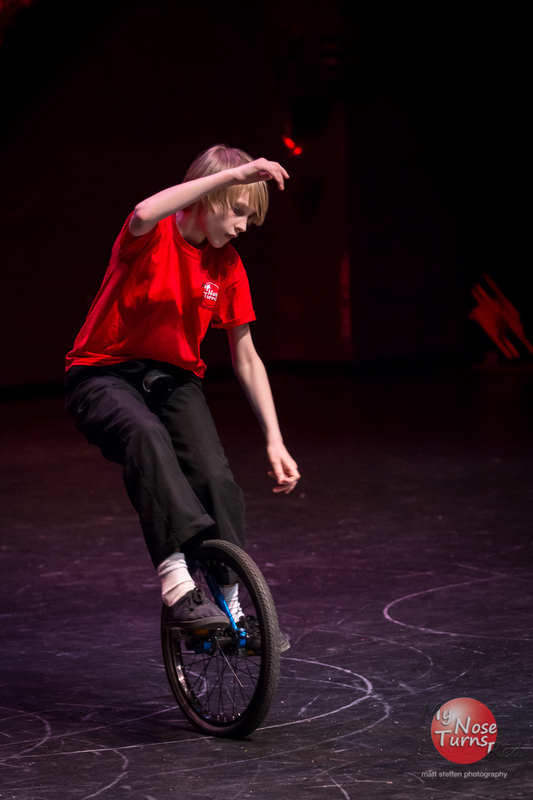 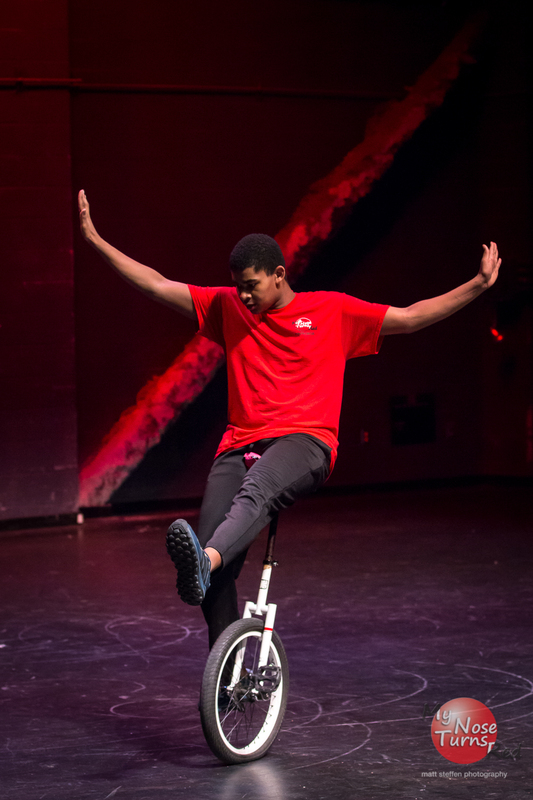 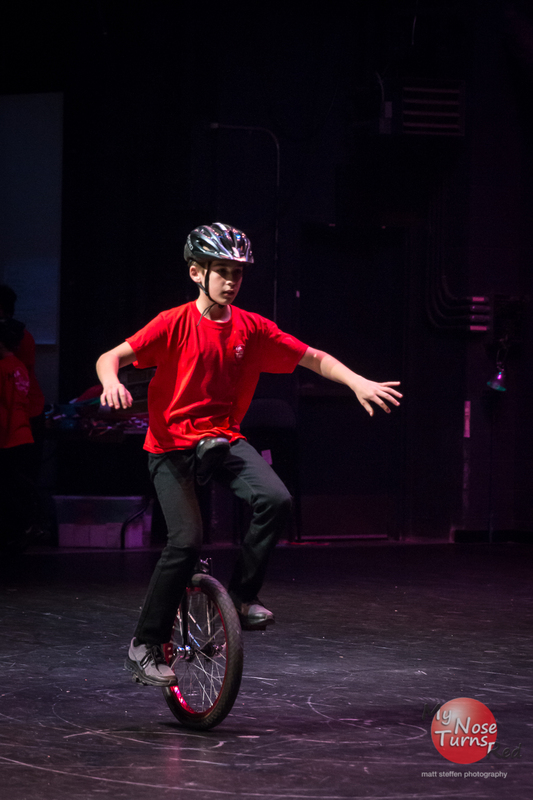 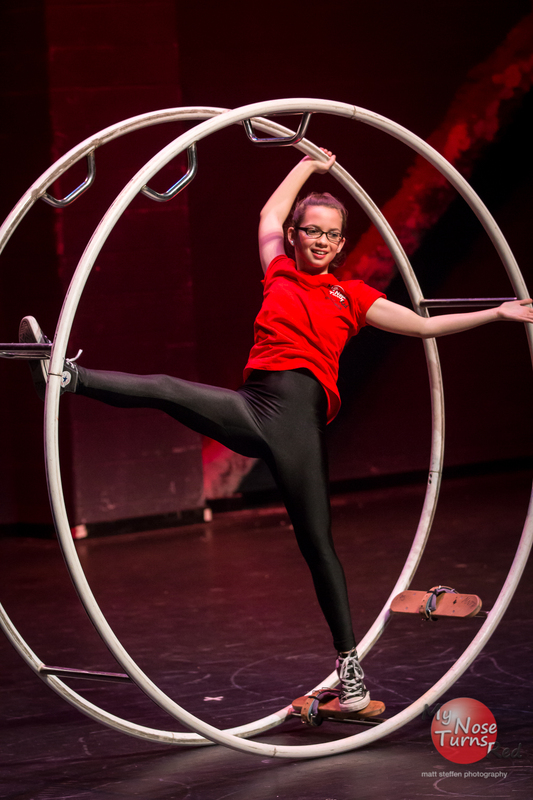 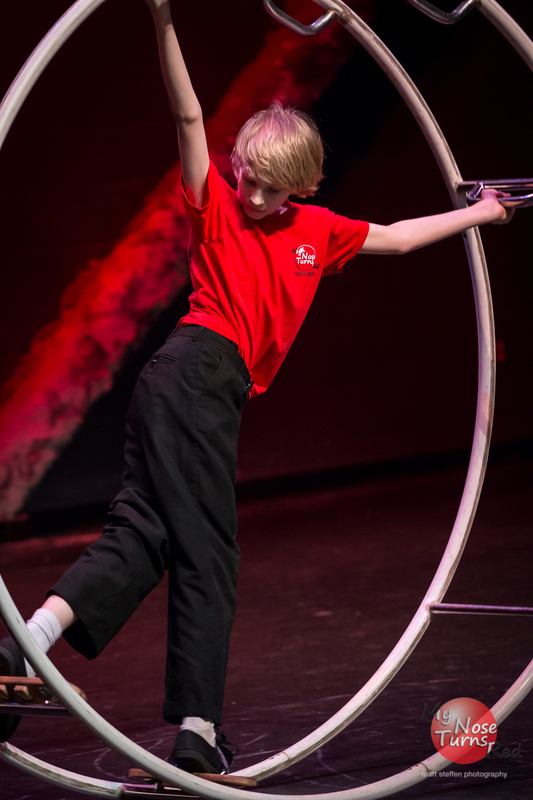 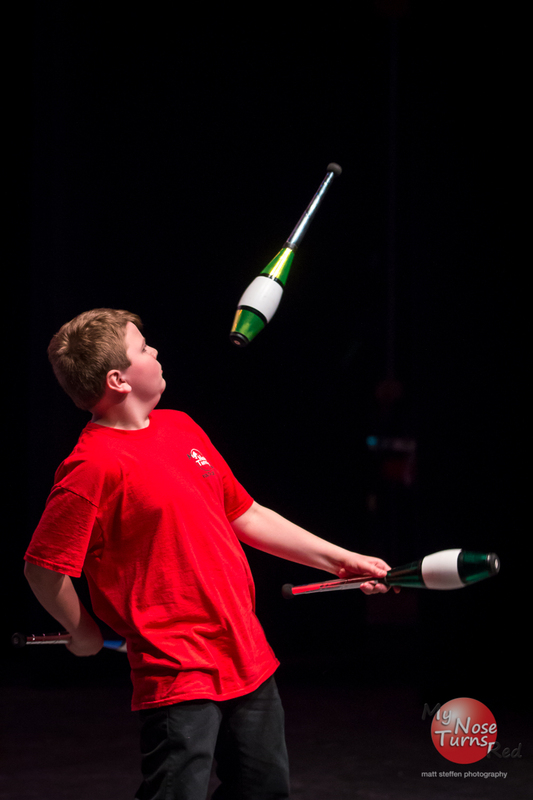 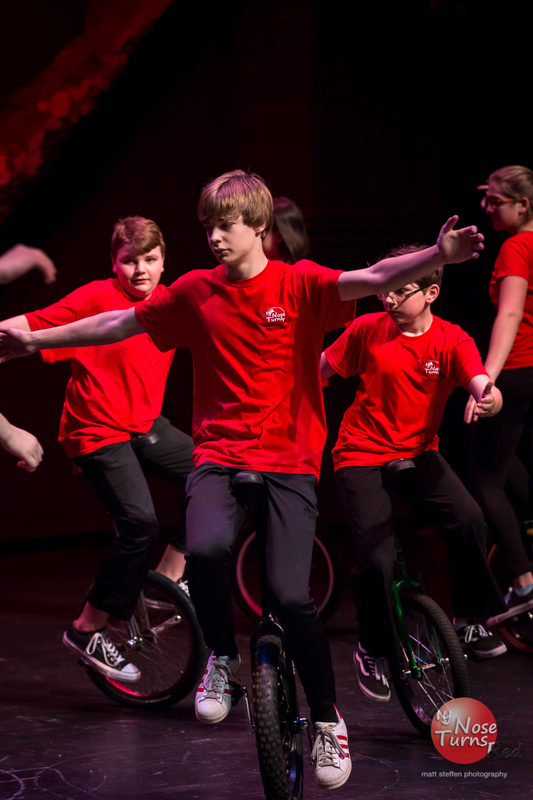 The youth circus performers and coaches will astound you with their circus skills on the unicycle, German Wheel, and aerial silks. 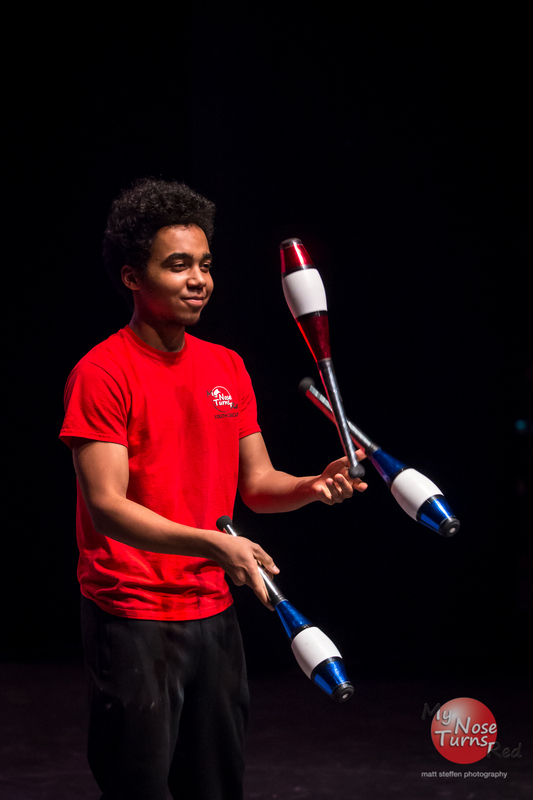 Other skills include juggling, hooping, stilt-walking, wire-walking and more. 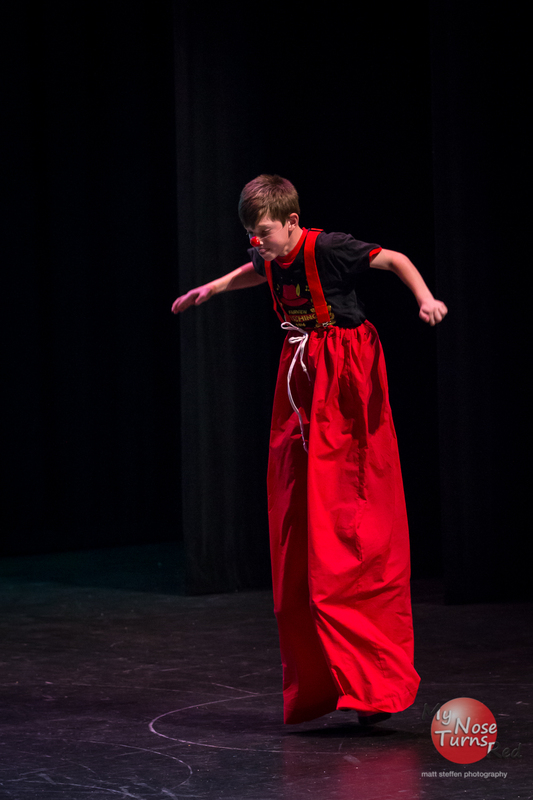 And, of course, the clowns will delight all ages. 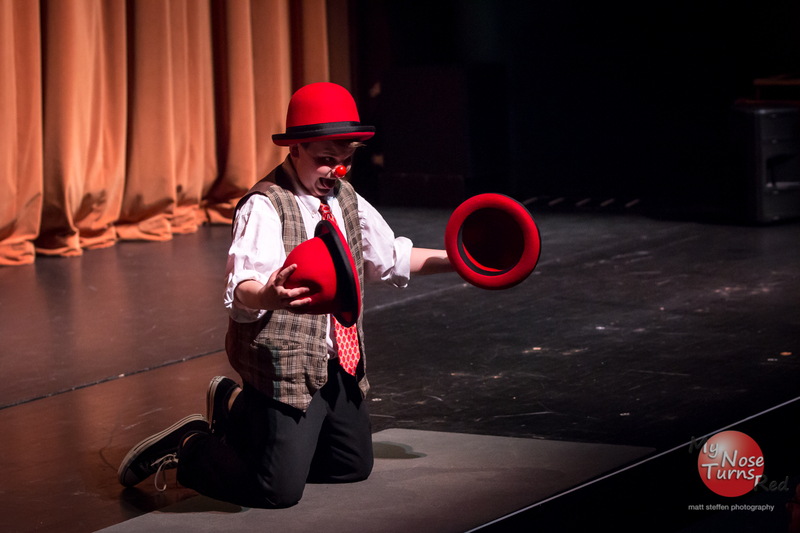 Share your circus memories! 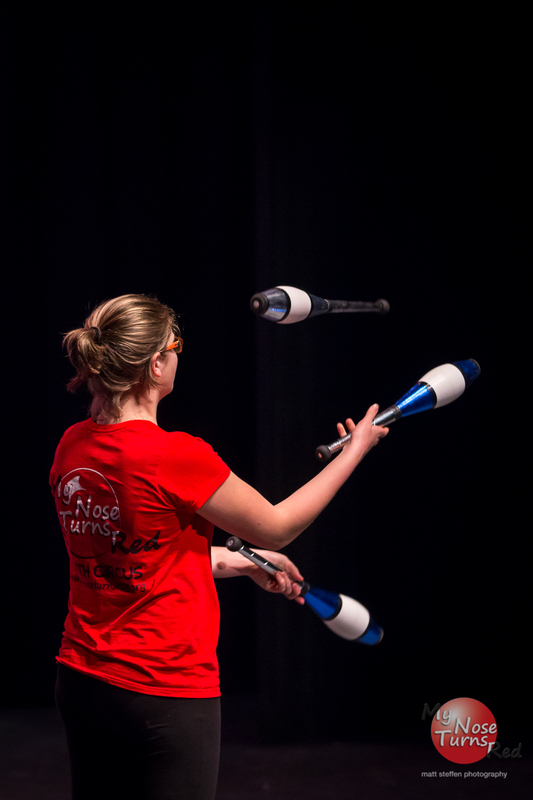 My Nose Turns Red’s photographs are available to purchase through SmugMug. 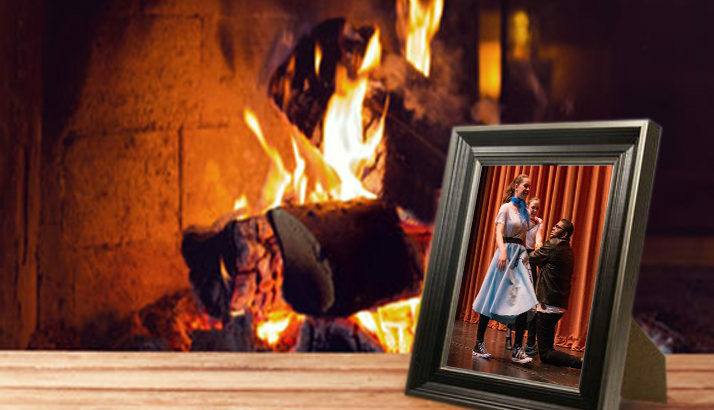 You can order paper prints, wall art, desk art, keepsakes, and even phone cases! 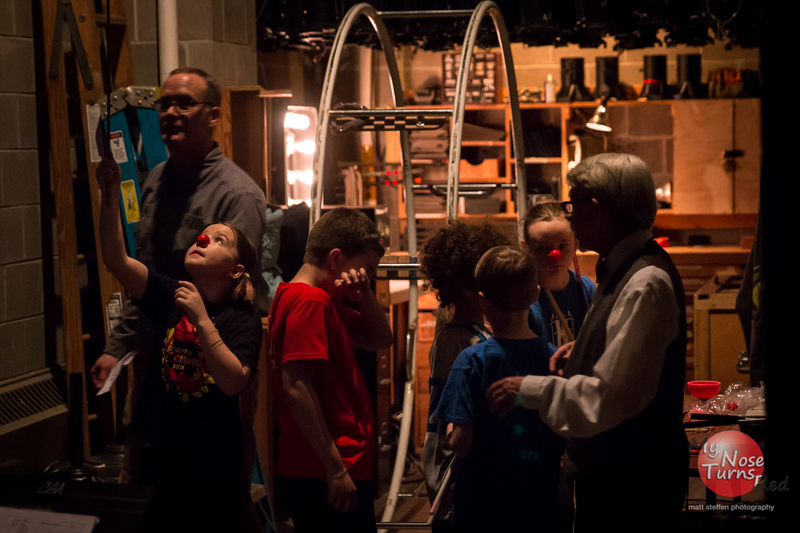 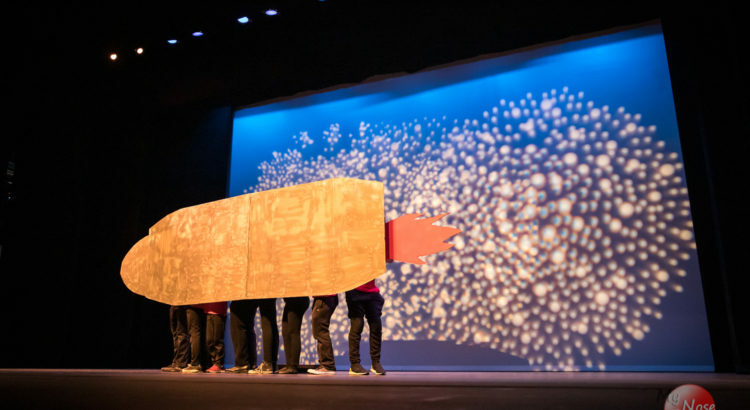 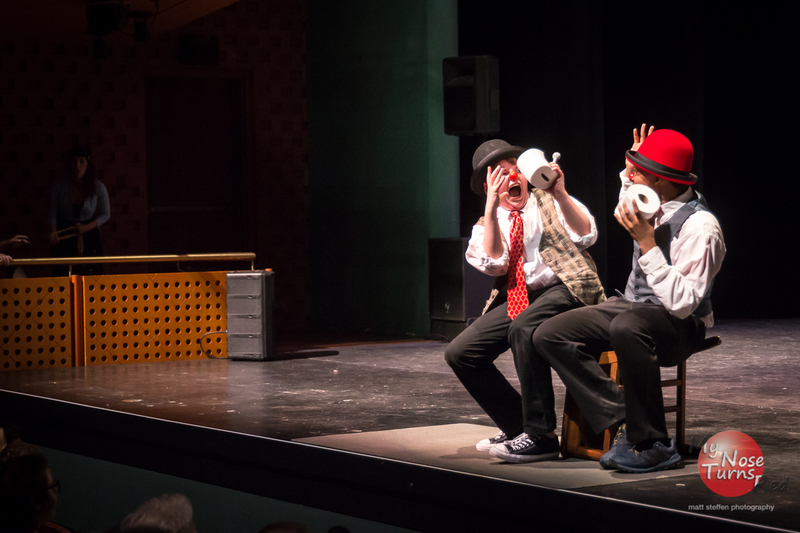 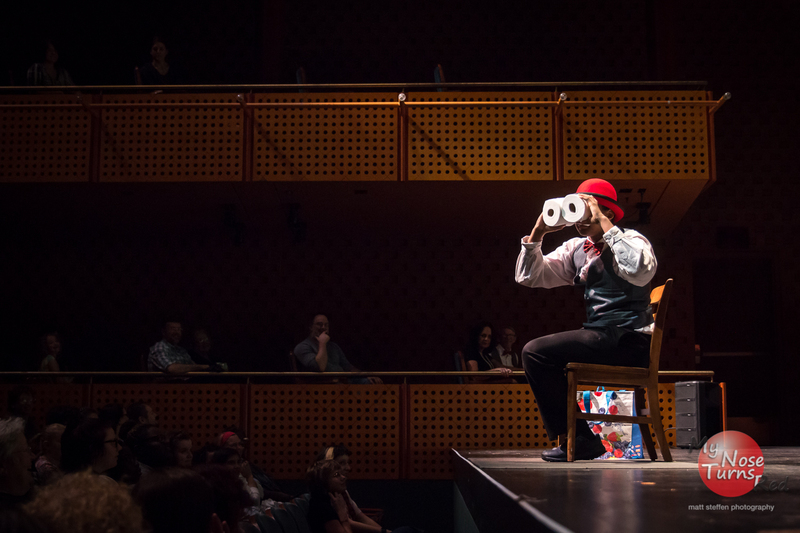 My Nose Turns Red is offering in-school performances and workshops throughout the 2018 – 2019 school season. 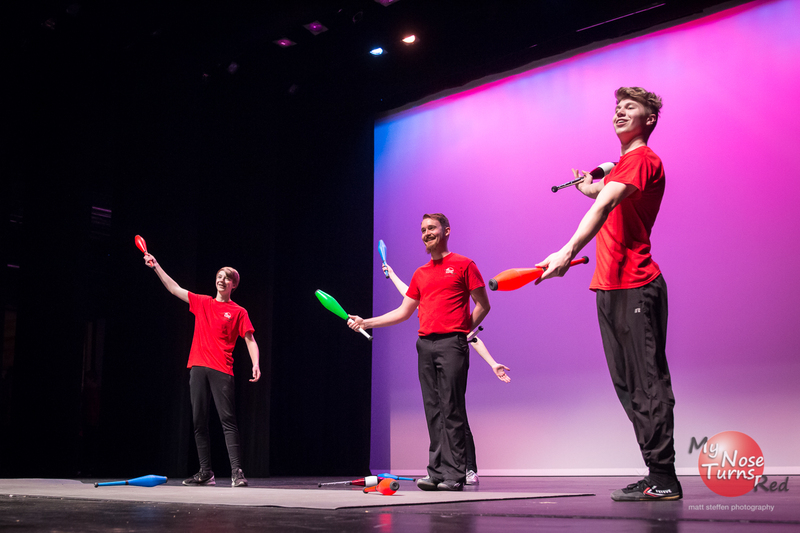 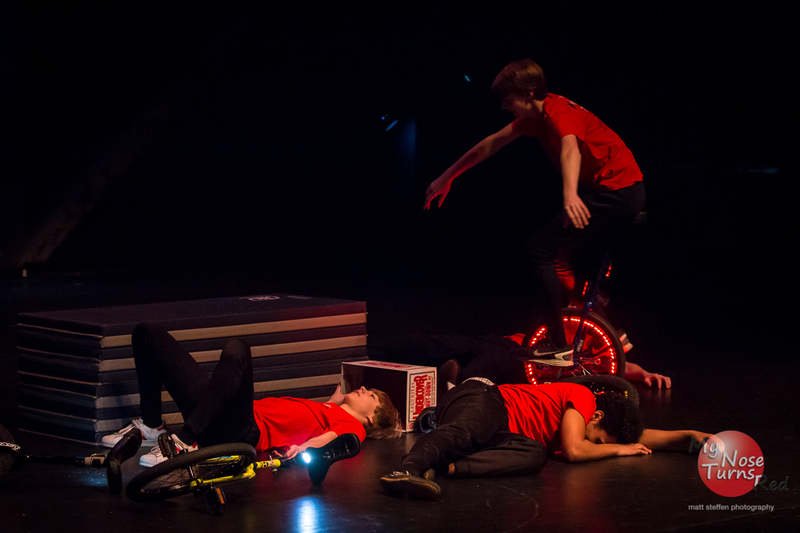 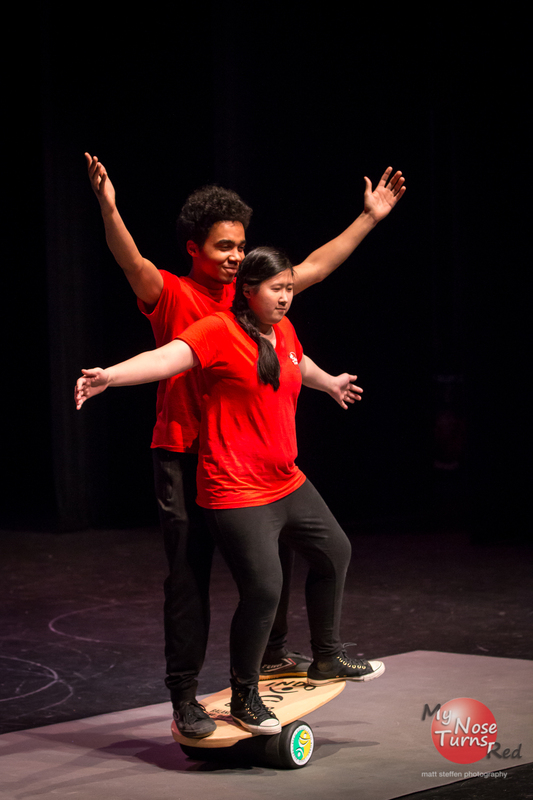 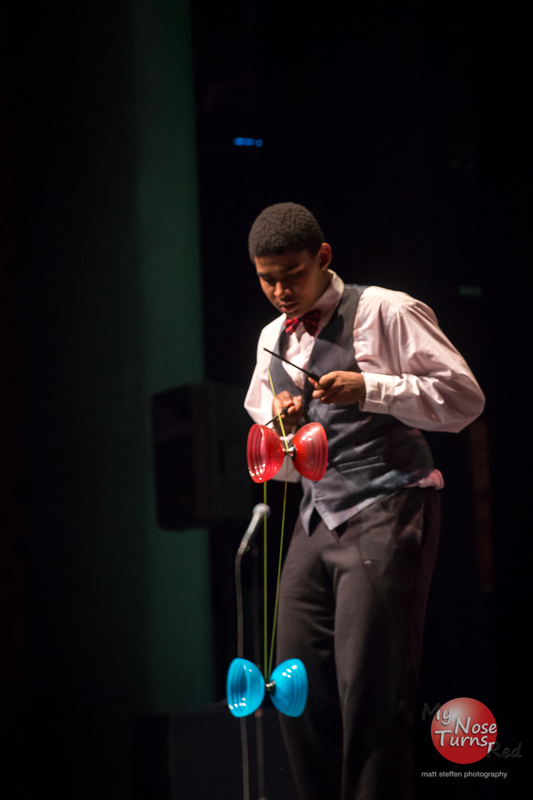 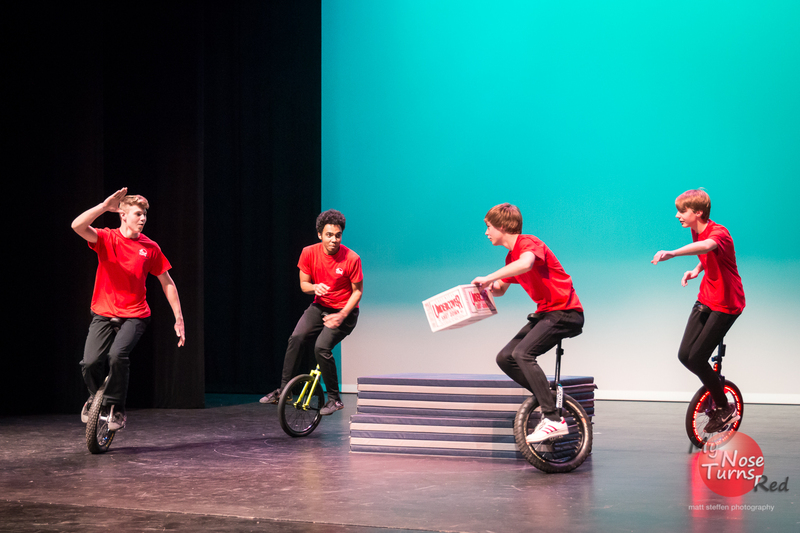 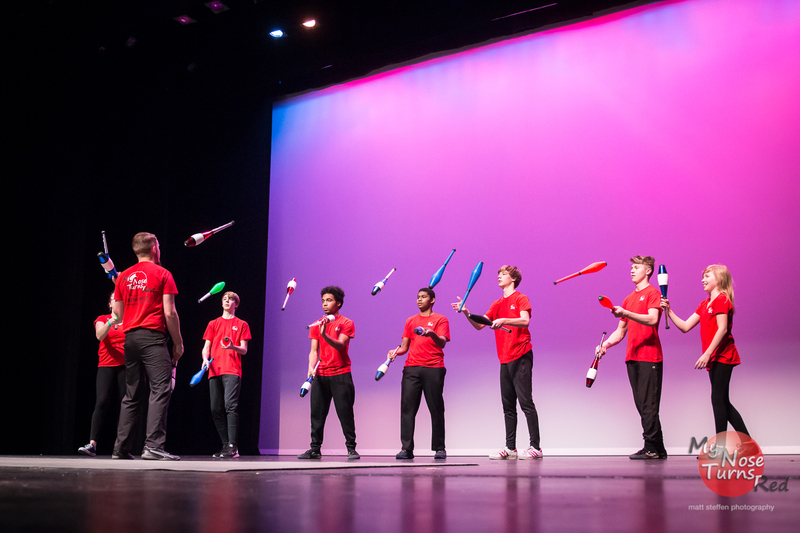 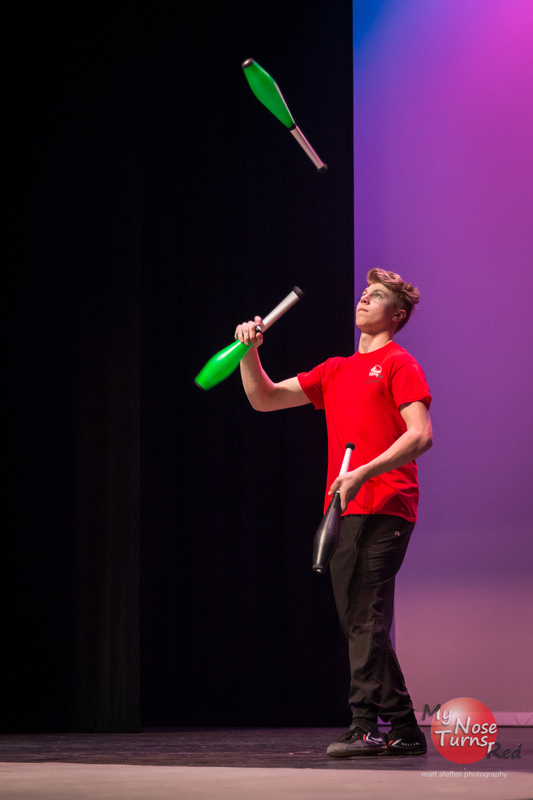 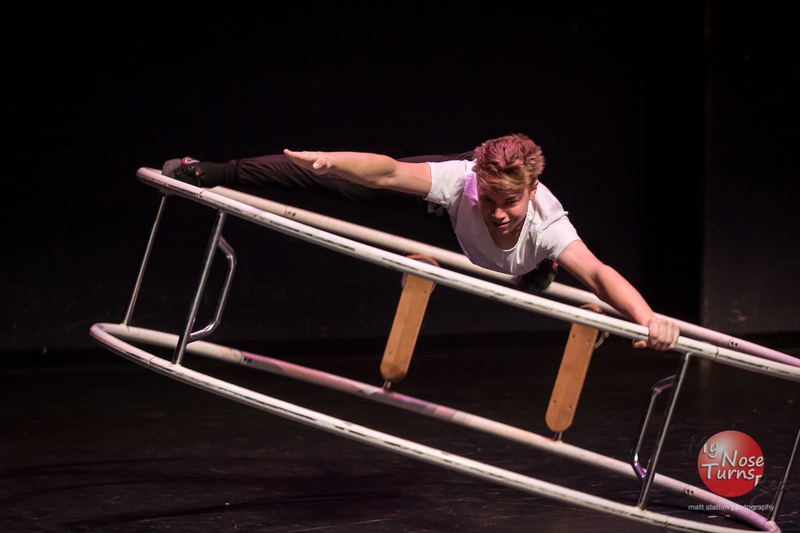 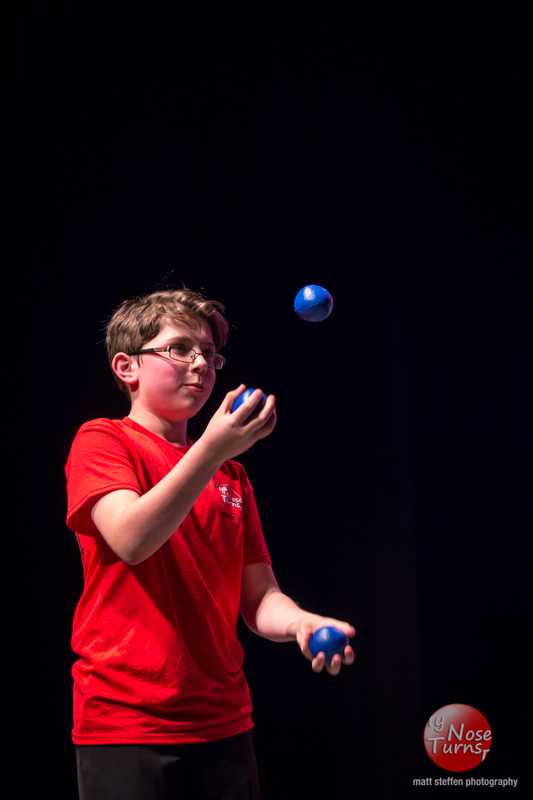 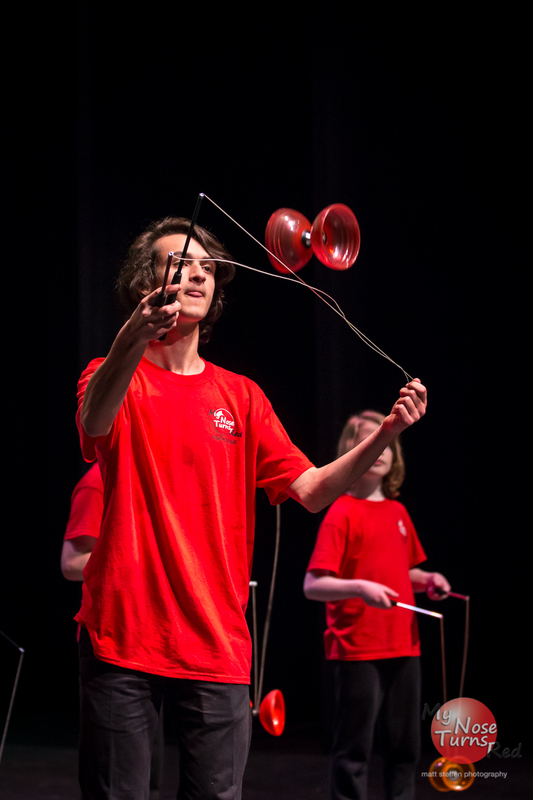 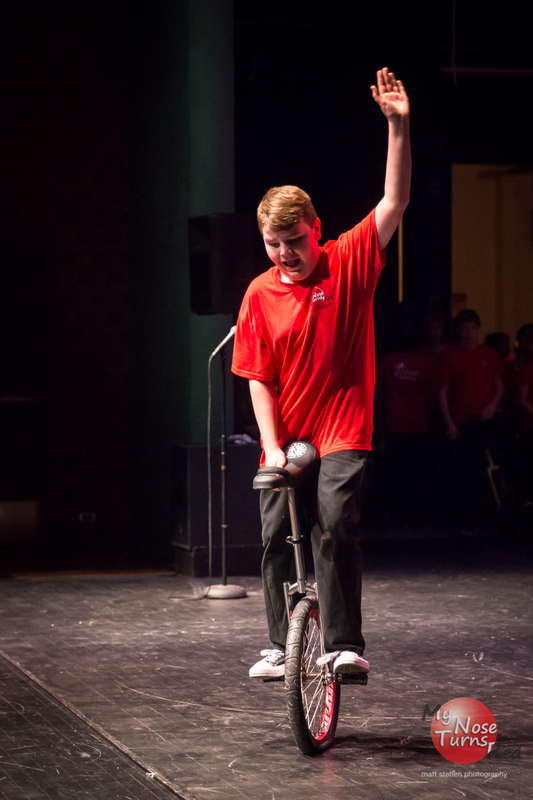 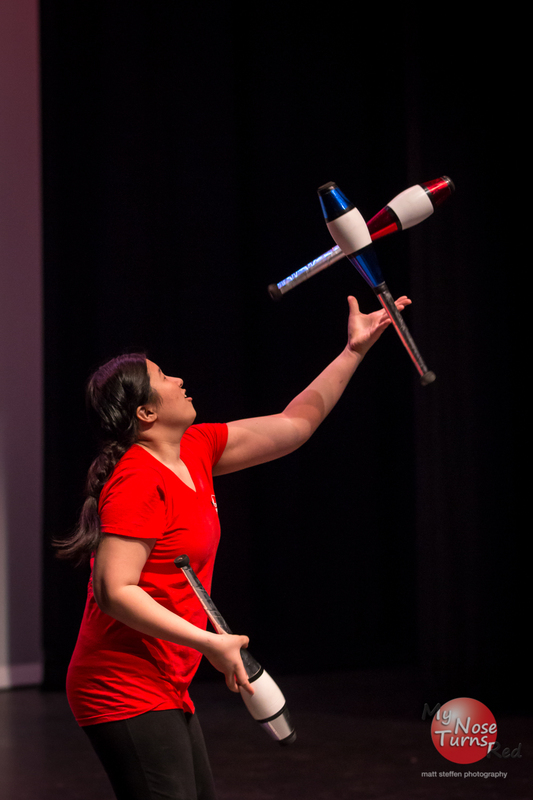 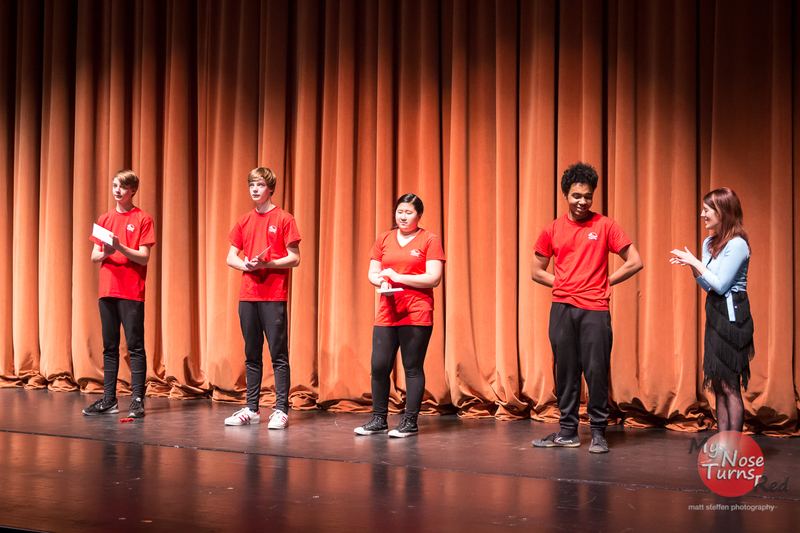 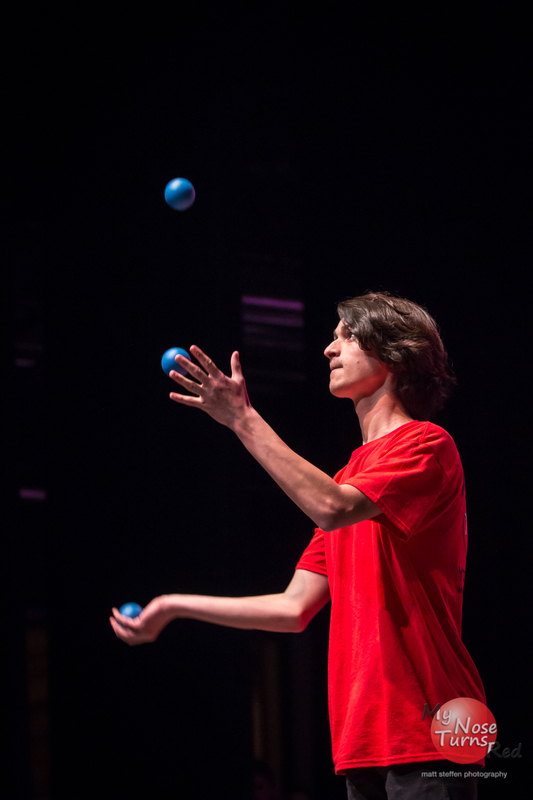 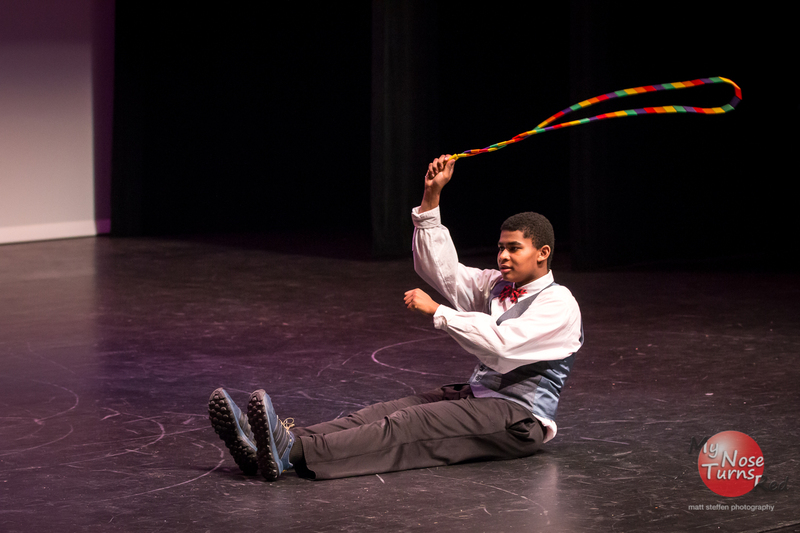 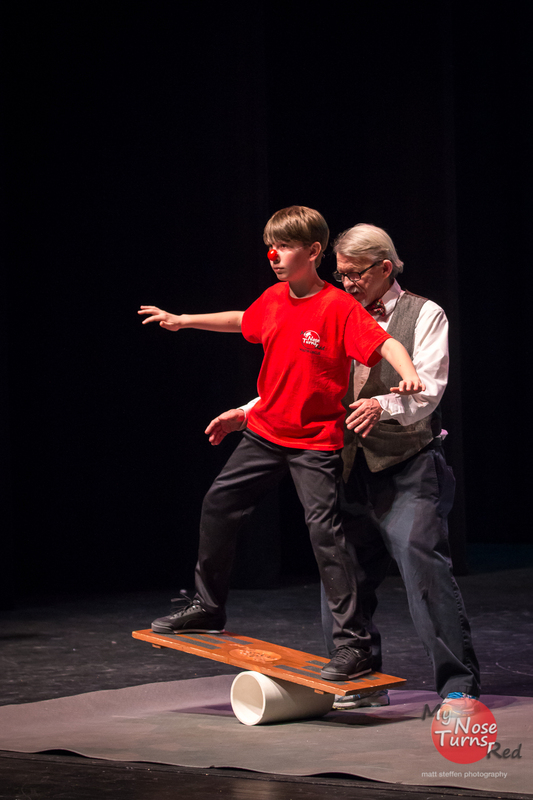 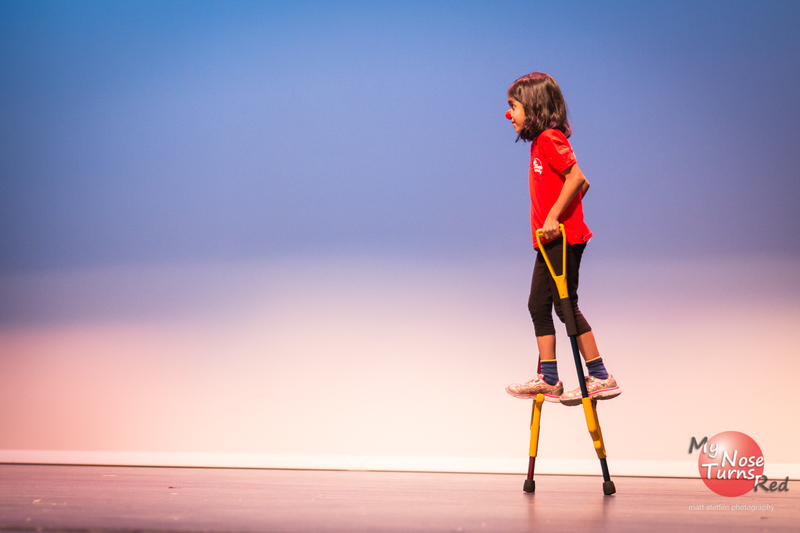 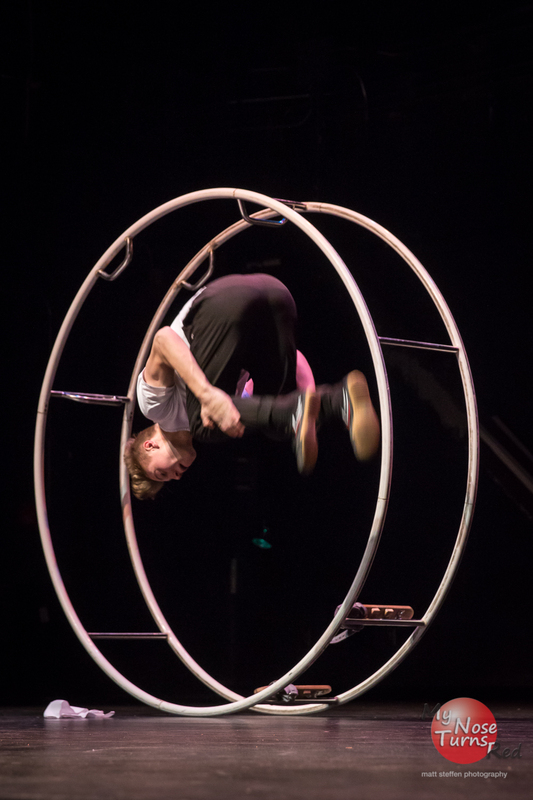 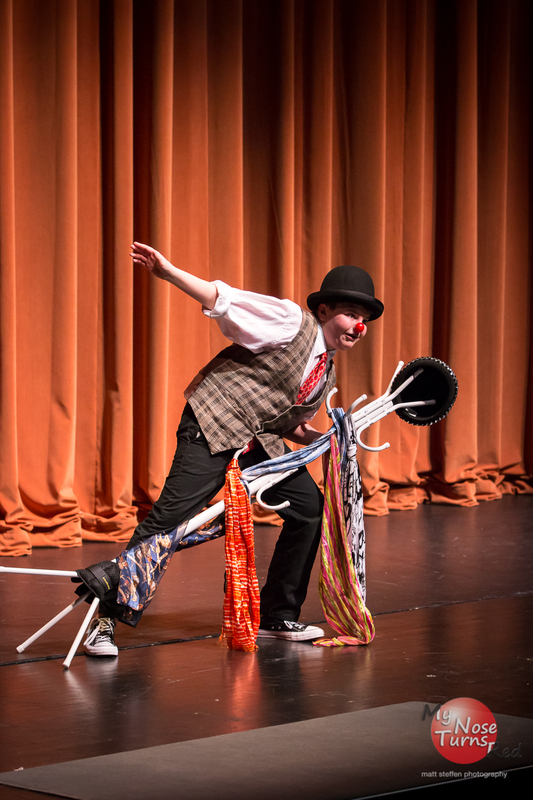 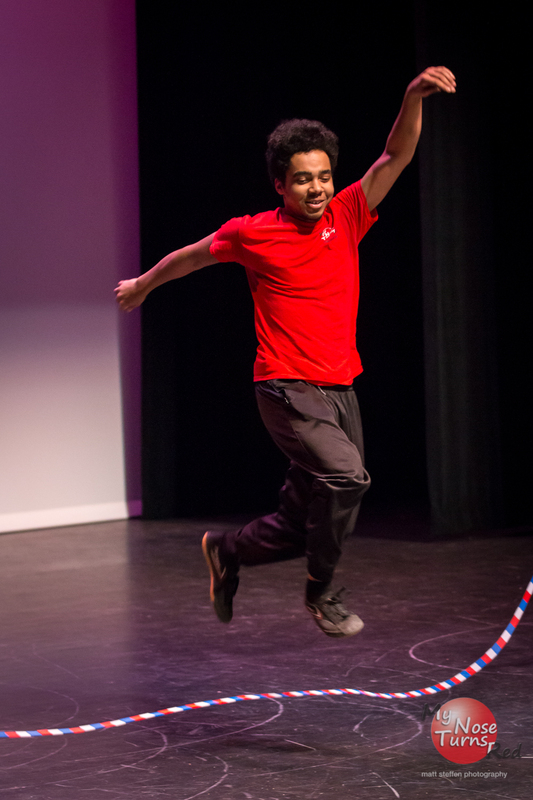 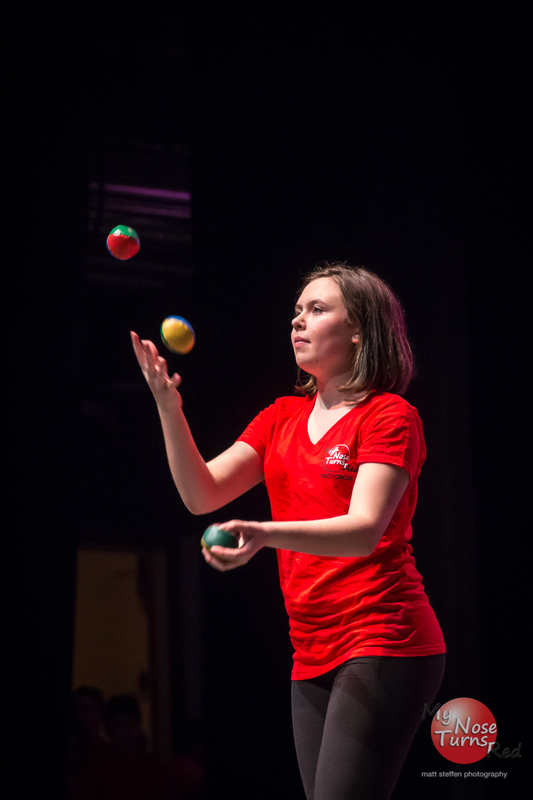 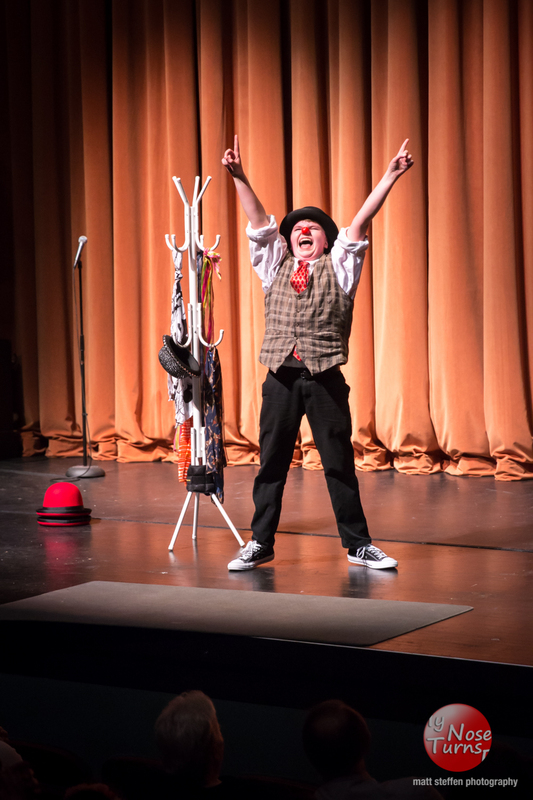 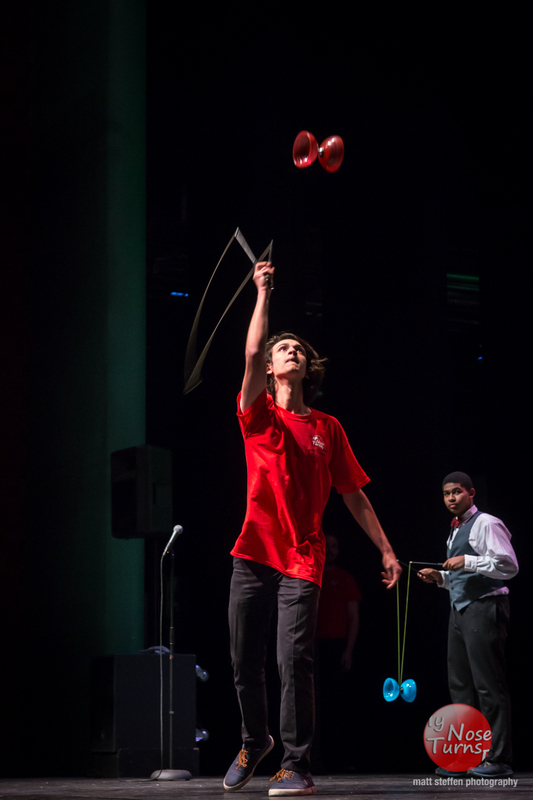 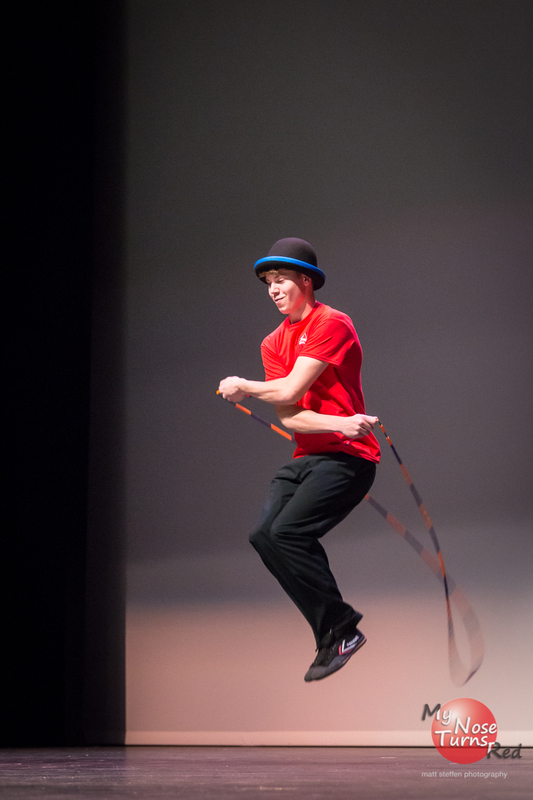 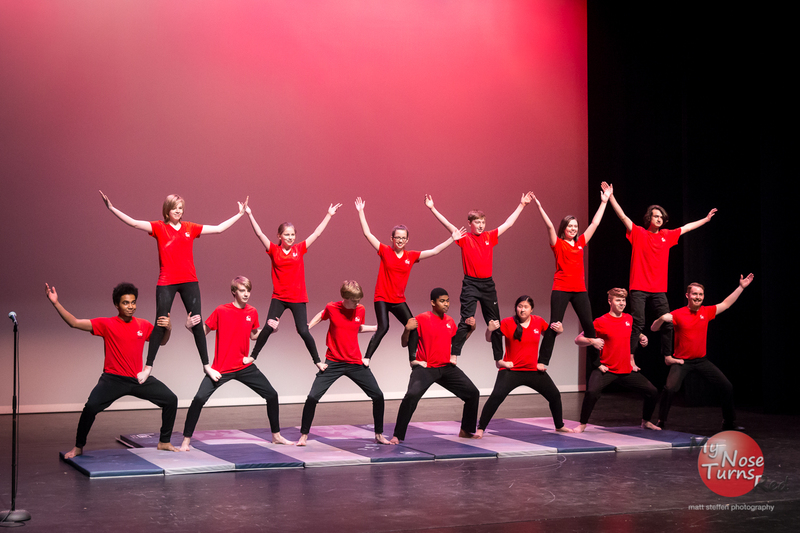 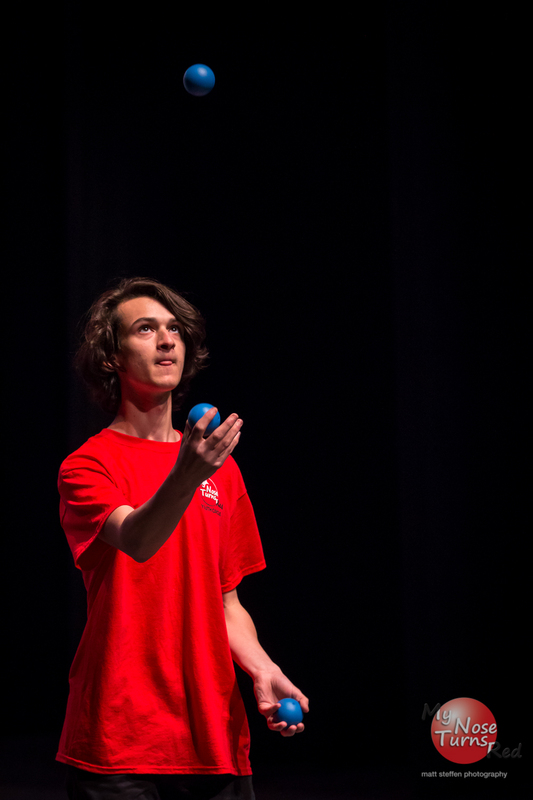 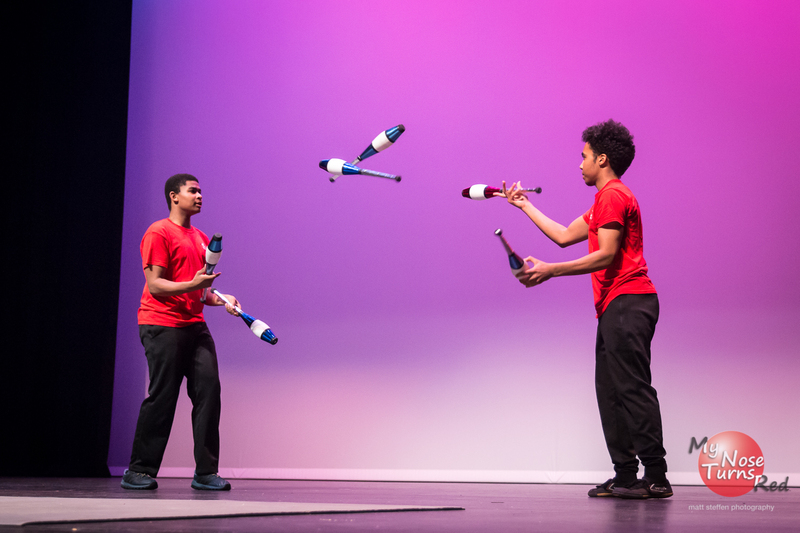 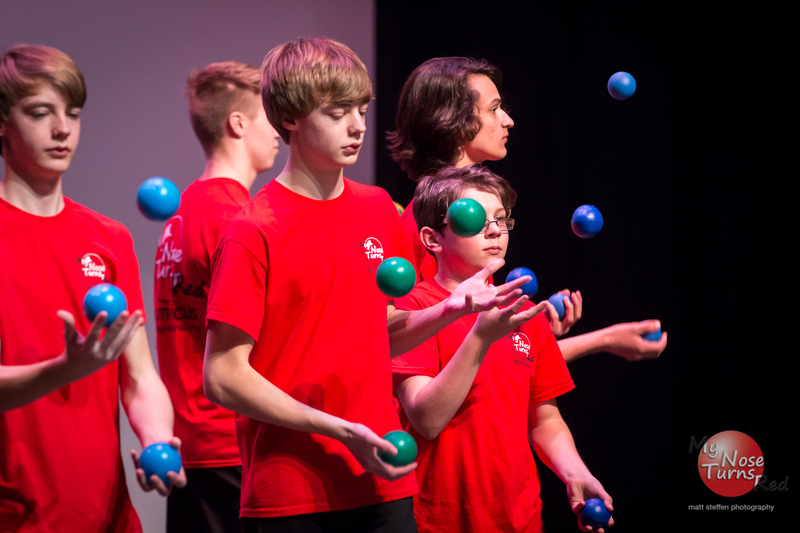 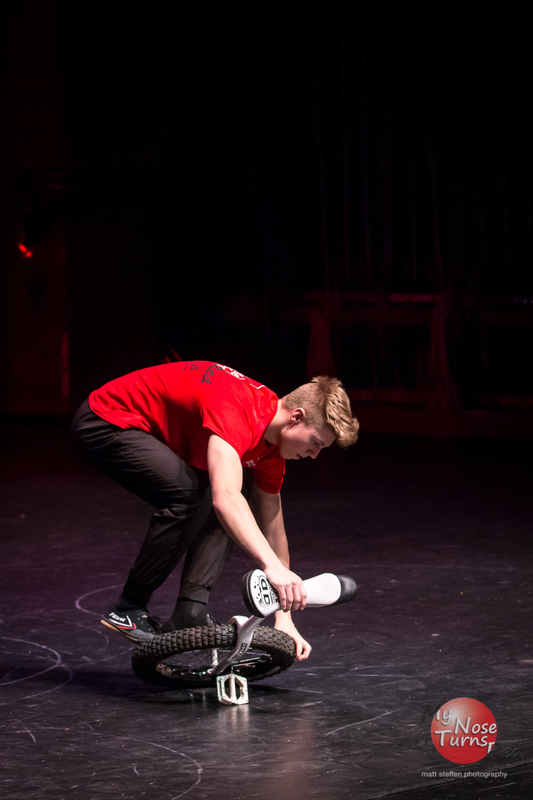 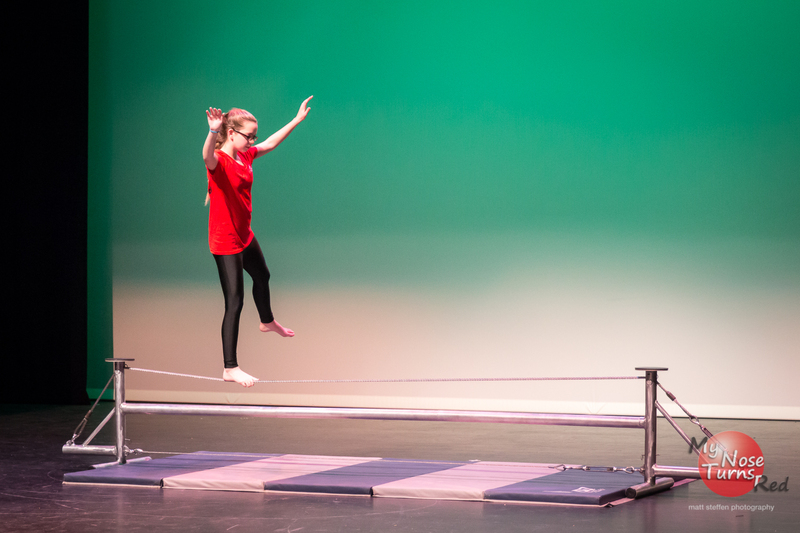 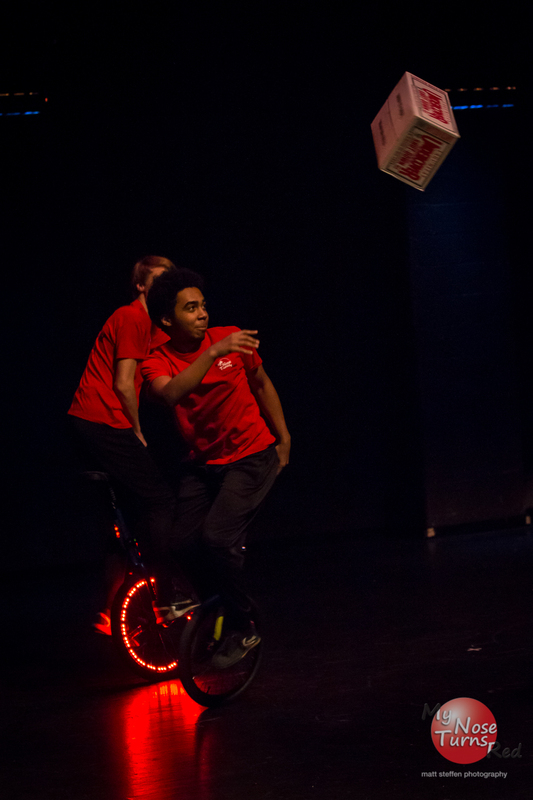 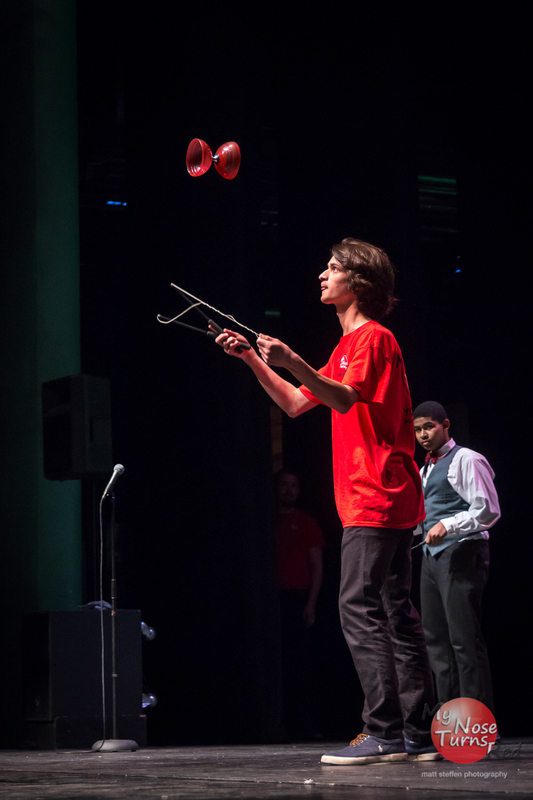 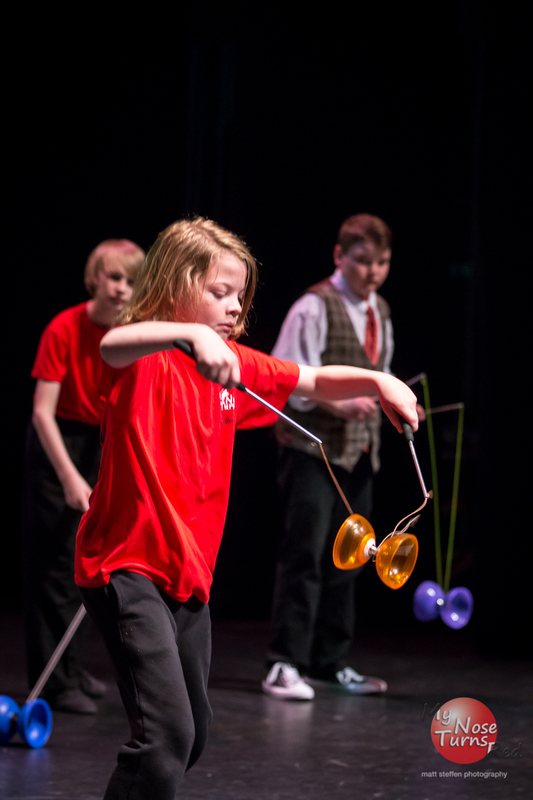 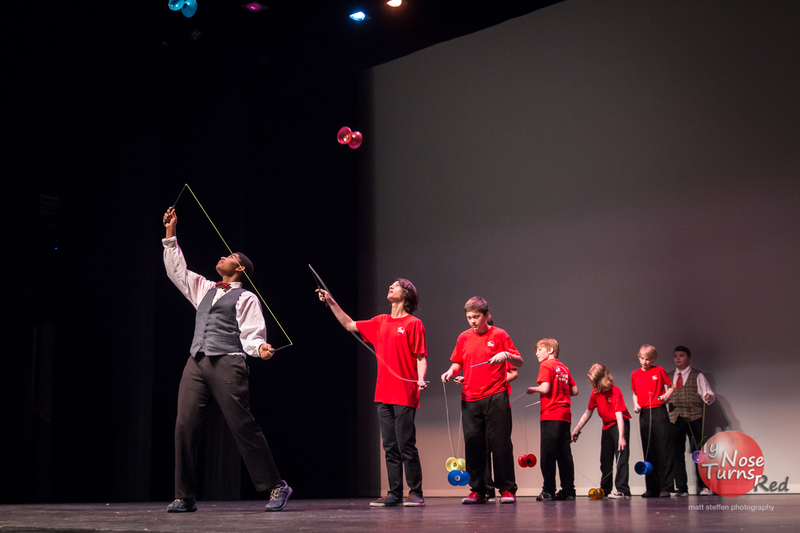 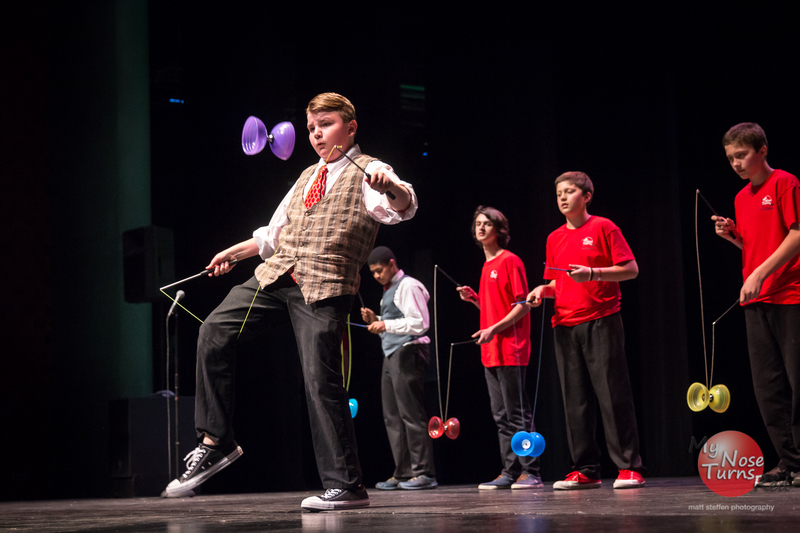 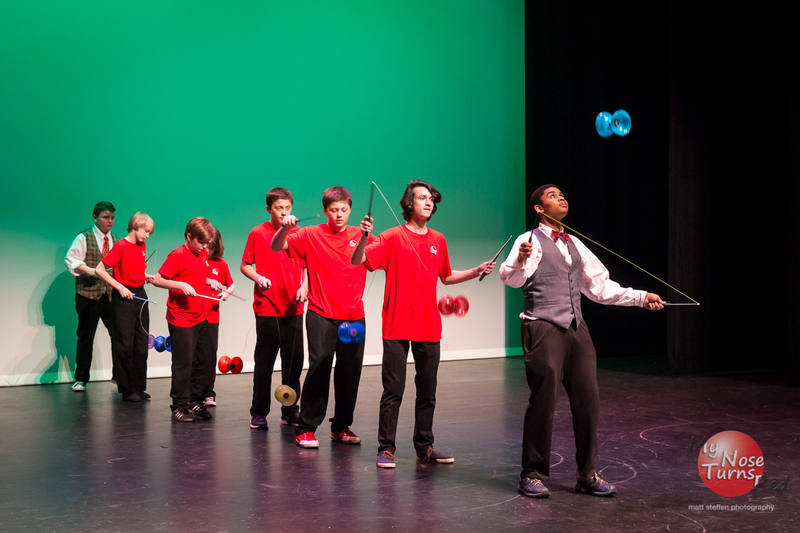 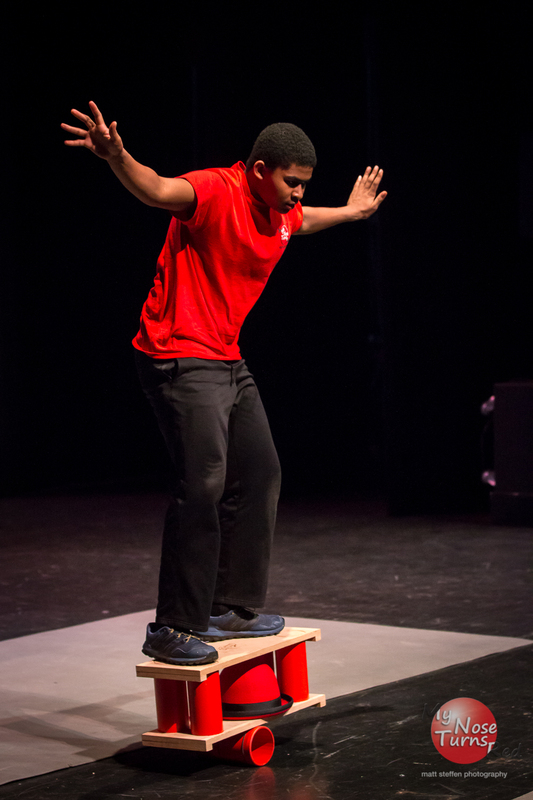 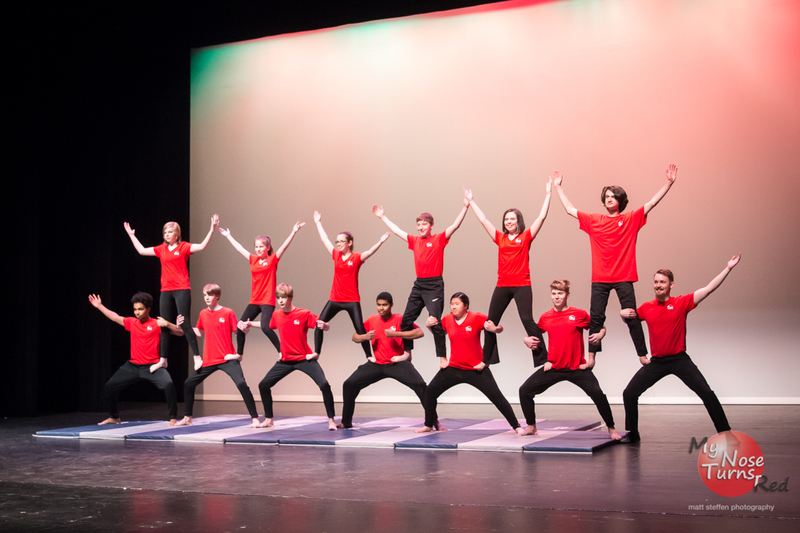 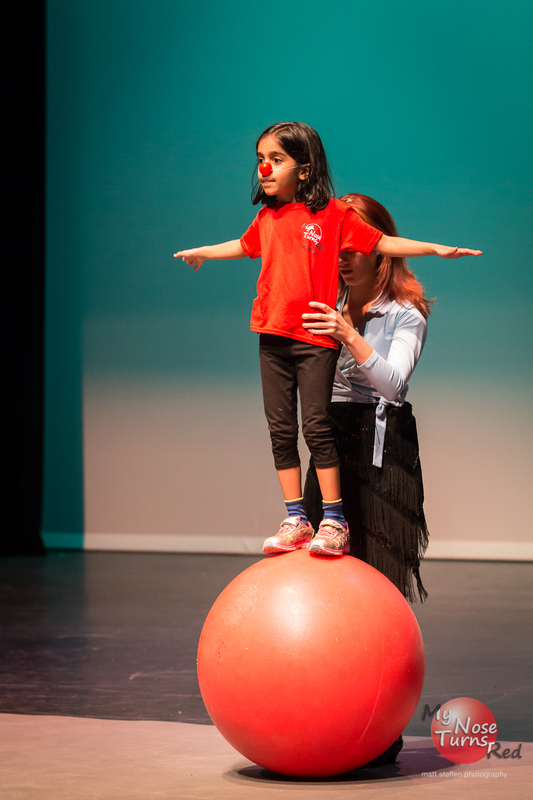 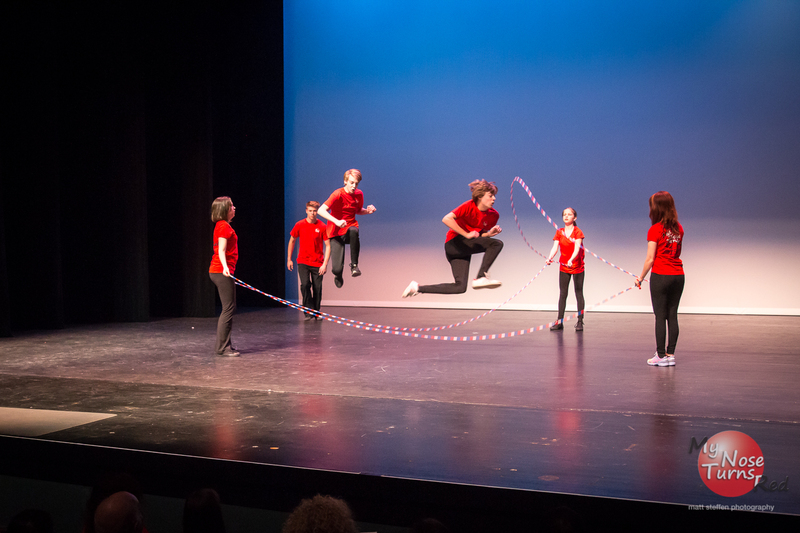 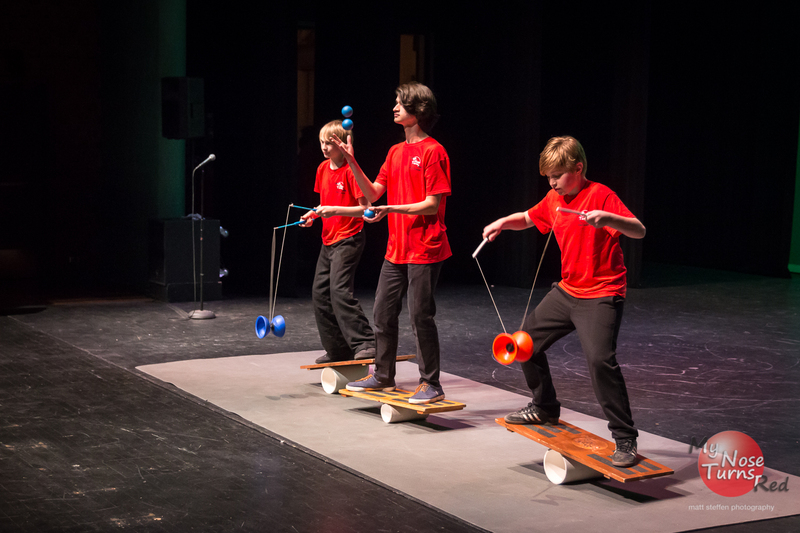 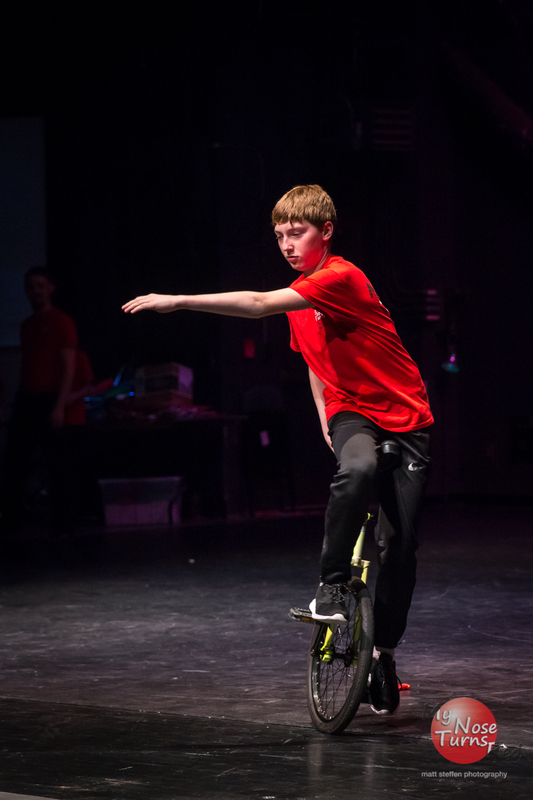 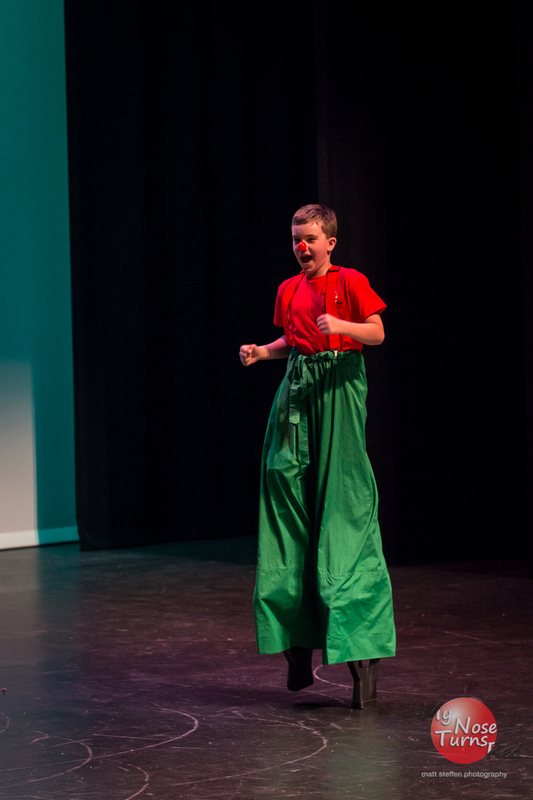 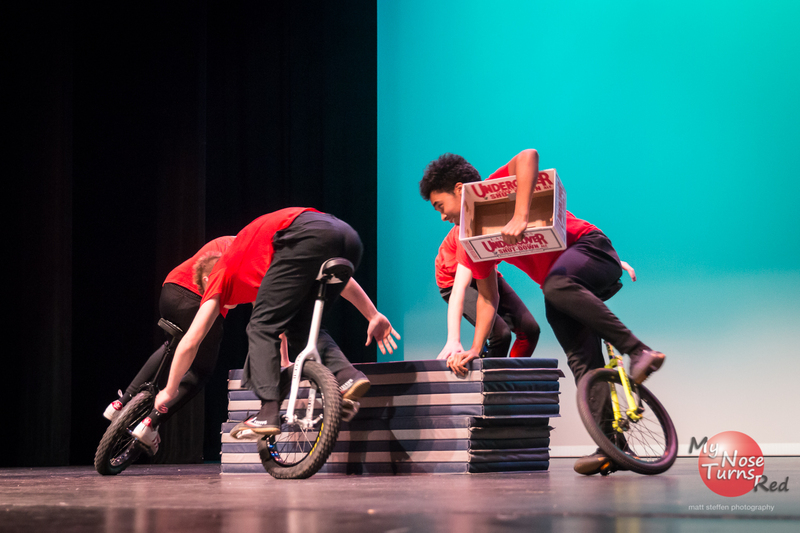 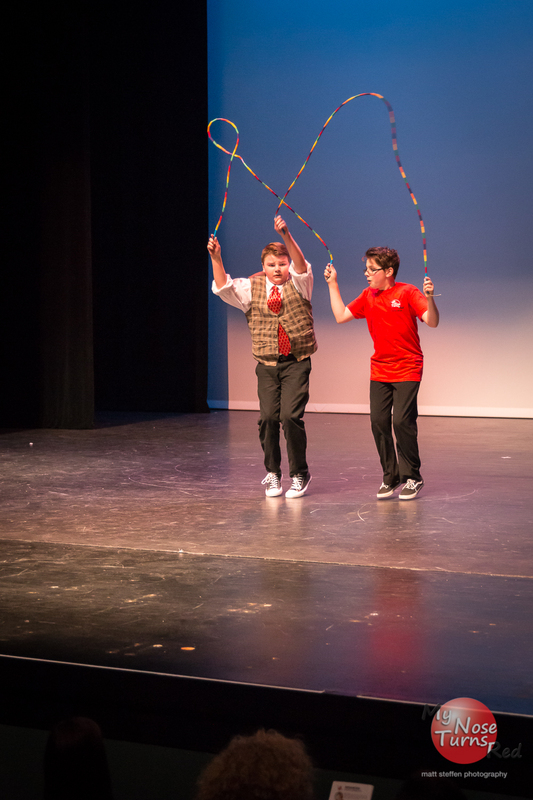 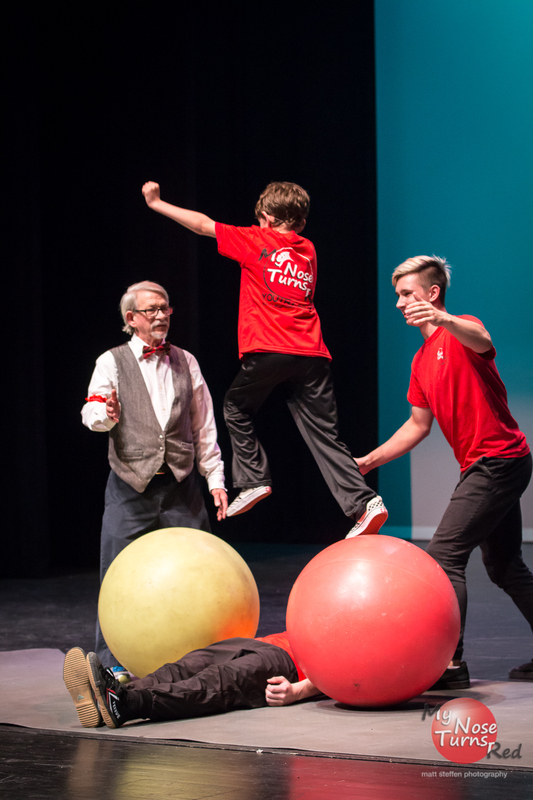 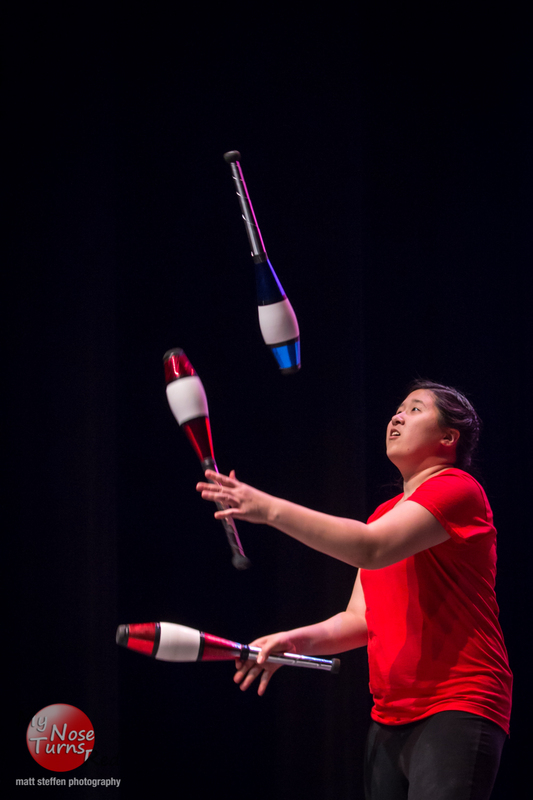 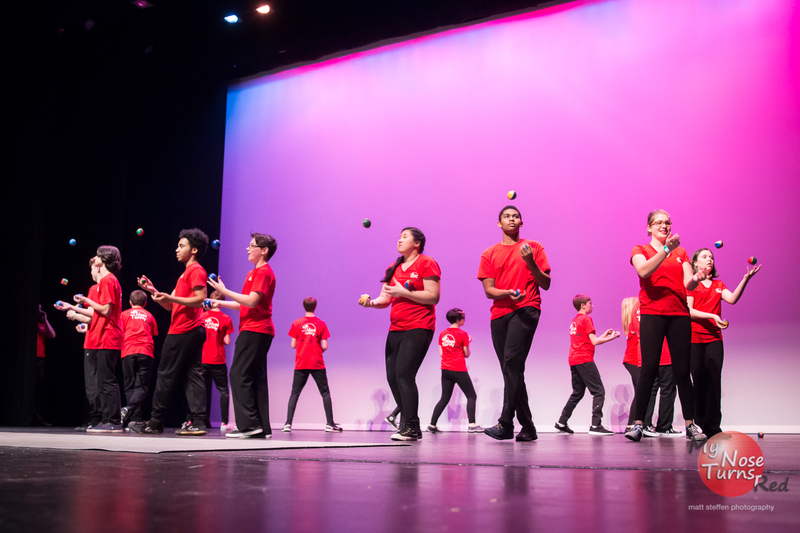 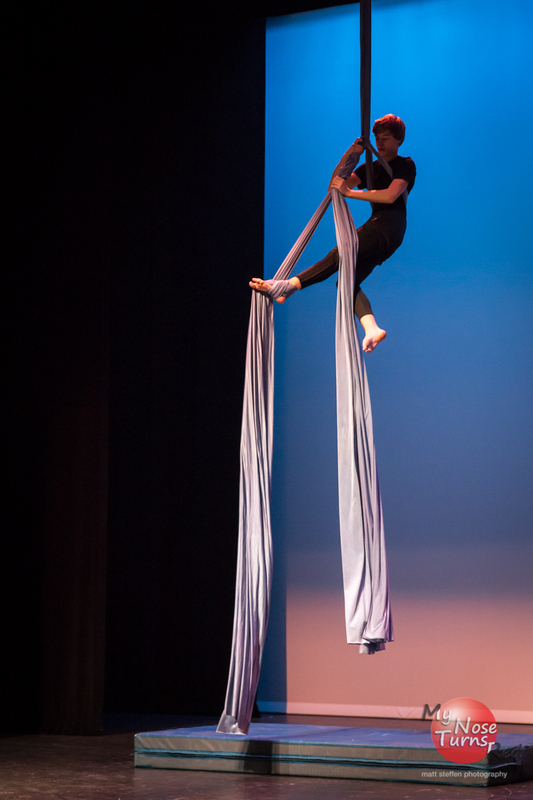 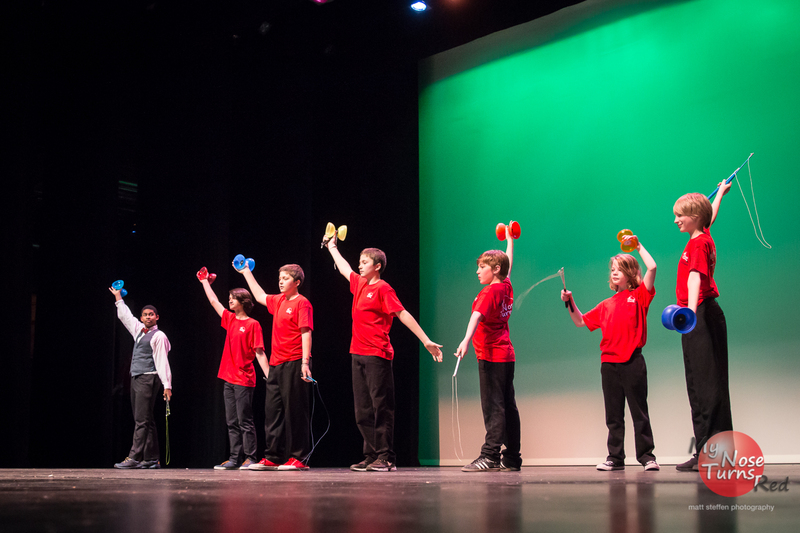 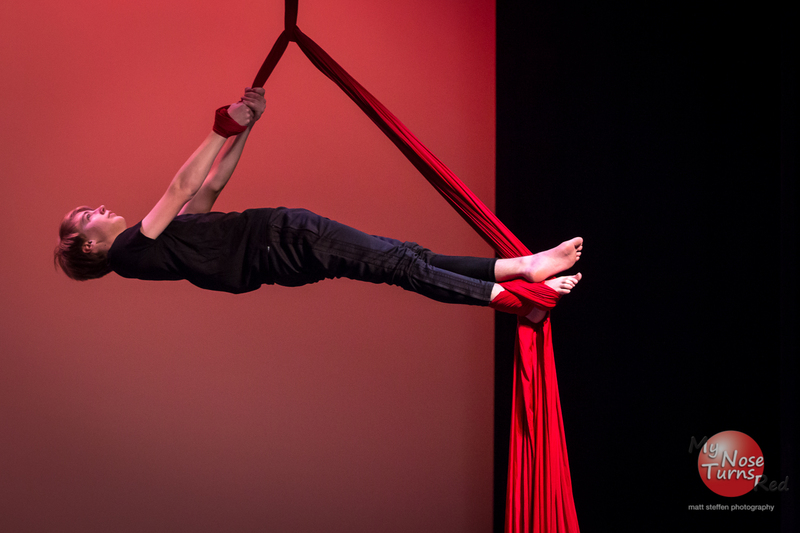 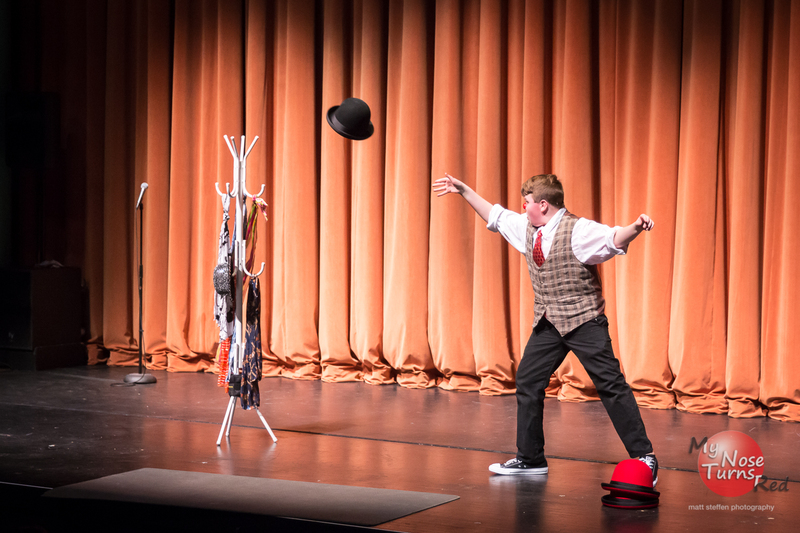 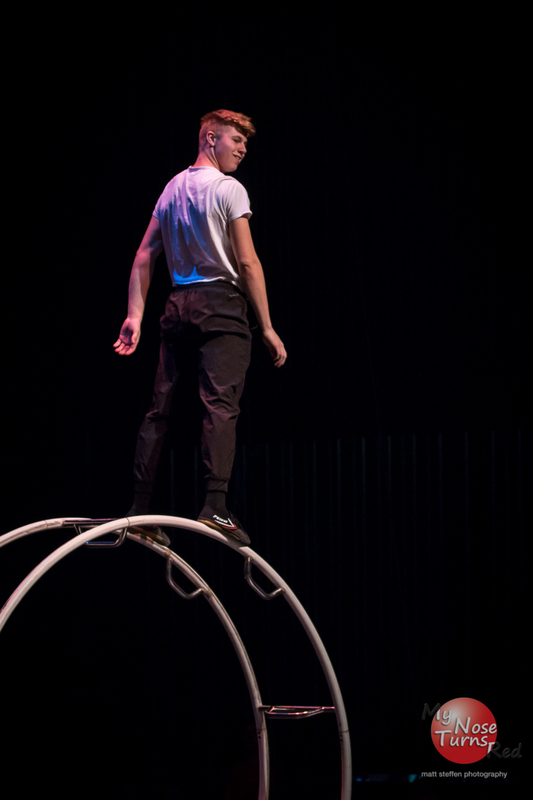 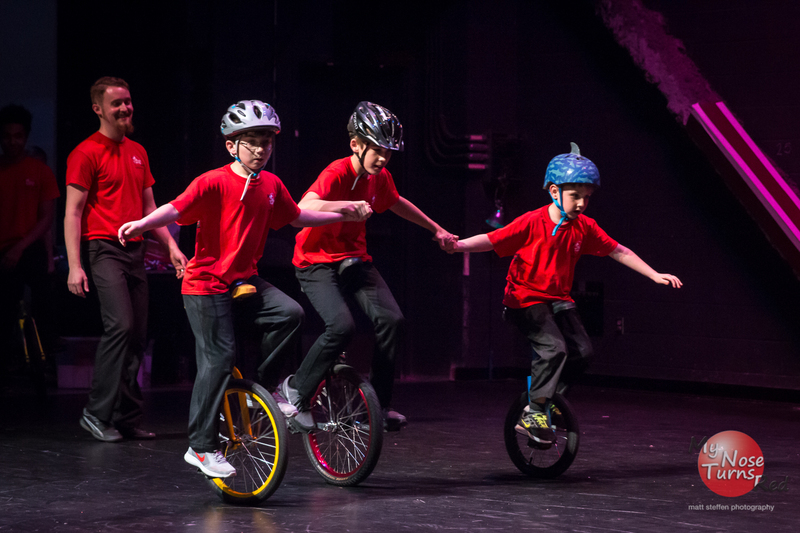 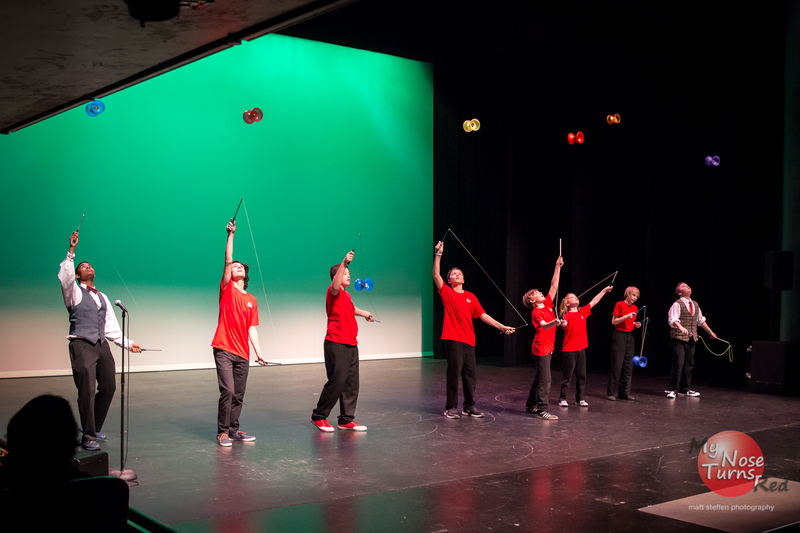 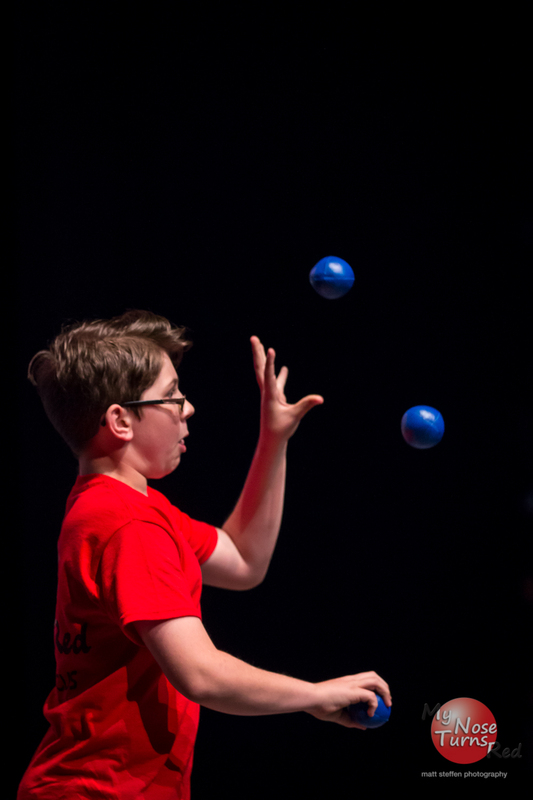 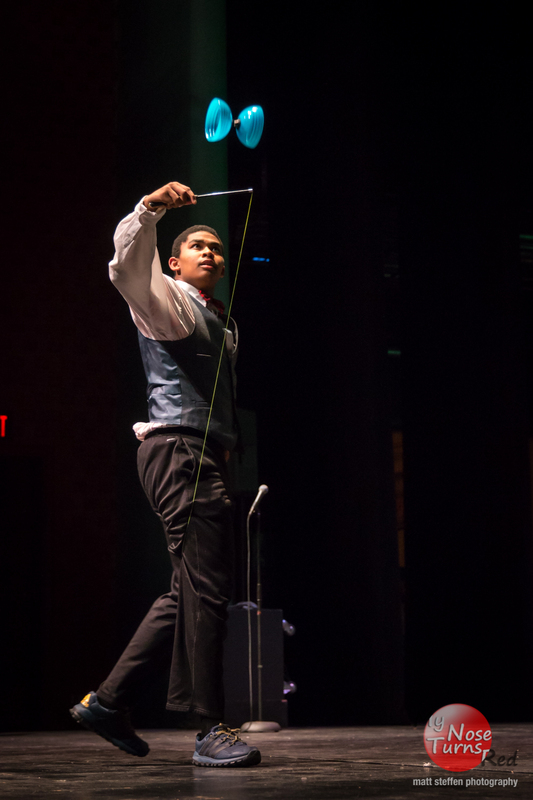 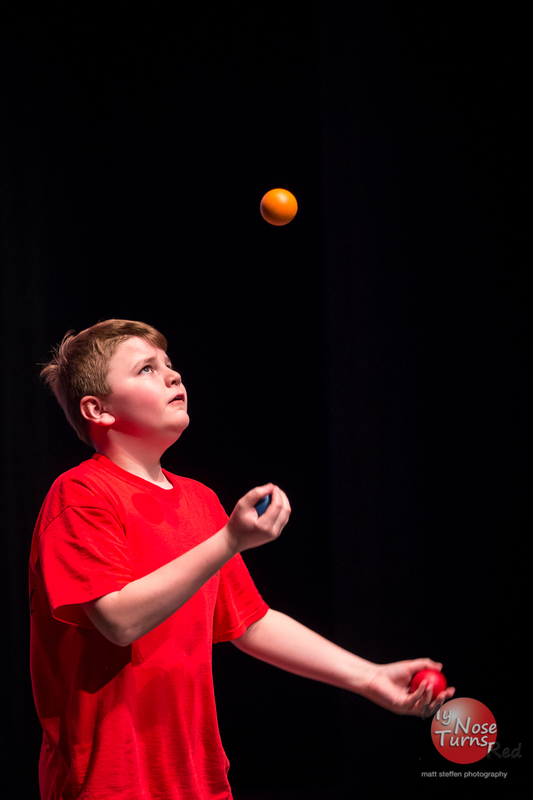 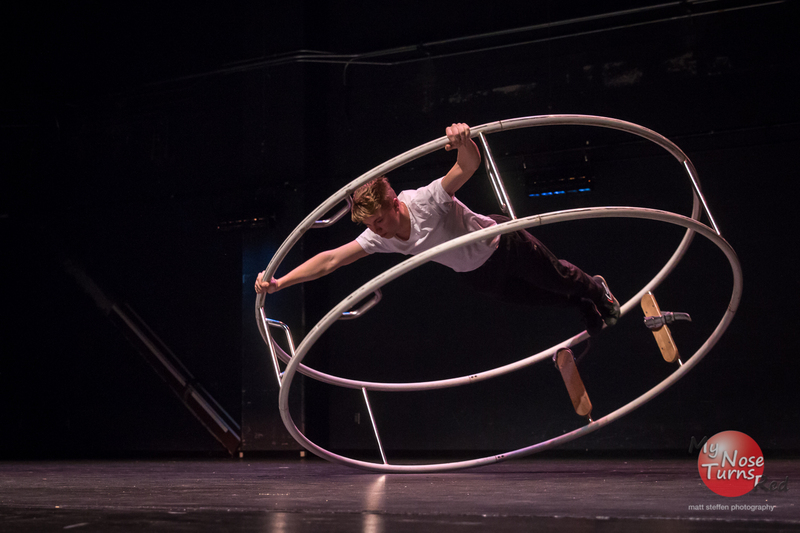 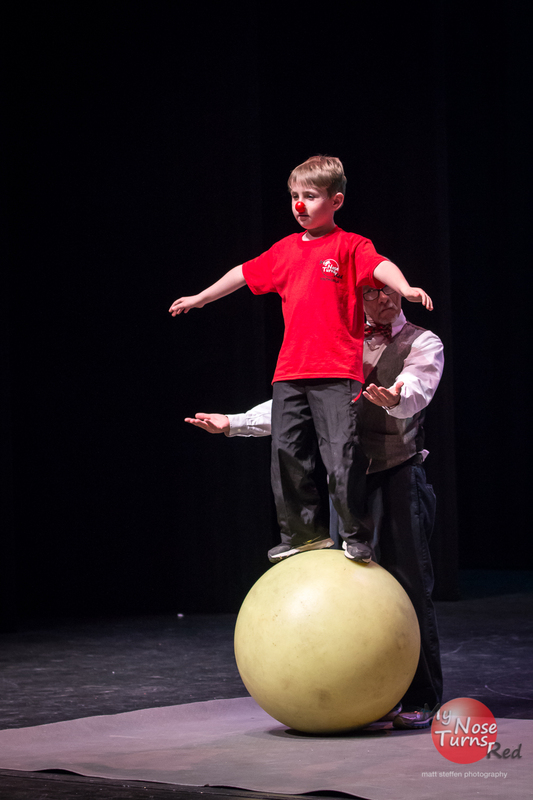 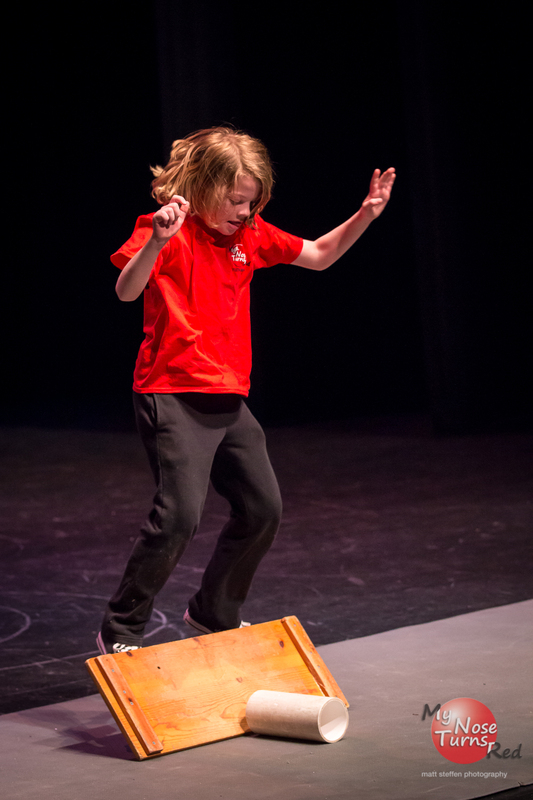 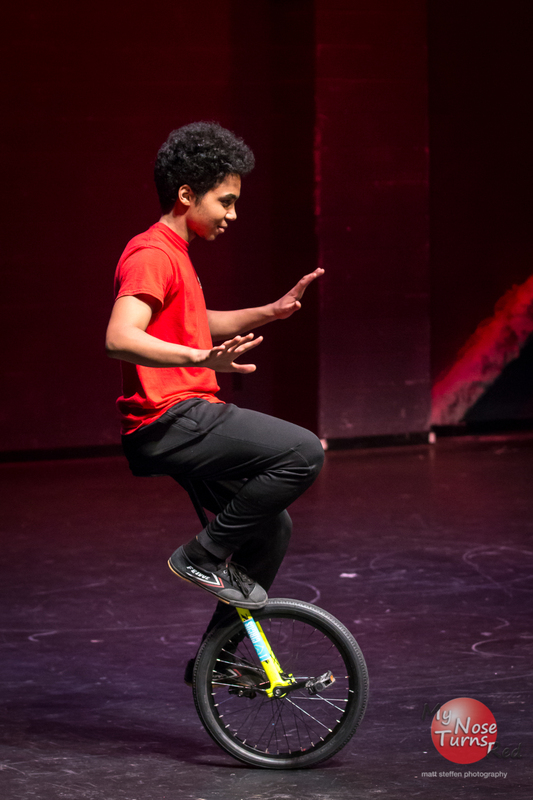 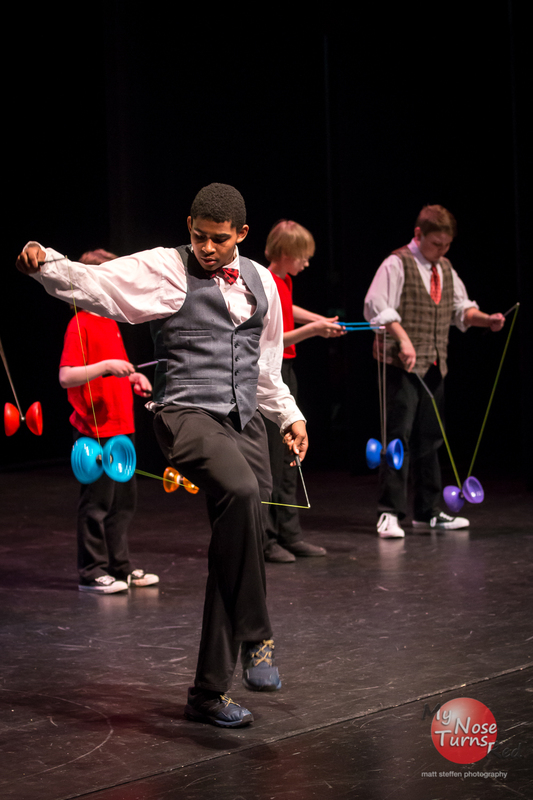 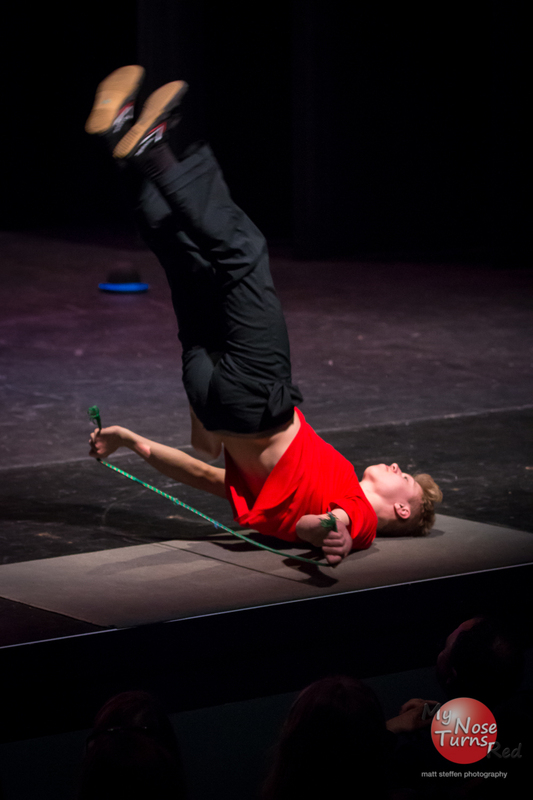 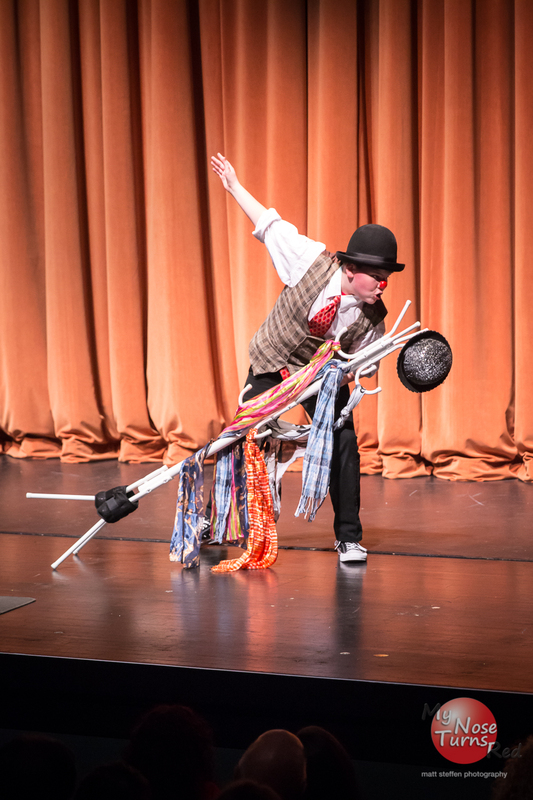 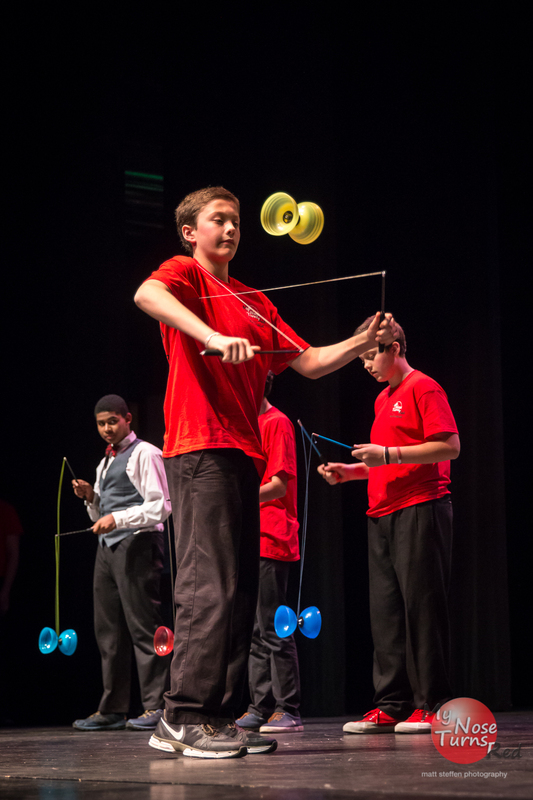 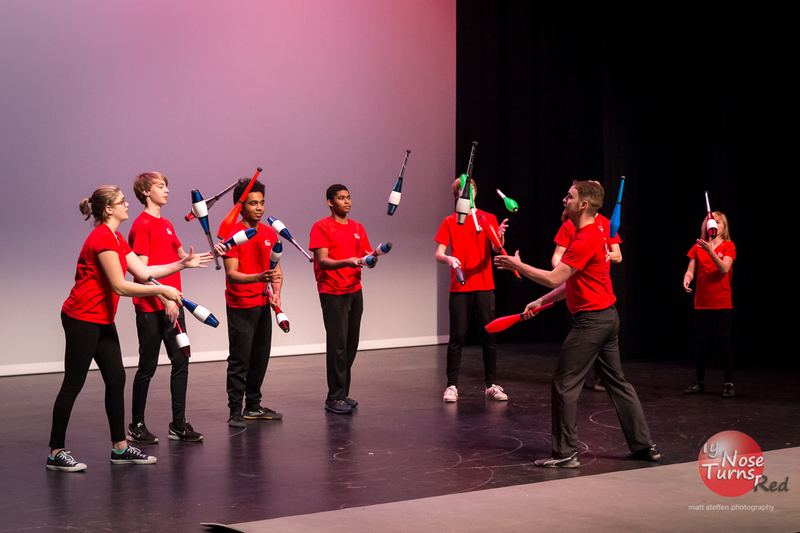 All About Balance is a fast-paced 45-minute performance of balancing objects, wire-walking, juggling, and unicycling. 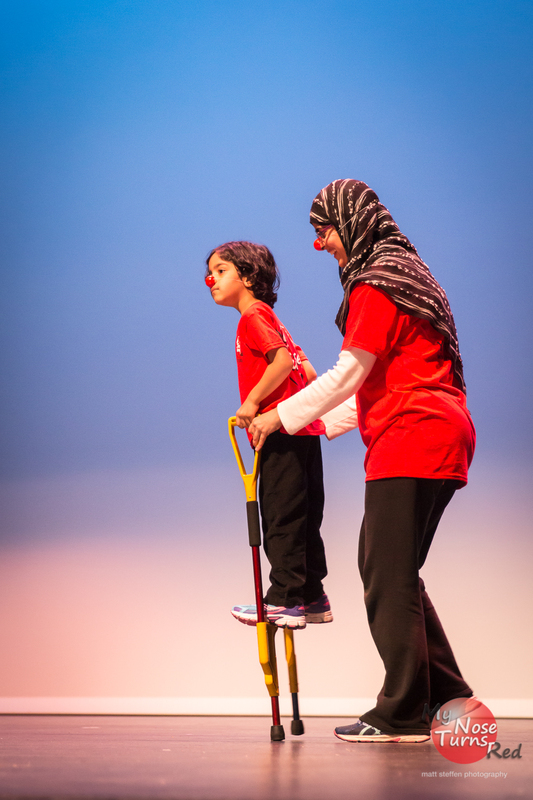 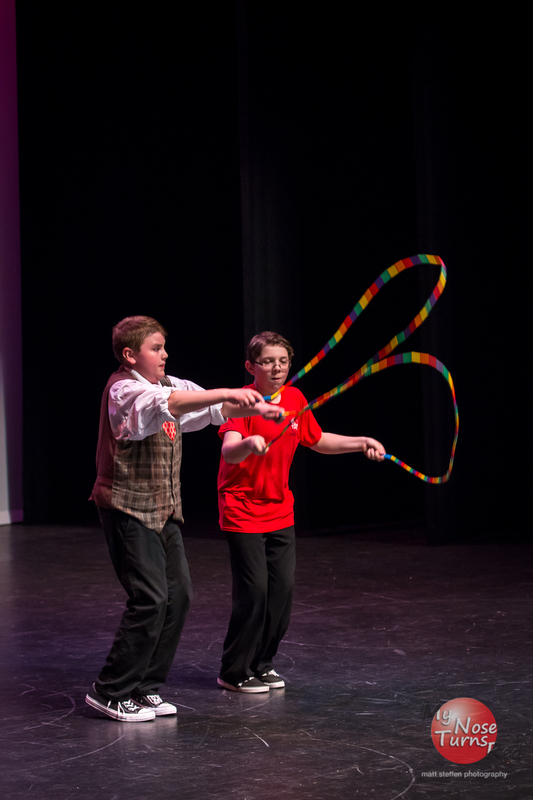 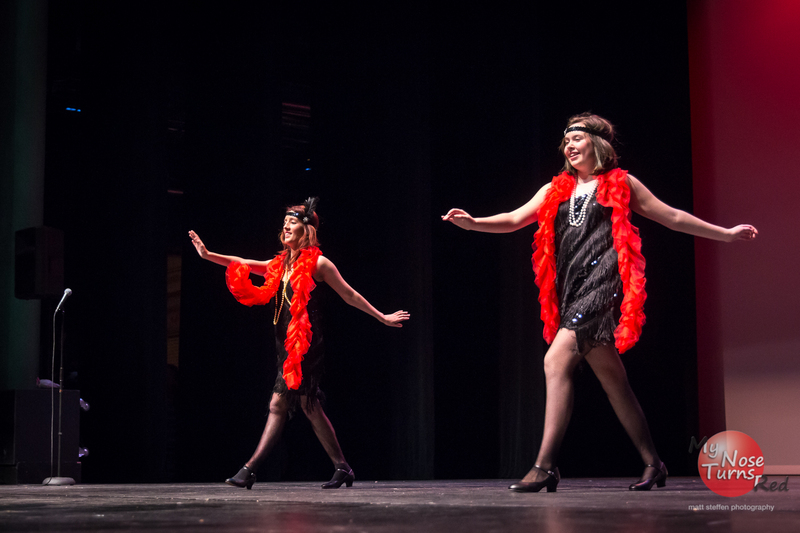 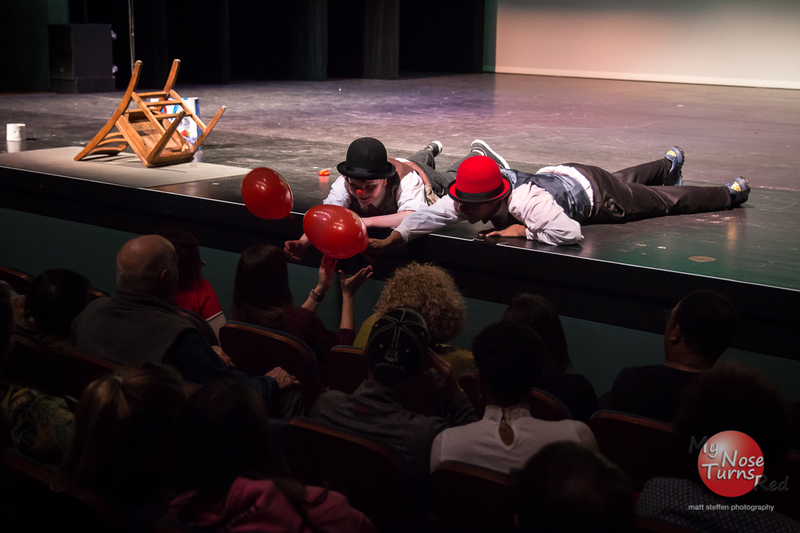 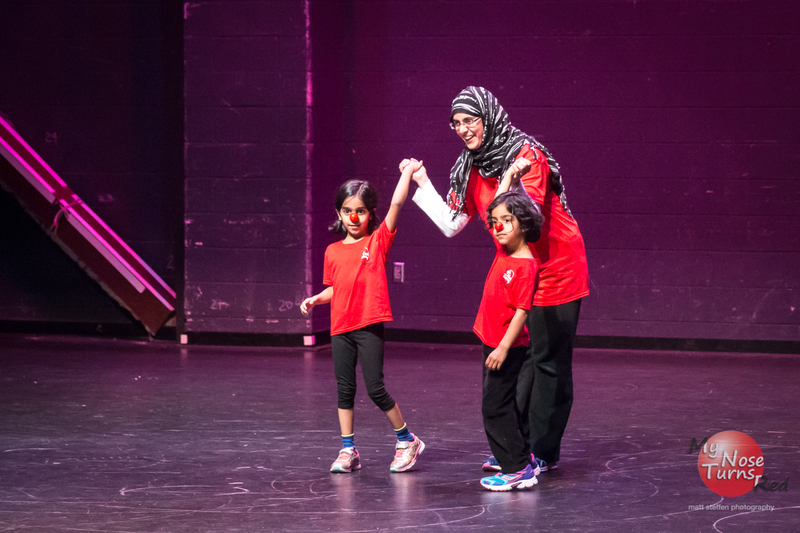 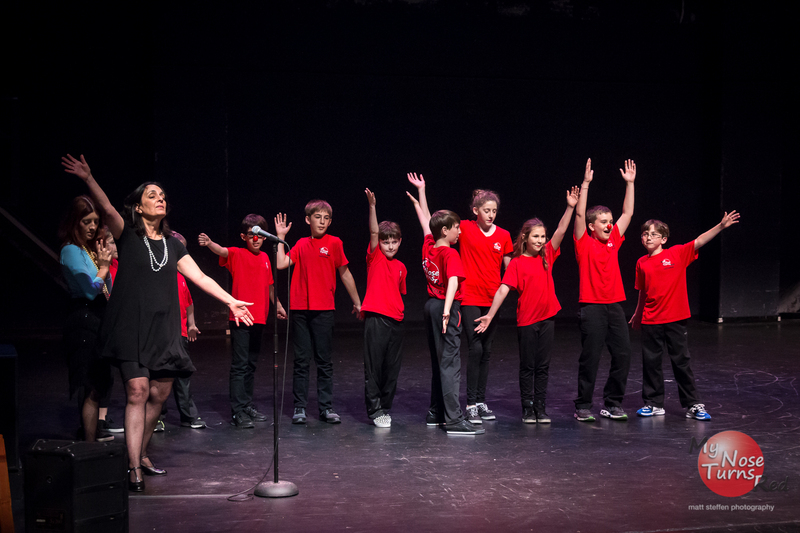 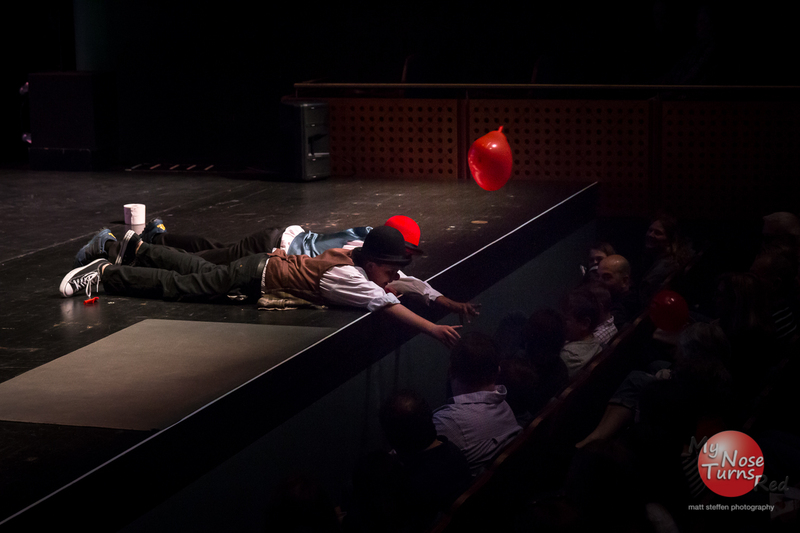 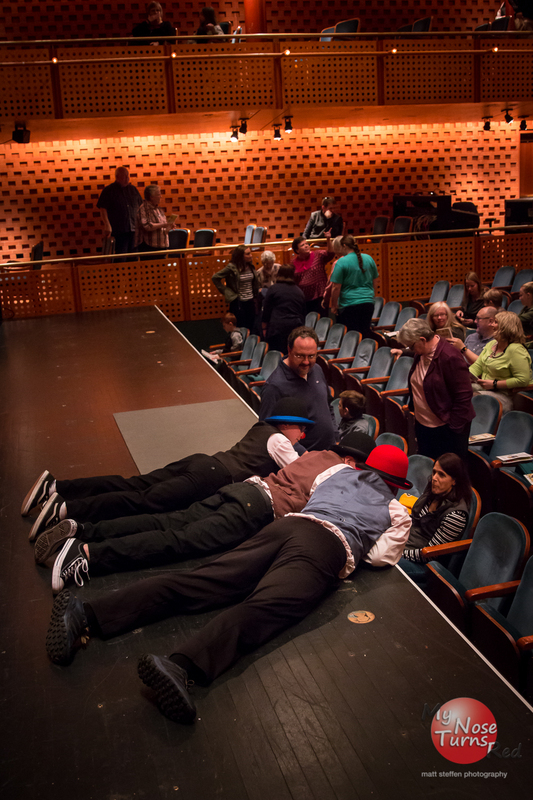 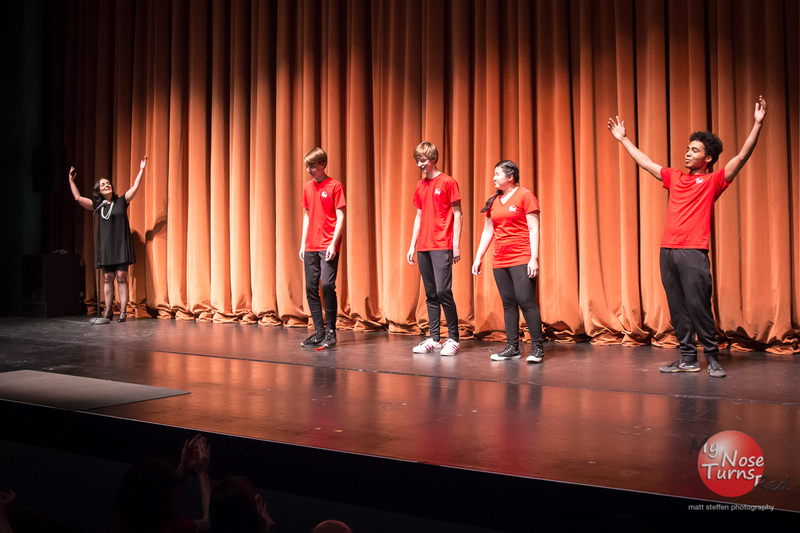 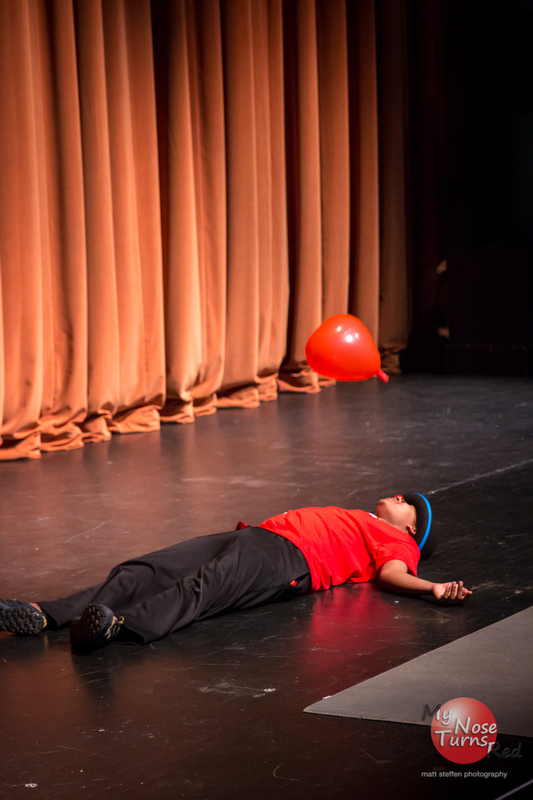 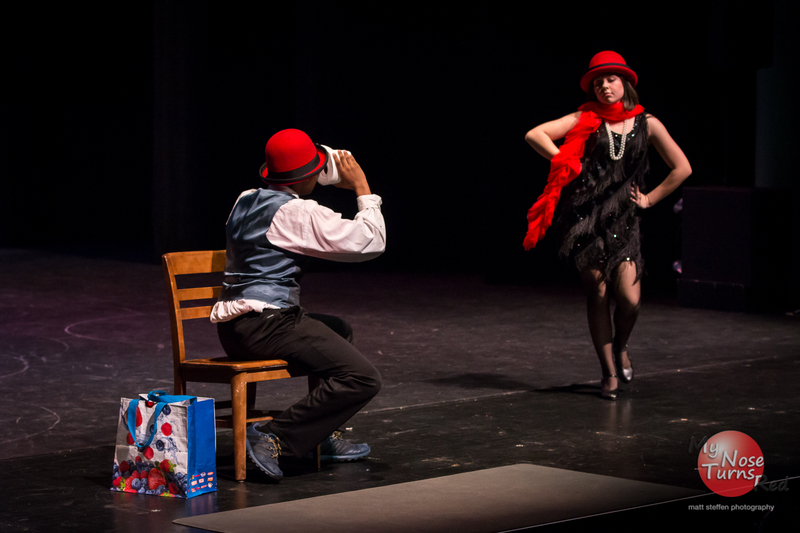 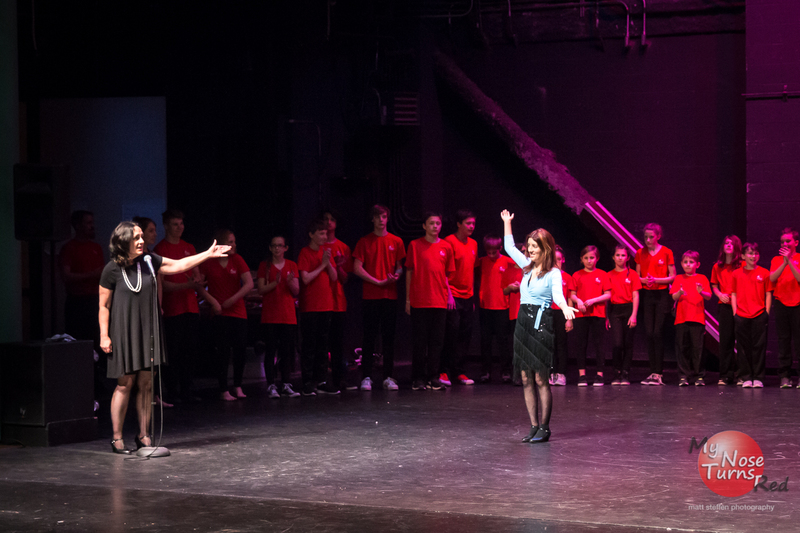 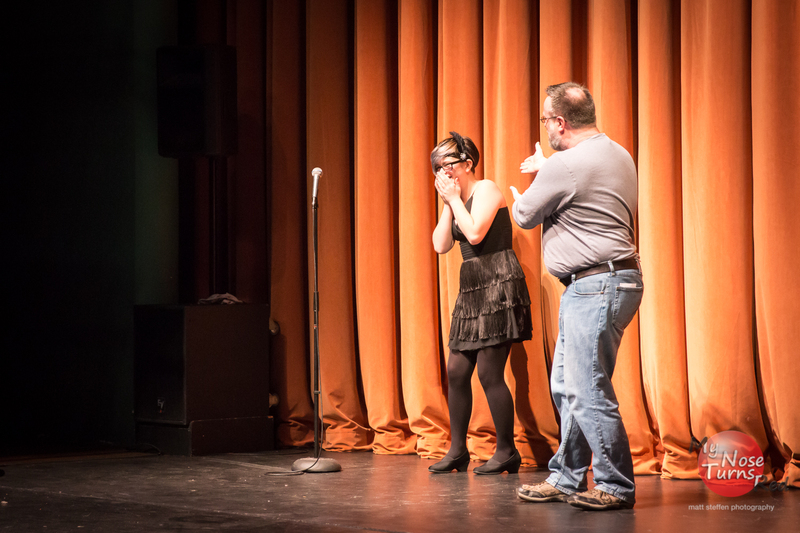 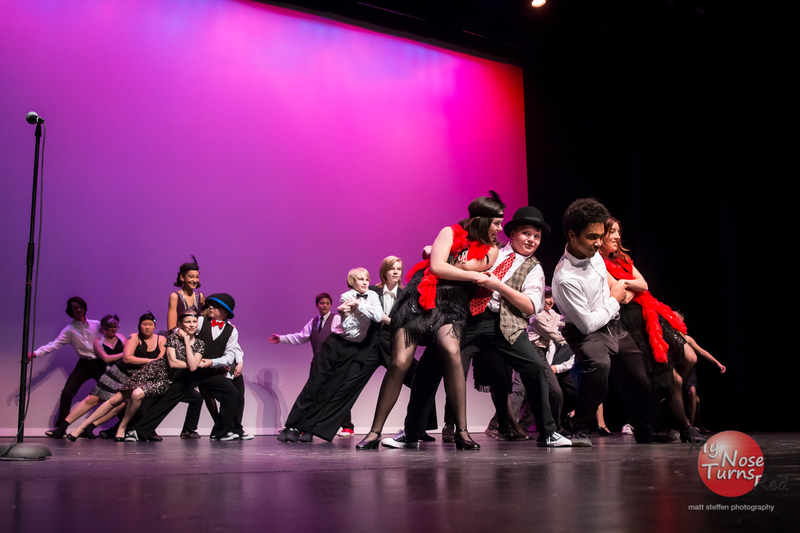 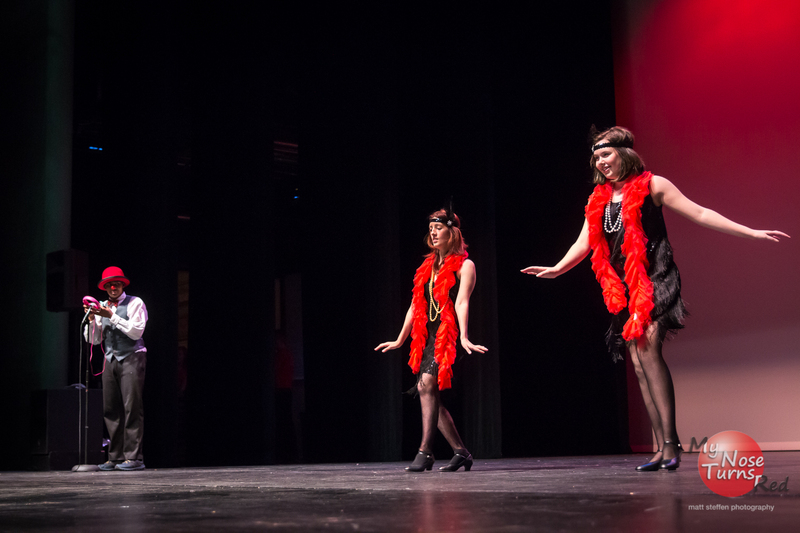 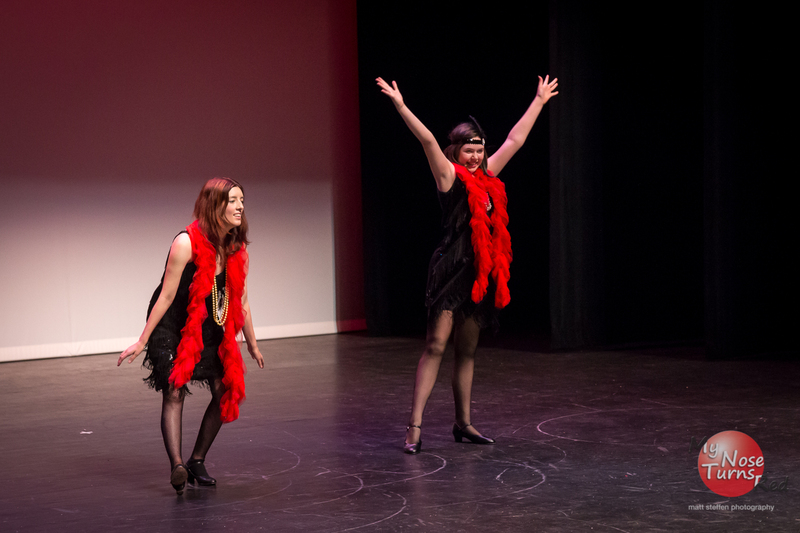 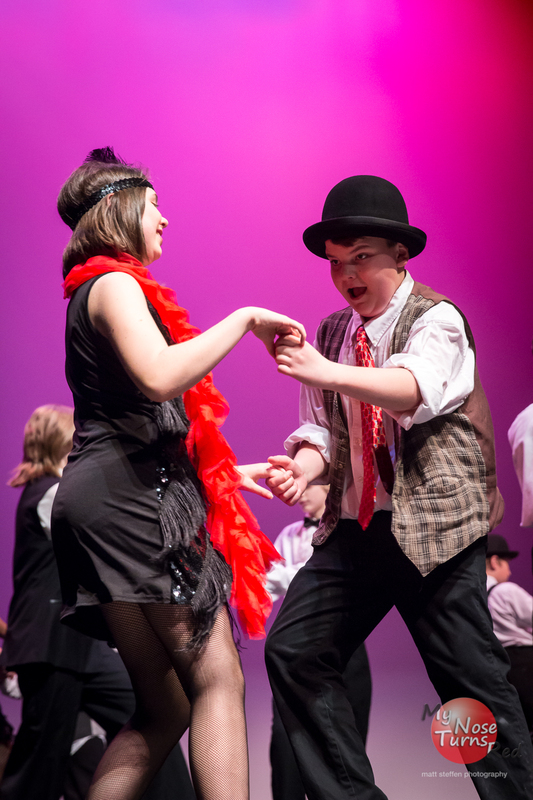 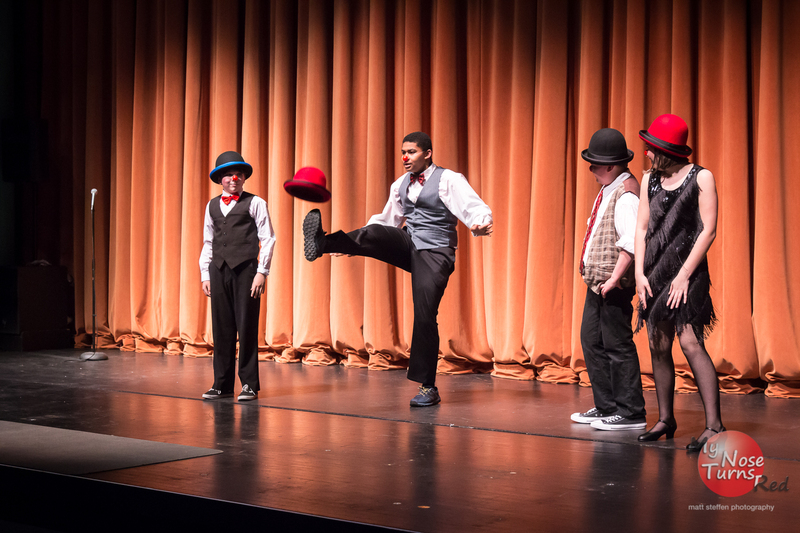 The show includes plenty of audience participation to keep your students fascinated and ready to participate. 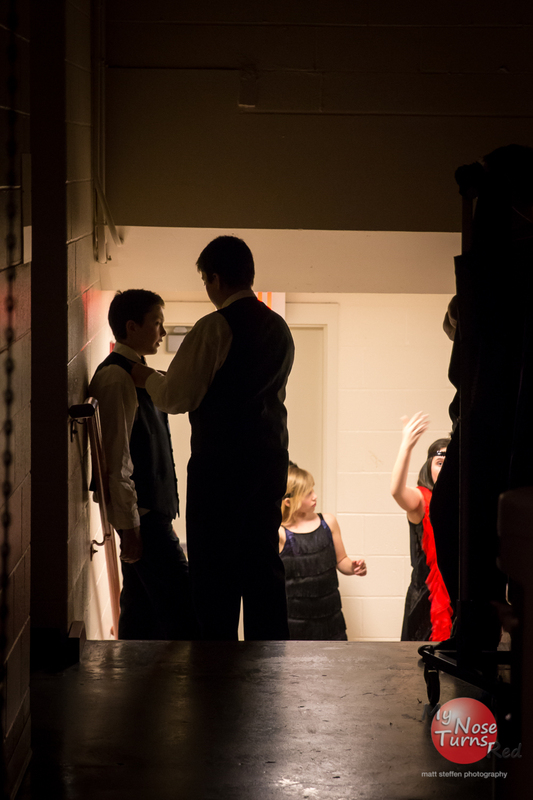 Appropriate for K-12. 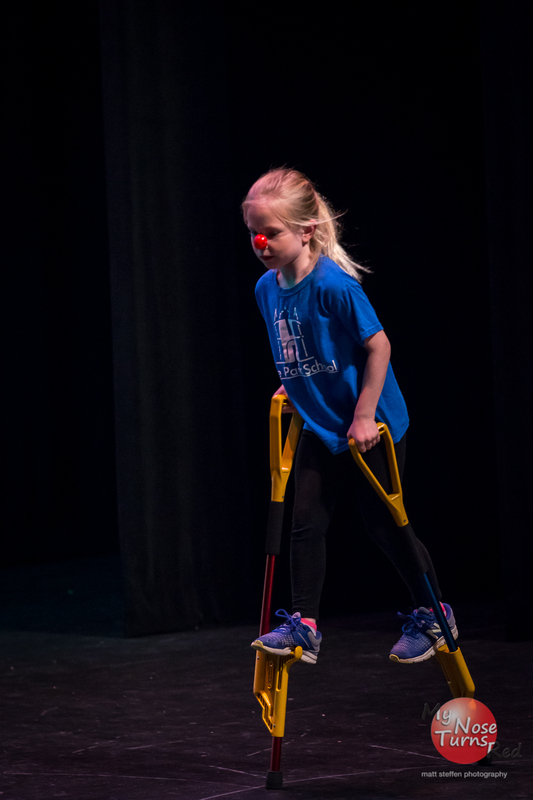 Follow up the performance with a circus workshop(s). 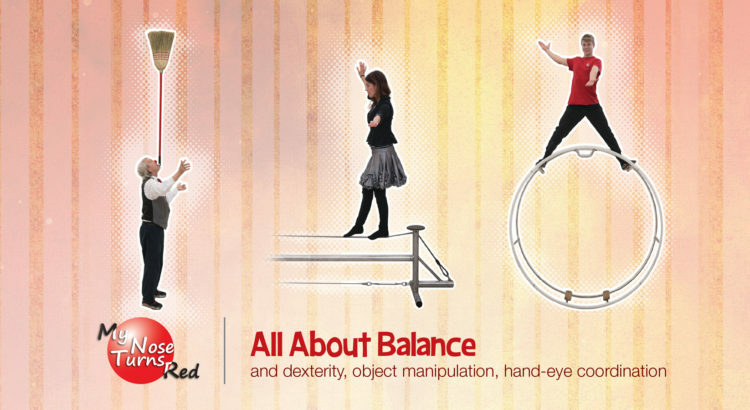 For more information please contact Steve Roenker – 859-581-7100 or email info@mynoseturnsred.com.